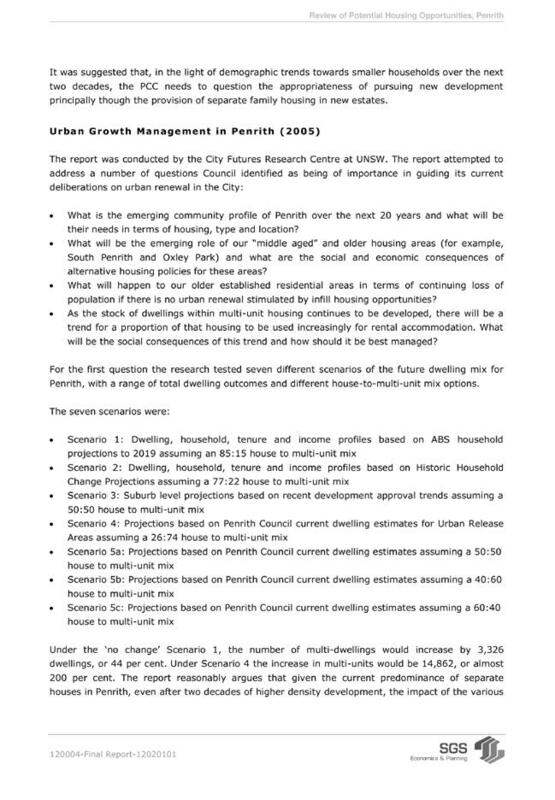 In pursuance of the provisions of the Local Government Act, 1993 and the Regulations thereunder, notice is hereby given that an ORDINARY MEETING of Penrith City Council is to be held in the Council Chambers, Civic Centre, 601 High Street, Penrith on Monday 6 February 2012 at 7:30PM. Ordinary Meeting - 12 December 2011. Access Committee Meeting - 7 December 2011. His Worship the Mayor, Councillor Greg Davies read a statement of recognition of Penrith City’s Aboriginal and Torres Strait Islander Cultural Heritage. The Council Prayer was read by the Rev. Neil Checkley. His Worship the Mayor, Councillor Greg Davies, Deputy Mayor, Councillor Jackie Greenow and Councillors Jim Aitken OAM, Kaylene Allison, Kevin Crameri OAM, Mark Davies, Tanya Davies, Ross Fowler OAM, Ben Goldfinch, Prue Guillaume, Marko Malkoc, Karen McKeown, Kath Presdee and John Thain. 333 RESOLVED on the MOTION of Councillor Marko Malkoc seconded Councillor Kevin Crameri OAM that the minutes of the Ordinary Meeting of 21 November 2011 be confirmed. 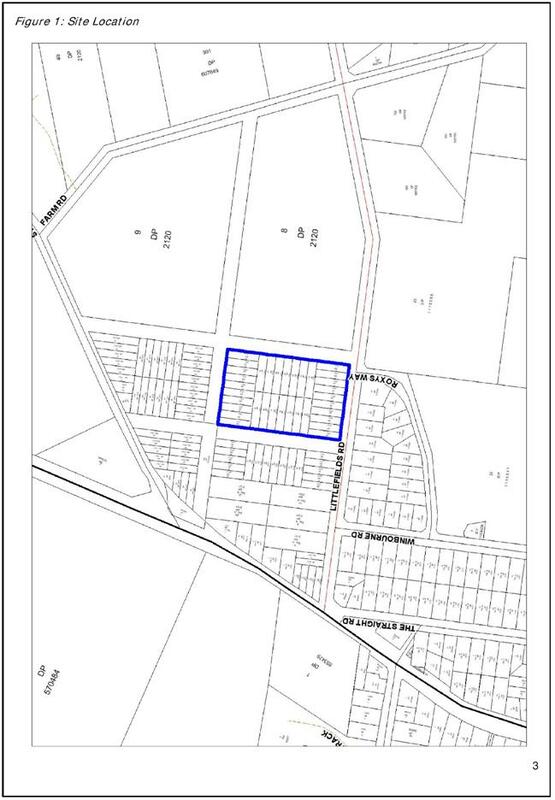 Councillor Jim Aitken OAM declared a Pecuniary Interest in the Report and Recommendations of the Local Traffic Committee held on 5 December, 2011 as he owns property close to one of the items subject to the report. Councillor Ben Goldfinch declared a Pecuniary Interest in Item 12 Tender Reference 11/12-05, Alterations and Additions to 114 Henry Street, Penrith as he is a Director of a Company subject of the report. 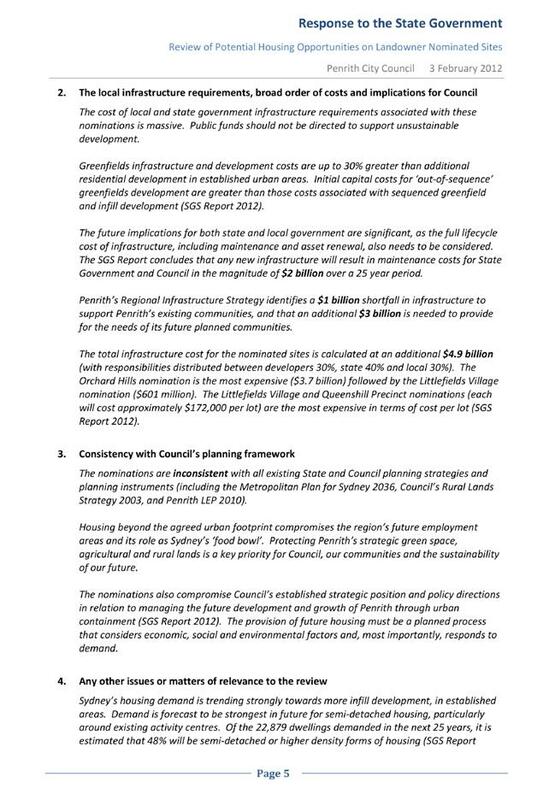 Councillors Tanya and Mark Davies declared Non-Pecuniary Conflict of Interests – Less than Significant in Item 5 Youth Week 2012 Program as the church they attend is a recipient of one of the recommended grants. Councillor Karen McKeown spoke in support of the Mayoral Minute. 334 RESOLVED on the MOTION of Councillor Greg Davies seconded Councillor Karen McKeown that the Mayoral Minute on Council wins LGSA Local Government Excellence in the Environment Awards be received. 335 RESOLVED on the MOTION of Councillor Karen McKeown seconded Councillor Mark Davies that the recommendations contained in the Report and Recommendations of the Penrith Valley Community Safety Partnership meeting held on 30 November, 2011 be adopted. 336 RESOLVED on the MOTION of Councillor Prue Guillaume seconded Councillor Marko Malkoc that the recommendations contained in the Report and Recommendations of the Policy Review Committee meeting held on 5 December, 2011 be adopted. Having previously declared a Pecuniary Interest Councillor Jim Aitken OAM left the meeting, the time being 7:18pm. 337 RESOLVED on the MOTION of Councillor Karen McKeown seconded Councillor Mark Davies that the recommendations contained in the Report and Recommendations of the Local Traffic Committee meeting held on 5 December, 2011 be adopted with the exception of Item 2 - Billington Place Car Park, Emu Plains - Request for Provision of 2-Hour Parking Restrictions. Councillor Karen McKeown requested that a further report be brought to a future Council Meeting on this item including an audit of current and future parking needs in the area including shops at the Great Western Highway. Councillor Jim Aitken OAM returned to the meeting, the time being 7:20pm. Note: A further resolution on this matter is included at Minute No. 359 of these Minutes, when the matter was recommitted for consideration of Council. 2. 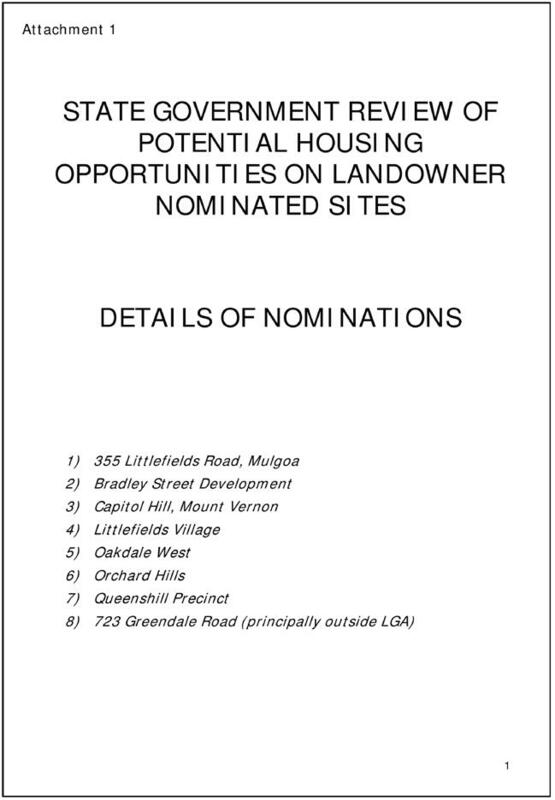 Development Applications which would normally warrant reporting to Council between 13 December 2011 and 5 February 2012 inclusive be determined under the General Manager’s delegation by the General Manager, after consultation with the Mayor. 3. 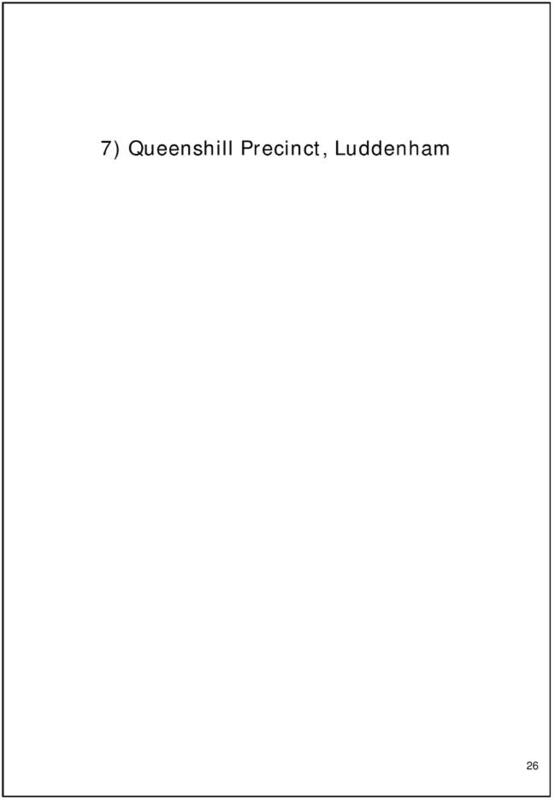 A report be presented to the Ordinary Council Meeting (if required) to be held on 6 February 2012 relating to the operations of the organisation during this period. 1. The information contained in the report on Summary of Investments and Banking for the period 1 November 2011 to 30 November 2011 be received. 2. The Certificate of the Responsible Accounting Officer and Summaries of Investments and Performance for the period 1 November 2011 to 30 November 2011 be noted and accepted. 3. 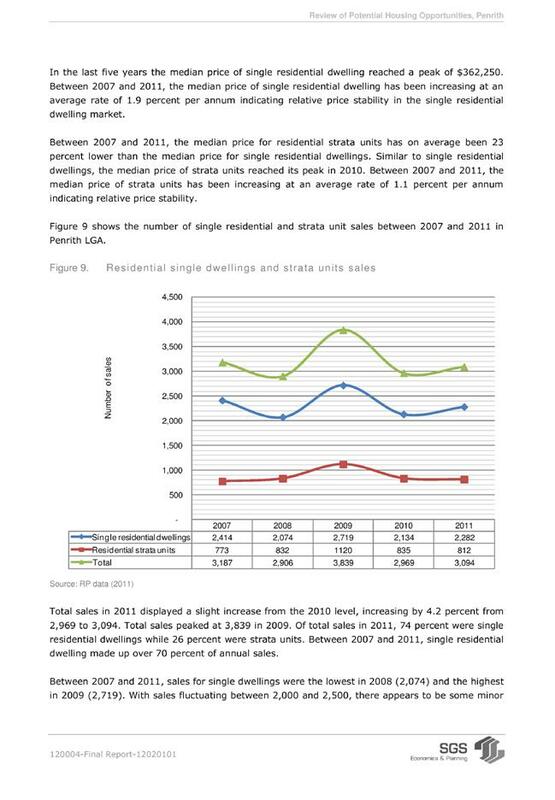 The graphical investment analysis as at 30 November 2011 be noted. 1. The information contained in the report on Preparations and Financial Settings for the 2012-13 Operational Plan be received. 2. Council make initial identification of particular matters to be considered in the preparation of the Draft 2012-13 Operational Plan. 3. Preparation of the Draft 2012-13 Operational Plan continue in the terms discussed in this report. 4. A further report be brought to a future Council Meeting detailing how Council can generate its own electricity and other electricity generation alternatives. 5. A further report be brought to a future Council Meeting discussing the potential of liaising with other WSROC Councils to negotiate more favourable banking alternatives. 6. A further report be brought to a future Council Meeting on the condition, maintenance and renewal of Council’s roads. 4. 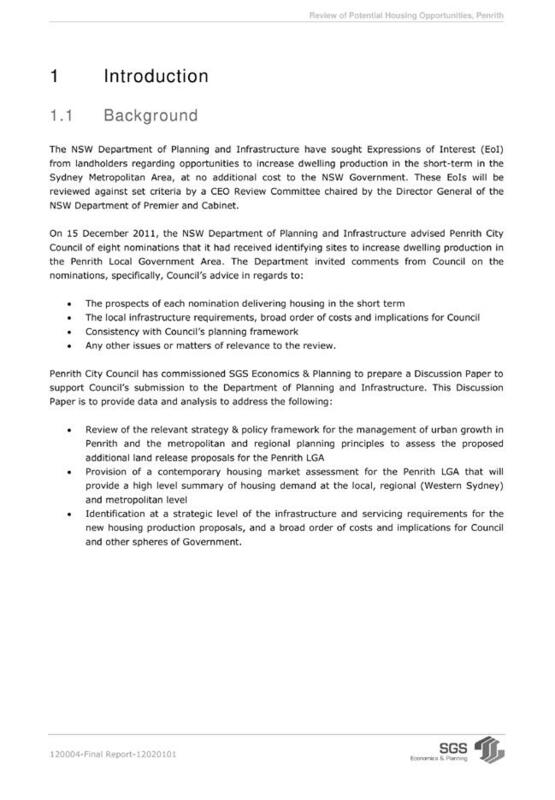 A letter be sent to the NSW Premier, the Hon Barry O’Farrell, MP thanking the Government for the changes made to the Local Government Act 1993 allowing Councils to be responsible for the conduct of elections in 2012, but raising concerns at the position taken by the NSW Electoral Commissioner in not wanting to enter into a partnership with local government in the conduct of the election. Council to also seek from the NSW Premier clarification of who would be responsible for any costs associated with a potential audit of the Election process should the NSW Electoral Commission conduct an investigation. 1. The information contained in the report on Youth Week 2012 Program be received. 2. 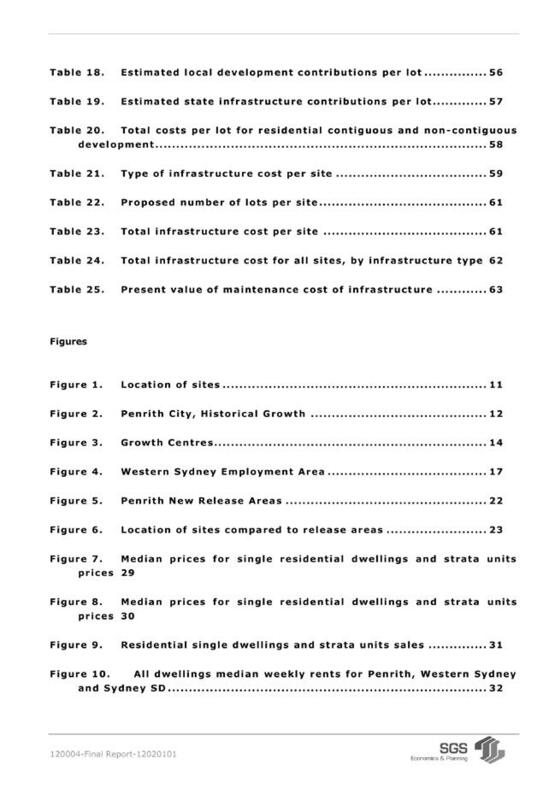 Council endorse the three recommended projects and funding amounts to the total value of $6,150 as outlined in Table 1 of this report. 1. The information contained in the report on Development of a new playing field on the ‘Old Jam Factory’ site on Roper Road, Colyton – land contamination and grant funding be received. 2. Council support the reallocation of project grant funding to sites at Ridge Park and Shepherd Street Park and that a formal approach be made to the NSW Department of Sport and Recreation and the Federal Governments Regional and Local Facility Infrastructure Program to amend the grant locations. 3. Council allocate $100,000 from the TAF Reserve as matching funds to the NSW Department of Sport and Recreation Grants following the formal approved from both the NSW Department of Sport and Recreation and Federal Governments Regional and Local Facility Infrastructure Program to amend the grants to the proposed sites. 4. Further investigations be undertaken into the responsibility and liability for the management of site contamination on Department of Planning land in accordance with the terms and conditions under which Council assumed care, control and management of this site, with the outcome of these investigations to be the subject of a further report to Council. 2. Council allocate $100,000 from the District Open Space Contributions Plan to forward fund the construction of five (5) new seal netball courts at Jamison Park. 4. A further report be provided to Council on the outcome of the grant application by Penrith District Netball Association and the remaining improvements, including funding sources. 1. The information contained in the report on Tender Reference 11/12-04 Public Domain Cleaning Services be received. 2. A contract for a period of two (2) years with an option to extend for a further two (2) x one (1) year periods, (with provision for rise and fall), subject to satisfactory performance be awarded to Amazon Cleaning & Security Pty Ltd for the annual cost of $298,574 for the provision of Public domain cleaning services within the Penrith and St Marys CBDs. 1. 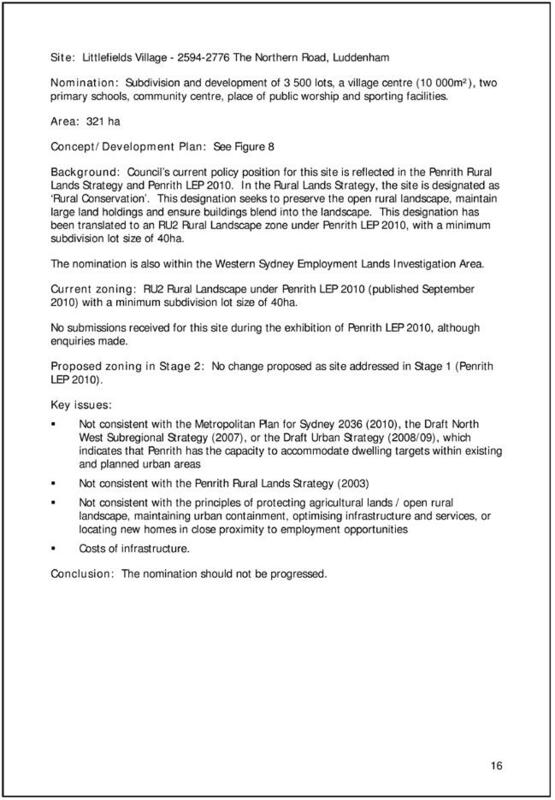 The information contained in the report on Tender Reference 11/12-08 for the Supply and Installation of Field Lighting, Mark Leece Sporting Complex, Endeavour Avenue, St Clair be received. 2. 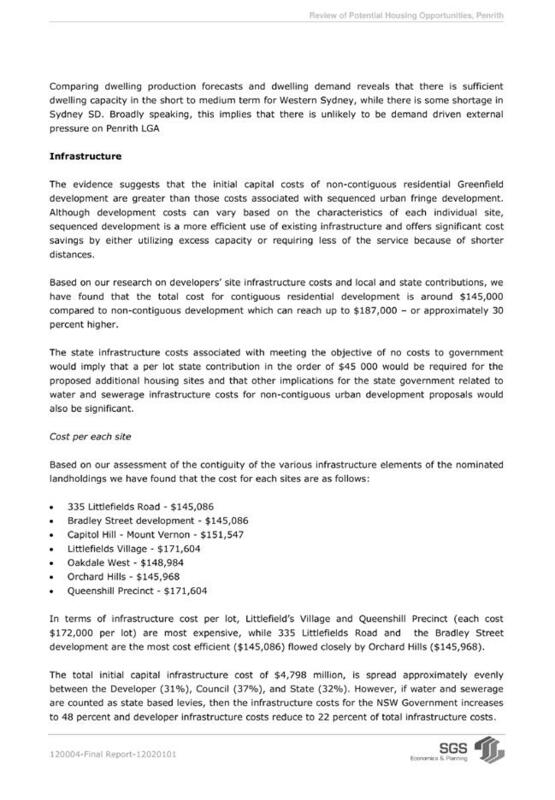 The tender from Master Electrical Pty Ltd for the sum of $142,402.00 excl GST be accepted for the supply and installation of 100 Lux lighting to Field No 1,2 and 3 at the Mark Leece Sporting Complex, Endeavour Avenue, St Clair. 13 Tender Reference 11/12-10, Upgrading Works on Mamre Road and Erskine Park Road, Erskine Park. 2. NACE Civil Engineering Pty Ltd be engaged as contractor for the intersection upgrade works of Mamre Road & Erskine Park Road for the amount of $4,485,275.58 ex GST subject to the Roads & Maritime Services provide concurrence to proceeding with the construction. 1. 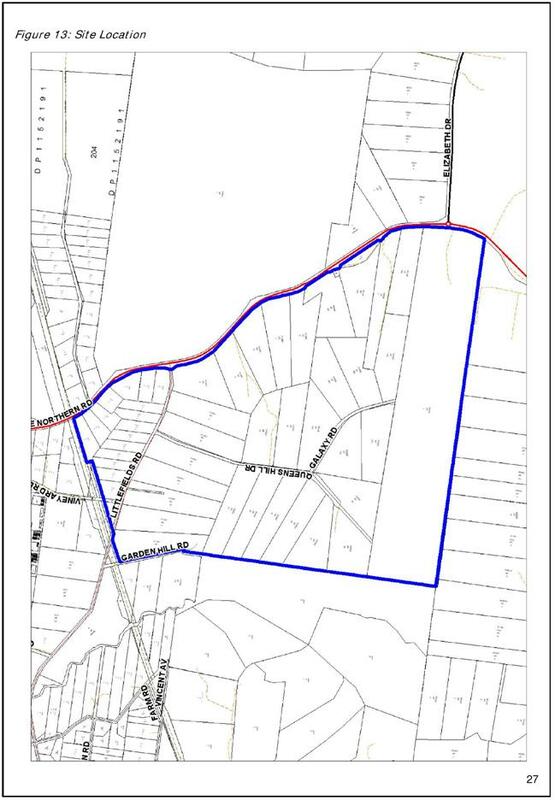 The information contained in the report on the Proposed additional Alcohol Prohibited Area be received. 2. Council support the progression of the consultation process for the establishment of an additional Alcohol Prohibited Area at the proposed location. 3. A further report be submitted to Council on completion of the advertising and consultation period. 1. The information contained in the report on Seating and Pathway to Bridge Link – Boronia Park and Whalan Reserve, North St Marys be received. 2. 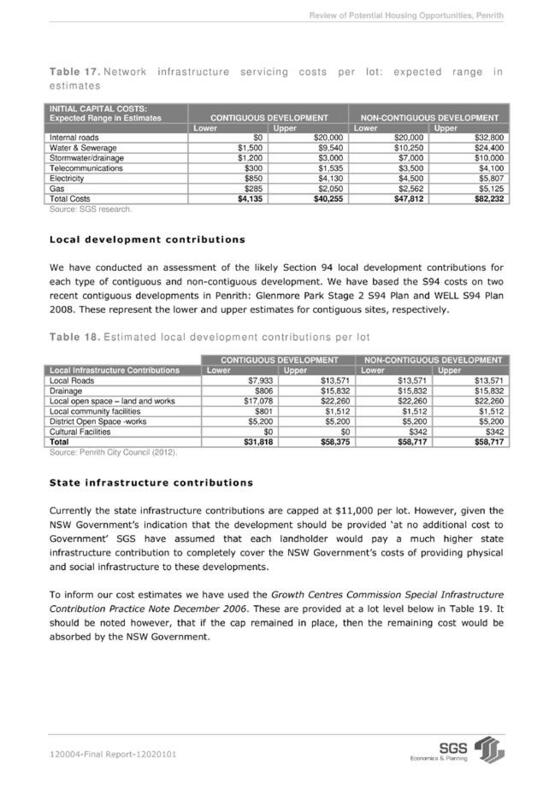 The estimated cost for these works be listed for consideration in the development of the 2012/13 Council budget. 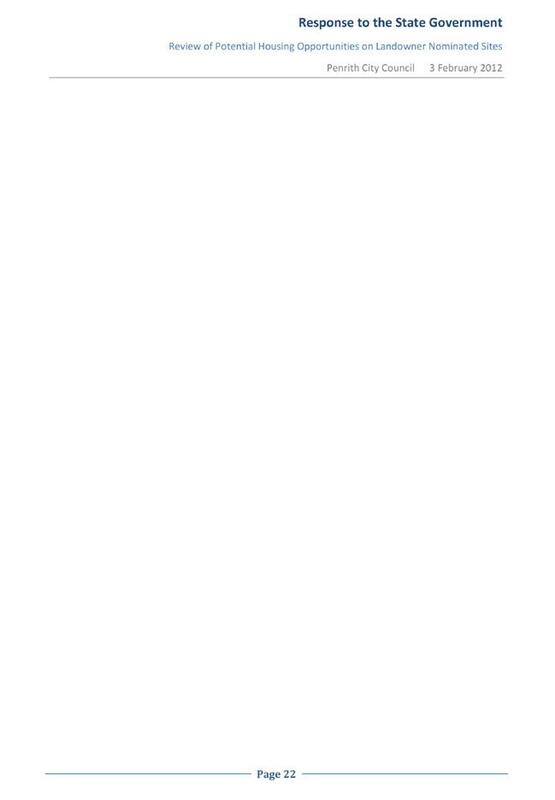 Having previously declared a Pecuniary Interest Councillor Ben Goldfinch left the meeting, the time being 7:32pm. 1. The information contained in the report for - Alterations and Additions to 114 Henry Street, Penrith be received. 2. Elite Commercial Solutions (ECS) be appointed as contractor for the Alterations and Additions to 114 Henry Street, Penrith for the amount of $571,810 (inc GST). Councillor Ben Goldfinch returned to the meeting, the time being 7:33pm. 1. The information contained in the report on International White Ribbon Day be received. 2. A report be presented to Council scoping the requirements to expand International White Ribbon Day to an annual community event involving all relevant stakeholders and potential “champions” including, for example, young men from local high schools, business chambers, local charities and churches. 3. Council investigate the distribution of the “Nepean Domestic Violence Information & Referral Guide” to all School Counsellors within the Penrith Local Government Area. 1. The information contained in the report on Magnetic Places Neighbourhood Renewal Community Cultural Grant Program 2011-12 be received. 2. 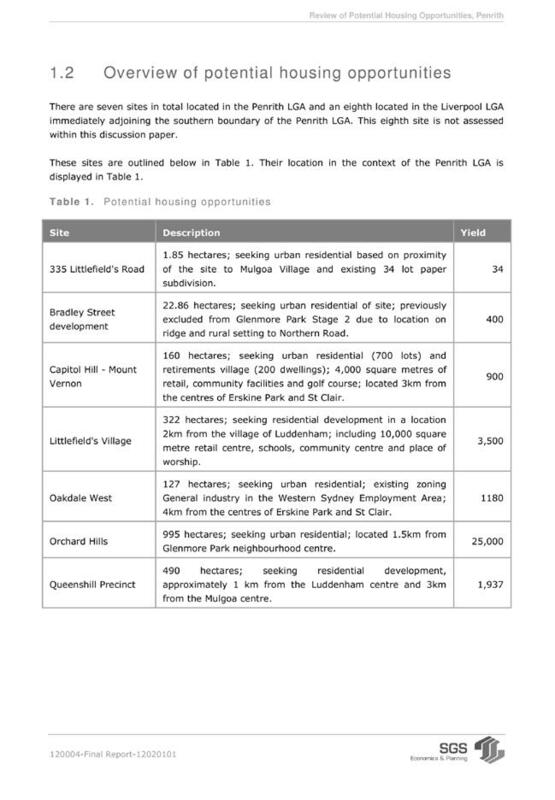 The 12 projects listed in Tables 1 and 2 of this report to the value of $42,987 be funded. 1. 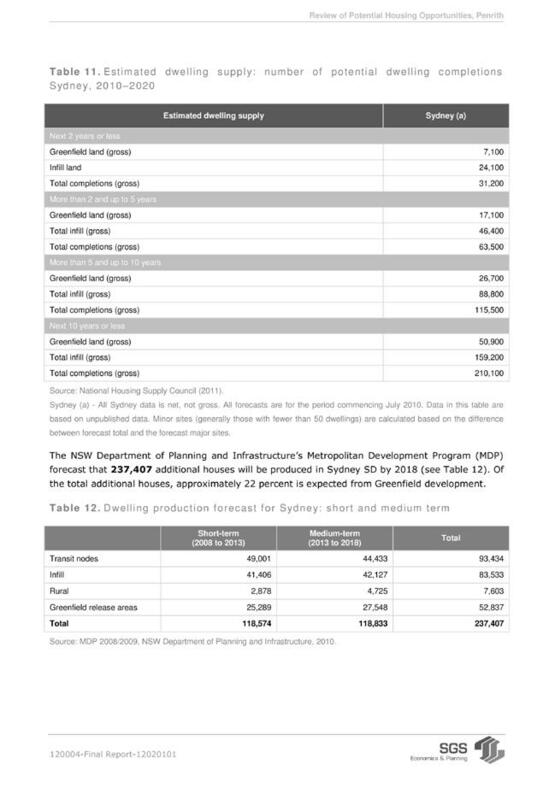 The information contained in the report on 2012 Seniors Week Grants Program be received. 2. Council approve grants to fifteen (15) local community organisations to the value of $6,500.00 for activities to celebrate Seniors Week 2012 as outlined in this report. 1. 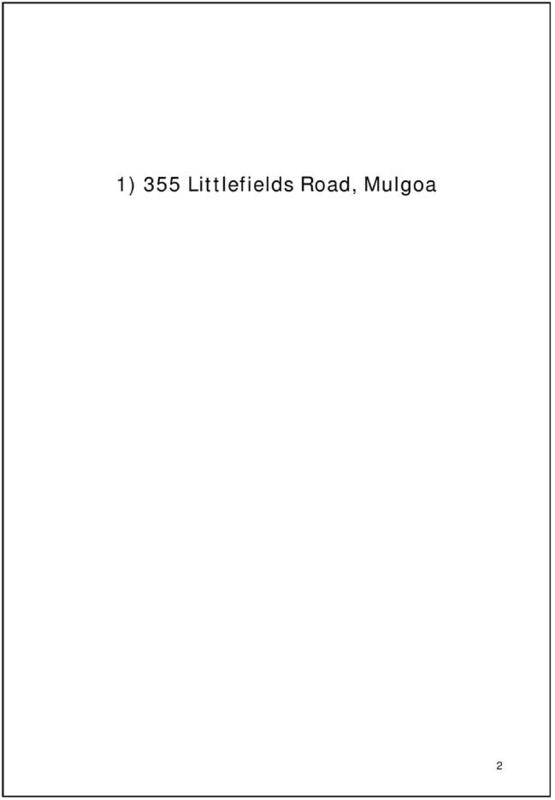 The information contained in the report on Fire Safety Report – NSW Fire and Rescue be received. 2. Council continue to monitor the three premises as part of its Fire Safety compliance process to ensure essential fire safety measures are being undertaken, completed and maintained in the buildings. 3. 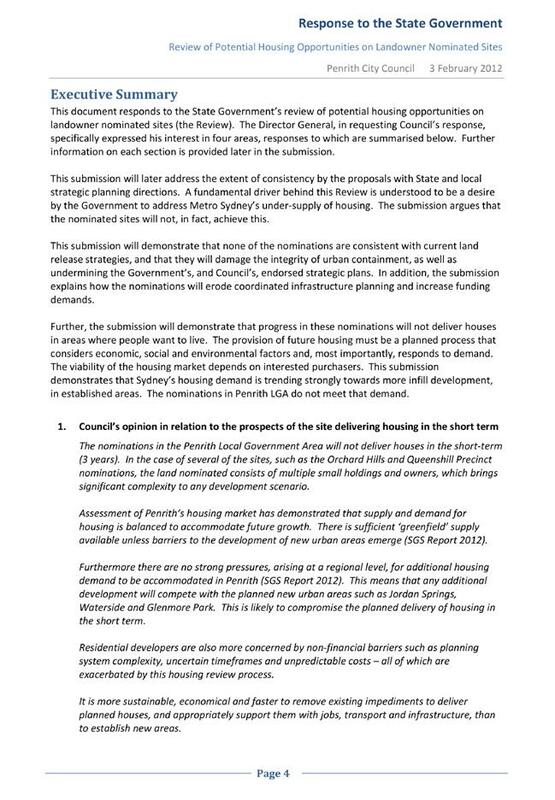 Council advise NSW Fire and Rescue of its decision. Councillors Mark Davies and Jim Aitken OAM left the meeting, the time being 7:46pm. Councillor Greg Davies requested a report to a future Council Meeting concerning a tender procedures policy including local content. Councillors Mark Davies and Jim Aitken OAM returned to the meeting, the time being 7:48pm. His Worship the Mayor, Councillor Greg Davies took the opportunity to congratulate Council’s Major Projects Manager, Mr Craig Ross for his 42 years service with the Council and wished him all the best for his future. 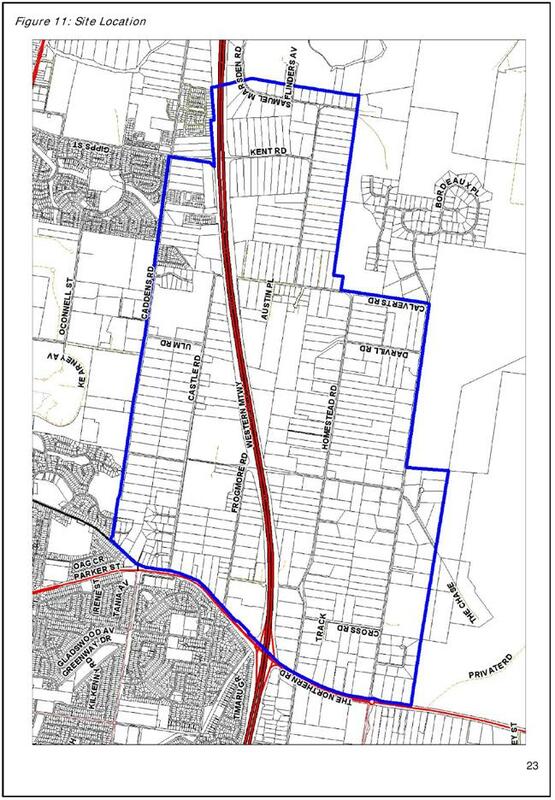 357 RESOLVED on the MOTION of Councillor Marko Malkoc seconded Councillor Kevin Crameri OAM that the meeting adjourn to the Committee of the Whole to deal with the following matters, the time being 7:49pm. 1. 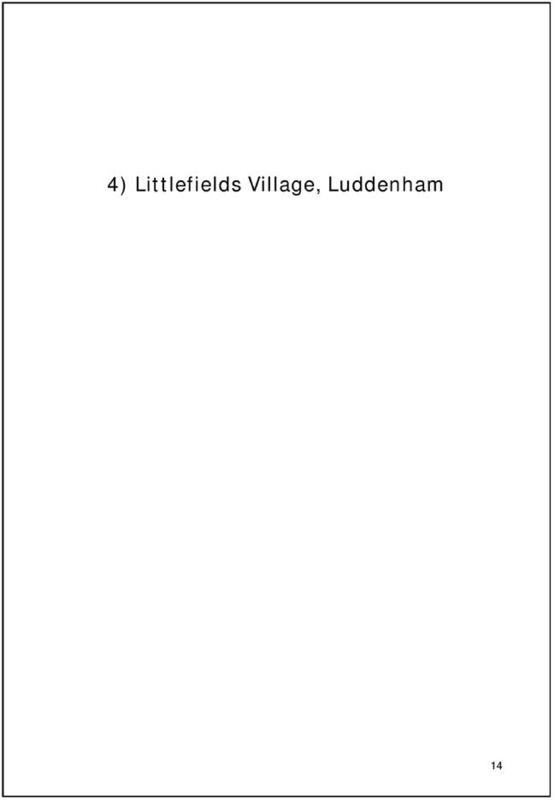 The information contained in the report on Commercial Matter - Council Property - Leasing of Shop 1 at 144 Henry Street, Penrith be received. 2. Council grant Dr Nadi Hanna a new 5 year lease with a 5 year option over Shop 1 at 144 Henry Street Penrith in accordance with the terms and conditions as outlined in the report. 3. The Common Seal of the City of Penrith be placed on all necessary documentation. CW3 That the information contained in the report on Tender Reference 11/12-09, Supply and Delivery of Pavers and Bluestone Kerbs be received. 358 RESOLVED on the MOTION of Councillor Marko Malkoc seconded Councillor Jackie Greenow that the recommendations contained in the Committee of the Whole and shown as CW1, CW2 and CW3 be adopted. 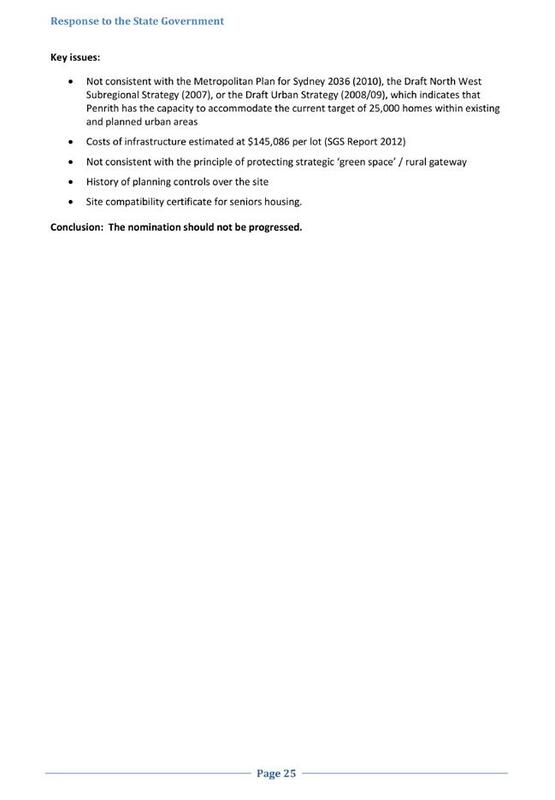 Recommittal of Item 9 - Tender Reference 11/12-09, Supply and Delivery of Pavers and Bluestone Kerbs. 1. The Council declines to accept any of the tenders referred to in the report on Tender Reference 11/12-09, Supply and Delivery of Pavers and Bluestone Kerbs. 2. 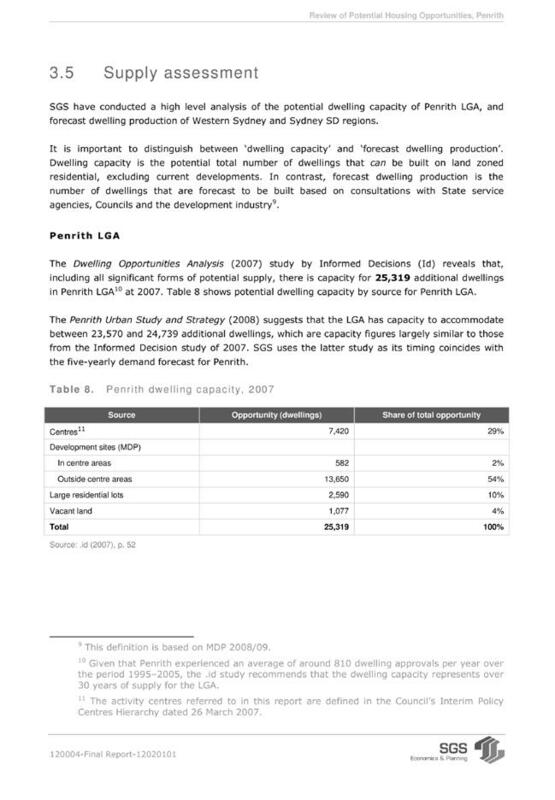 In accordance with clause 178(3)(e) of the Local Government (General) Regulation 2005 the General Manager enter into negotiations with both Melocco Pty Ltd and Sam The Paving Man Pty Ltd for the most cost effective supply of the tender material up to the amounts set out by the tenderers in their respective tender submissions and on the basis that the material is sourced and processed in Australia. 3. The General Manager be authorised to use his delegated authority in consultation with the Mayor as outlined in the report to the Ordinary meeting of 12 December 2011 titled ‘Decision Making Arrangements During the Christmas/New Year Council Recess’ to order and enter into a contract for the supply of the tender material. 4. That the results of the negotiation be reported to the first Ordinary meeting of Council in February 2012.
a. To secure the most cost effective outcome for the Council. 1. The information contained in the report on Tender Reference 11/12-09, Supply and Delivery of Pavers and Bluestone Kerbs be received. (iv) Allowing for rise and fall provisions. The MOTION was CARRIED and on becoming the SUBSTANTIVE MOTION was also CARRIED. There being no further business the Chairperson declared the meeting closed the time being 8:21pm. The fact that our City’s greatest asset is its people was again affirmed on Thursday 26 January. Two Penrith City residents received Order of Australia Medals in the 2012 Australia Day Honours list, bringing to 108 the total number of residents ever to receive this honour. I would like to congratulate Cathy Craig OAM and June Woolard OAM who were recognised for their long-term dedication to helping people in need as volunteers for the Penrith Community Kitchen, which they helped set up in 1994. Council previously recognised Cathy in our 2009 Wall of Achievement Awards. I will be inviting them to a small reception at Council shortly so we can personally congratulate them. Dorothy Phipps OAM of Richmond, well-known to many in the Penrith community through her involvement as president of the Nepean Group of the Country Women’s Association and as a member of Penrith Quota Club, also received an Order of Australia Medal. Five other local residents were honoured in the 2012 Penrith City Australia Day Citizens Awards, presented by Council on Tuesday 24 January. They were nominated by their friends, family and peers as people who have made a significant contribution to our community. Penrith Citizen of the Year Robert Walsh was recognised for his tireless work helping people recover from depression and trauma through the Police Post Trauma Support Group. Local Appreciation Award recipient Danielle Steele was recognised for her inspirational determination in overcoming adversity to set up a successful photography business, boosting the self-esteem of many clients and helping work experience students realise their potential. Local Appreciation Award recipient Shirley Satur was recognised for her dedicated service as a volunteer, including 25 years with Penrith Community Aid, 15 years with St Vincent De Paul and 13 years as a Lifeline counsellor. Local Appreciation Award recipient Jim Roche was recognised for his work with local charity Christian Mission Possible. Penrith Young Citizen of the Year, Glenmore Park teen Natasha Duarte was recognised for her efforts and achievements in music, including her commitment to using her talents to enrich our community and to support worthy causes. On behalf of Council, I congratulate all our Australia Day award winners and thank them for making our City a better place. That the Mayoral Minute on Local residents recognised in Australia Day Honours be received. Despite the torrential rain and threatening storms, Council’s 2012 Australia Day celebrations at the Sydney International Regatta Centre were a great success. About 10,000 people attended the event last Thursday, enjoying an impressive program of free and high quality family entertainment and activities. The Aquatic Show, Superboats Live Demonstration and Fireworks Spectacular finale were again popular highlights. We were also honoured to be chosen as one of three NSW sites to host an Australia Day Premier’s Reception that featured a visit from the Premier of NSW, the Hon Barry O’Farrell MP. Council improved its Australia Day program of events yet again. In the morning, 69 Penrith City residents gained their Australian citizenship; during the day more than 1,000 people enjoyed free entry and entertainment at Penrith Pool and Ripples St Marys; and from 6pm to 9.30pm the Regatta Centre offered a jam-packed evening program. I wish to express Council’s gratitude to our generous sponsors and supporters. Australia Day at the Sydney International Regatta Centre, Penrith Lakes was presented by Penrith City Council and supported by Endeavour Energy, Sims Metal Management, Penrith Lakes development corporation, Sport and Recreation – a division of Communities NSW, Panthers World of Entertainment Penrith, Vintage 87.6 FM, Woolworths, the Western Weekender, Hix Group Pty Ltd, Penrith City Star, Fusion 87.8 FM, Blue Mountains Bus Company and Channel Nine. Courtesy of sponsor Sims Metal Management, local resident, Natasha Richardson became the lucky owner of a new $12,000 jet ski. Woolworths sponsored the Australia Day Ambassador program, which saw two-time winter Olympian in the sport of bobsleigh and Australian rugby representative Jeremy Rolleston and Paralympic swimming medallist Denise Beckwith as Australia Day Ambassadors in Penrith City. Thank you also to management and staff of the Sydney International Regatta Centre for an excellent venue and outstanding service. This successful celebration was possible because of the enthusiasm and expertise of so many individuals and teams. So last, but certainly not least, a big thank you to the many volunteers and to all the Council staff involved in the organisation and smooth running of this major event. The dedication and hard work of staff, in particular the Events and Depot teams, were again remarkable. Congratulations to all on a job well done. That the Mayoral Minute on 2012 Australia Day celebrations be received. Deputy Mayor, Councillor Jackie Greenow (Chair), Ronda Hopkins, John Farragher, Farah Madon and David Currie. Erich Weller - Community and Cultural Development Manager, Vanessa Muscat - Environmental Health and Building Surveyor, Joe Ibbitson - Community Programs Coordinator, Ben Felten - Disability Access Officer, Robyn Brookes - Disability Services Officer, Hans Meijer - City Works Manager, Graham Howe - Acting Building Projects and Maintenance Co-ordinator, Karl Berzins - Environmental Planner. Apologies were accepted from Councillor Prue Guillaume, Denise Heath and Colin Wood. - Secretary/Management Committee member of the NSW Network of ACAA. Ben Felten spoke to the report which advised of an afternoon tea hosted by the Mayor on 27 October 2011 to celebrate the initial achievements of the Penrith Inclusion Plan – People with Disability 2009-2013. It was advised that Councillor Greenow gave a presentation at the afternoon tea regarding the role of the Access Committee. John Farragher made a speech about what the Access Committee means to him as well as his vision regarding access in the community. David Currie spoke about the economic benefits of inclusive businesses. Ben Felten thanked the speakers for coming forward and representing the Committee. He said it gave a positive message and highlighted the programs to be focussed on next year. Ben Felten reported that the entertainment at the end of the event was quite moving and an excellent way to conclude the afternoon. It was a good opportunity for some positive articles to be published in the Council internal newsletter. The event will also be promoted in the community newsletter which goes to all households. Ben Felten thanked the Access Committee members who attended on the day. David Currie congratulated Council and advised he really enjoyed the day. Councillor Greenow made a special thank you to John Farragher and David Currie for a job well done. 1. The information contained in the report on Penrith Inclusion Plan - The Journey so Far... be received. 2. The Access Committee community representatives, Mr David Currie and Mr John Farragher, be thanked for their contribution by giving a presentation during the function. 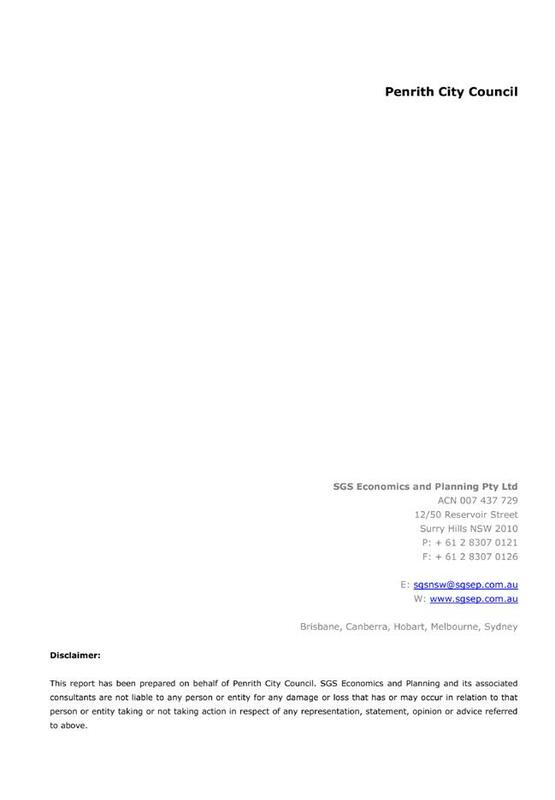 Karl Berzins, Consultant Town Planner, spoke to the report which details an application from the Department of Education for a new single storey performing arts building at Nepean High School. Karl Berzins advised that Council cannot refuse the application because it is a State Government application. 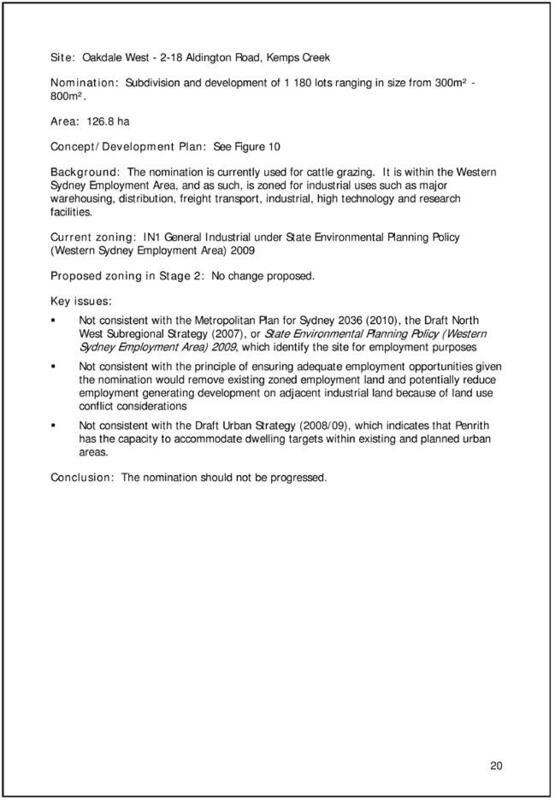 Council can however recommend conditions on the application for concurrence by the state government. · improved access from this part of the school to the Great Western Highway. · provision of elevated seating for people with a disability. RECOMMENDED that the information contained in the report on Development Application referrals to Access Committee be received. The Committee held a supper break at 5.50pm. The meeting resumed at 6.00pm. David Currie initiated discussion around the provision of wheelchair carparking spaces and requested that next year Council look at providing a number of spaces which are designated wheelchair only. · the review of the National Disability Parking Scheme. Erich Weller spoke about the need to reapply for disability parking permits in the latter half of 2010 in an attempt to cut down on abuse of the system. He advised that information on issues raised may be forwarded to members before the next meeting. John Farragher requested that consideration be given to providing seating on the western side of River Road. It was also suggested that shelters be provided. Hans Meijer undertook to take this matter up with Karin Schicht to see if it could be incorporated with the Great River Walk. Farah Madon enquired about the All Welcome Project. Erich Weller replied that the All Welcome Project is progressing. The draft material will be shown to Council’s Communications Team before coming to an Access Committee meeting early next year. Robyn Brookes advised of funding which had been received - $35,000 from the Australia Council for the Arts and $60,000 from Arts NSW. This is an excellent outcome. Ben Felten advised that the Nepean Disability Expo for next year will be held on Friday 14 and Saturday 15 September 2012. The dates have been confirmed and the Expo will be held at Panthers with the facilities provided pro bono. Erich Weller advised that a report on the Nepean Disability Expo 2012 will be presented to the Access Committee. Joe Ibbitson advised that Farah Madon had requested a change to the Access Committee meeting dates for next year as she has a regular commitment on the usual meeting day. It is confirmed that the meetings will occur on the second Wednesday of each second month from next year. A schedule of meeting dates for 2012 will be provided in the next business paper. The 2012 meeting dates are 8 February, 11 April, 13 June, 8 August, 10 October and 12 December 2012. Joe Ibbitson conferred with Adam Wilkinson regarding Penrith Interchange. Adam Wilkinson has been discussing the implementation with State Rail and is preparing a letter regarding the delay. Farah Madon advised that PDRC had also written to State Rail about the Penrith Interchange and had not received a response. Joe Ibbitson reported on the successful International Day of People with Disability event held on Friday 2 December. Joe Ibbitson thanked all the Committee members who attended. He reported the response from participants was very positive and the performances were well received including the launch of the Sunnyfield DVD. Councillor Greenow advised that Council holds monthly meetings with local members. Relevant matters raised at the Access Committee could be brought to this meeting. It was suggested that the Access Committee write a letter regarding Penrith Interchange and this could be followed up with local members. Councillor Greenow informed the meeting about the Christmas shuttle bus which is running in Penrith. Councillor Greenow wished all Access Committee members a safe, restful, enjoyable holiday and a Merry Christmas and Happy New Year. There being no further business the Chairperson declared the meeting closed the time being 6.28pm. That the recommendations contained in the Report and Recommendations of the Access Committee meeting held on 7 December, 2011 be adopted. At its Ordinary meeting of 10 October 2011 a report was presented to Council on the three authentic Bennett Wagons it has in its possession. The report identified the repairs required and Council resolved to fund these repairs equally from each Ward’s voted works. 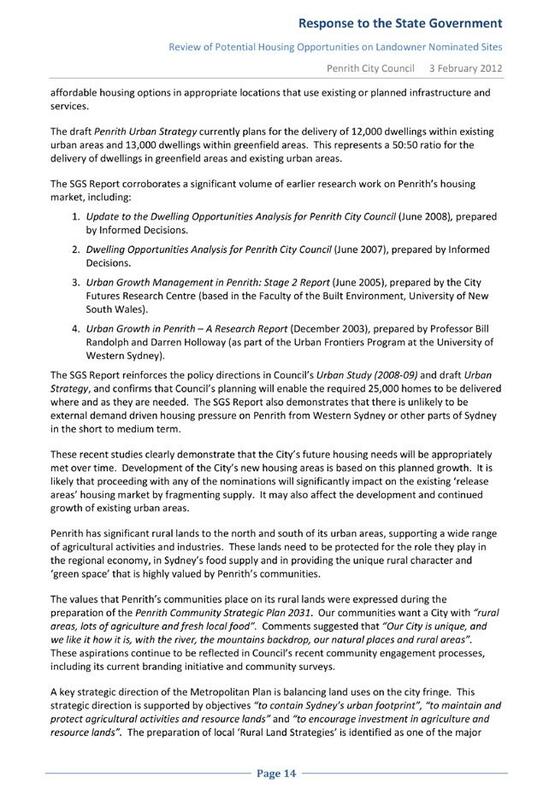 A further report to Council was requested investigating options for housing the Bennett Wagons in the future. This report identifies those options and recommends that the information in the report on displaying the Bennett Wagons be received. St Marys has played a major role in the development of Penrith City. One industry in particular, wagon building and specifically the Bennett Wagon, made St Marys well known all over Australia. The wagon building business commenced in 1858 when James Bennett opened a wheelwright shop in premises opposite Victoria Square (now Victoria Park). After almost 100 years and several generations of the Bennett family, the business finally closed in 1954. A medium sized Bennett Wagon is currently housed in an under cover structure in South Creek Park protected by metal grills around its entire perimeter. With repair works currently being undertaken, an issue associated with the Bennett Wagons is where they should be displayed. For these historical artefacts to be appreciated they need to be on public display. Both the South Creek Park and Victoria Park options are ideally situated on the Great Western Highway, the major thoroughfare through St Marys heading west to Penrith and in a very visible location. They are also very close to the site of the original wheelwright’s shop owned by the Bennett family. With the medium sized Bennett Wagon already housed in South Creek Park there may be the opportunity to accommodate the other two Bennett Wagons at this location. On this site there is a Blacksmith’s shop, so this location already has the beginnings of an historical precinct. Coachmans Park situated in the heart of the St Marys CBD is currently the subject of a renewal project to revitalise the space with quality public park infrastructure. The design brief did not include the potential housing of the Bennett Wagons. 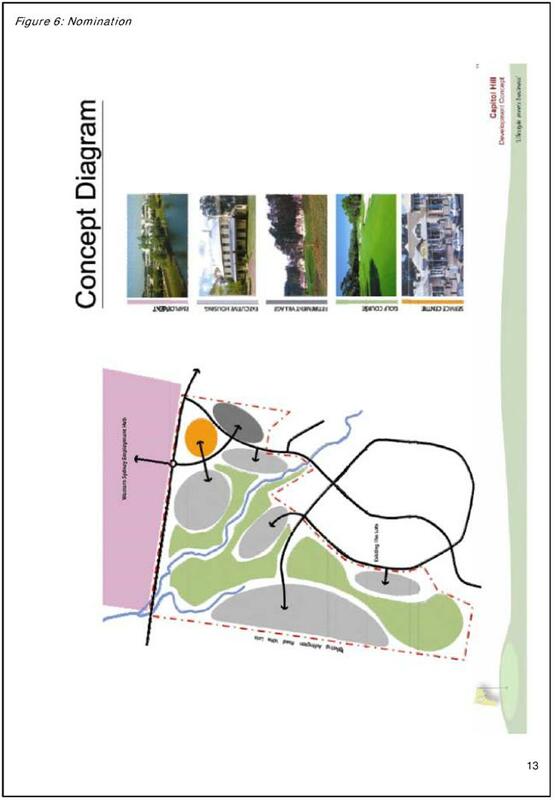 The design is in the construction documentation phase in preparation for construction in 2012. Further, this space was not intended as a heritage themed park, its purpose is as a community park and the park is not large enough to accommodate a structure that would house the Bennett Wagons. The medium wagon within South Creek Park is housed within a secure 41msq structure. It is a single storey log frame, tiled gable roof structure, resting on a concrete slab, walled by a steel cage. It is strategically located in close proximity vicinity to the Blacksmith Shed within South Creek Park, also known as Pioneer Park, St Marys. The small and large wagons are currently located at Council’s depot, Castlereagh Road, parked on a concrete slab under an open carport. The area required to house the two wagons would require a minimum of 82msq. 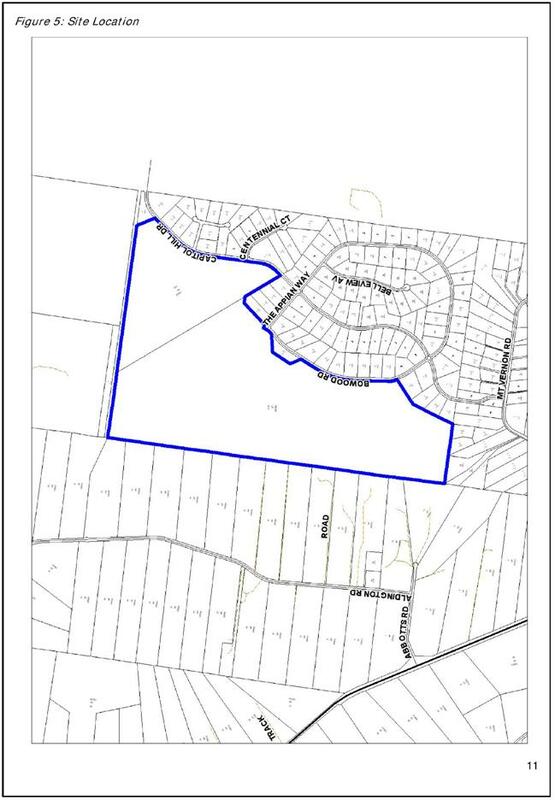 This area is indicative only, and should be reassessed following a Heritage Assessment of the subject wagons. The assessment should include recommendations for the type of structure that would most appropriately reinforce the heritage significance of the Bennett Wagon manufacture in St Marys. 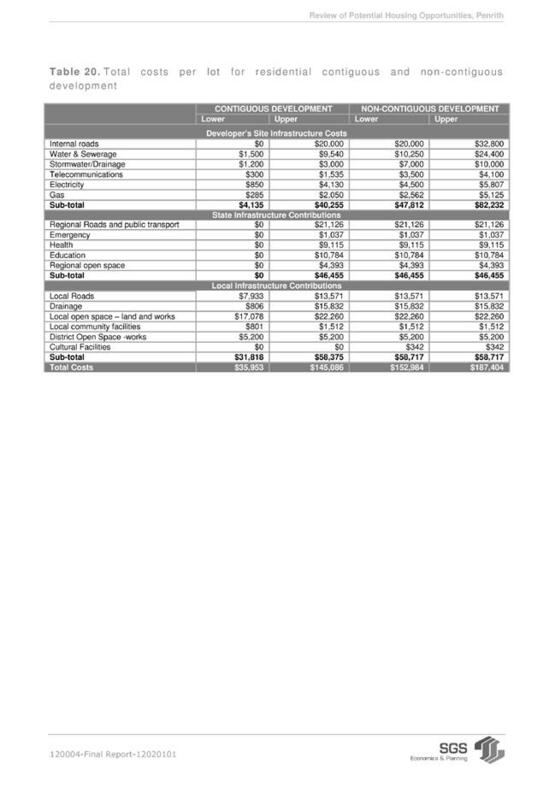 A preliminary cost estimate (excl. GST) to house the wagons based on an 82msq structure has been carried out. This cost includes total associated project cost, including construction cost, approvals and consultant’s fees. 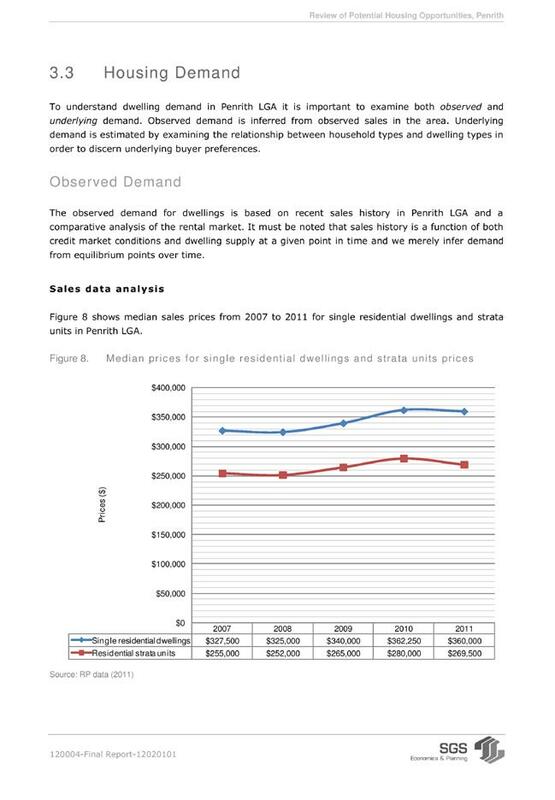 Cost estimate relates to current (2011) prices. The Bennett wagons are identified as movable heritage, defined by the Heritage Office as “manufactured objects of heritage significance”. Council’s Heritage Study, completed in 2007, found that the 3 Bennett Wagons have local significance and recommended that they should be listed as heritage items in Council’s local environmental plan. The City-wide Local Environmental Plan (the City-wide Plan) review process provides Council with the opportunity to list these wagons as heritage items. The wagon located in South Creek Park on the Great Western Highway, St Marys was listed in the first stage of the City-wide Plan, now known as Penrith Local Environmental Plan 2010. 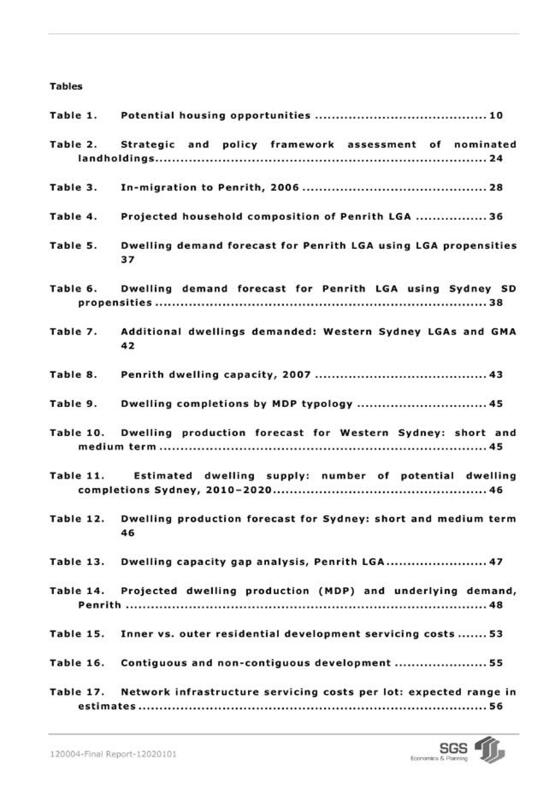 This stage of the City-wide Plan was published, by the then Minister for Planning, in September 2010. The remaining wagons are proposed to be listed as heritage items in Stage 2 of the City-wide Plan. 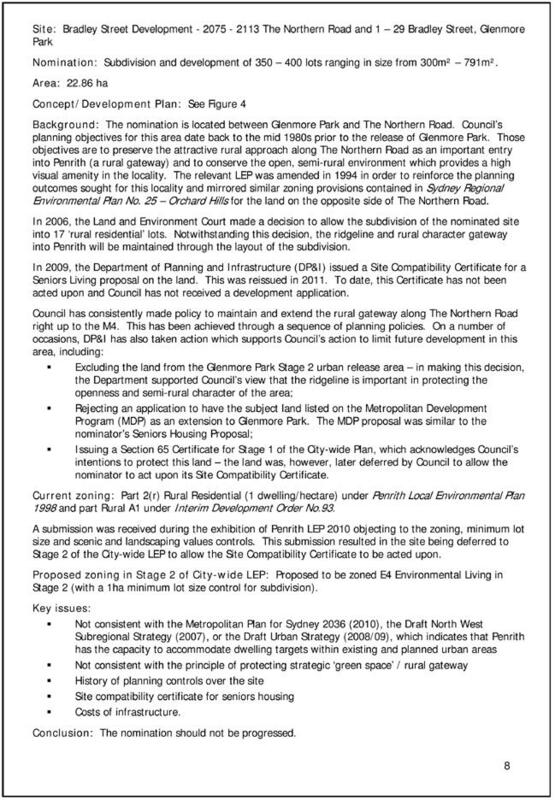 The ‘Planning Proposal’ (the contemporary version of a draft local environmental plan) required to deliver Stage 2 of the City-wide Plan is currently being prepared. 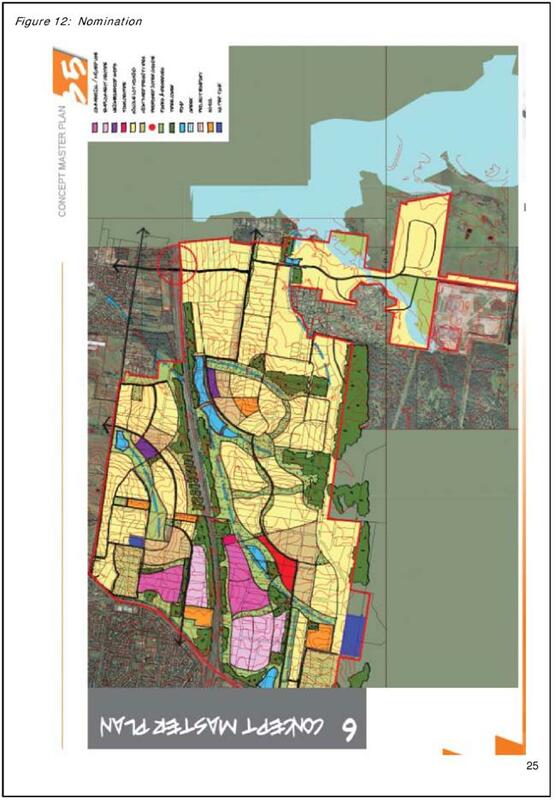 The Planning Proposal is intended for public exhibition in 2012 and it is anticipated that Stage 2 of the City-wide Plan will be published, by the Minister for Planning and Infrastructure, in 2013. With regard to sources of funds to assist in the conservation and management of heritage items and places, the NSW Government’s Office of Environment and Heritage (OEH) has a range of grants available to assist owners and managers of state significant heritage items and places. 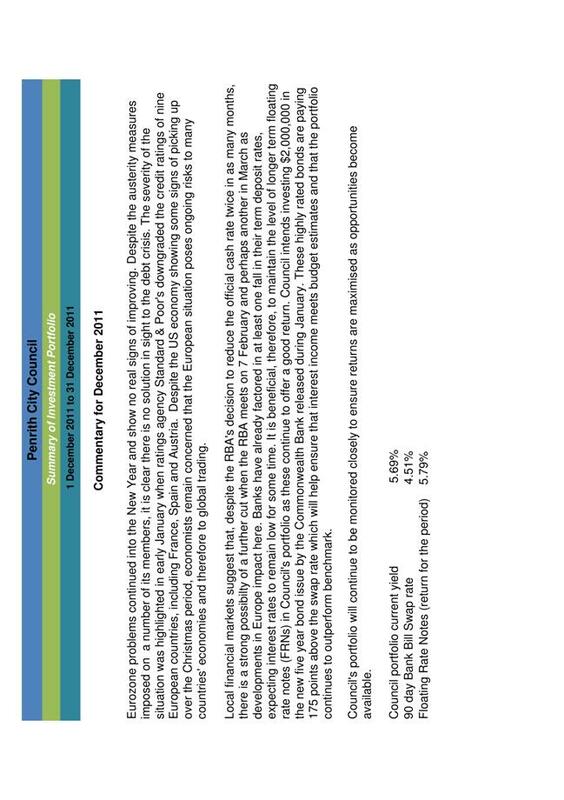 The currently assessed level of significance, as local, means that Council would not meet OEH’s application criteria. The development of the 2011-12 Operational Plan was again a difficult process which has limited Council’s ability to respond to emerging priorities. This has been further highlighted through the September Quarterly Review, with a small surplus position being proposed. 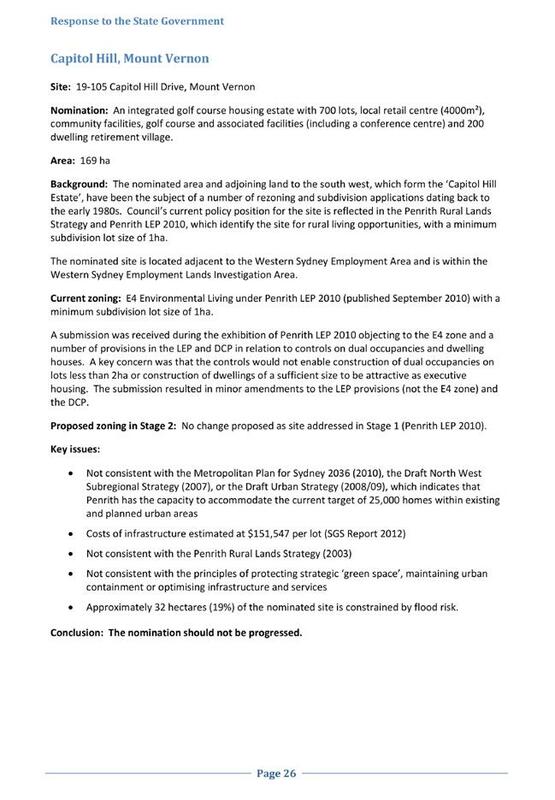 Currently, Council has no capacity to fund the required work to house the Bennett Wagons, however this request could be added to Council’s high priority unfunded list and should funds become available this request could be further assessed at that time against the other identified unfunded priorities. It is important that for the significance of the Bennett Wagons to the history of St Marys to be fully appreciated the three Bennett Wagons in Council’s possession should be on public display. There are currently no funds available to provide the wagons with suitable cover and as their level of heritage significance has only been assessed as local they will not attract grant funds from the OEH. That the information contained in the report on Housing the Bennett Wagons be received. The Australian Local Government Women’s Association (ALGWA) NSW State Annual Conference will be held in Dubbo from Thursday 22 to Saturday 24 March 2012. Penrith City Council has six Councillor members of the ALGWA. It would be appropriate for delegates to be nominated at this meeting. · to encourage women into professional careers in local government. In addition, two of Council’s staff serve as Members on the ALGWA Executive, being Helen Cooper, Council’s Corporate Planning Officer and Bev Spearpoint, Council’s S149 Officer. The ALGWA 2012 NSW Annual Conference will be hosted by Dubbo City Council, and is being held in Dubbo from Thursday 22 to Saturday 24 March 2012. The theme of the Conference is ‘Creators of Change – Women in Local Government’. The annual ALGWA conference provides a platform for councillors and staff to gather to discuss current and emerging issues facing women in local government. An impressive line-up of speakers has been arranged for 2012. Each presenter will bring to the conference stories of how they have created change in their work place or in the community they live in. The Creators of Change conference will help inspire and empower elected members and staff that collectively represent 27 percent of local government in New South Wales. 1. The information contained in the report on Australian Local Government Women's Association 2012 NSW State Annual Conference be received. 2. Council nominate its delegates to attend ALGWA’s 59th Annual NSW State Conference, to be held in Dubbo from Thursday 22 to Saturday 24 March 2012. 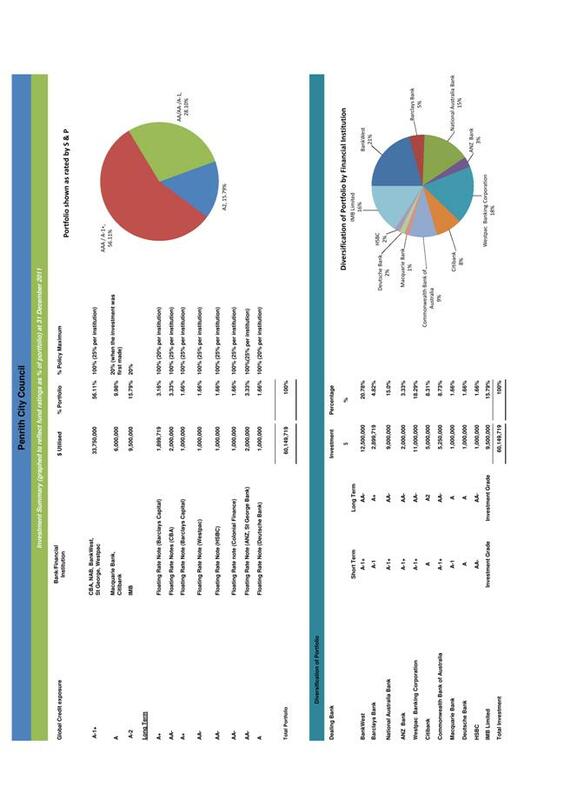 The purpose of this report is to provide a summary of investments for the period 1 December 2011 to 31 December 2011, a reconciliation of invested funds at 31 December 2011 and the Agency Collection Methods as at 31 December 2011. The report recommends that the information contained in the report be received. 1. All investments have been made in accordance with Section 625 of the Local Government Act 1993, relevant regulations and Council’s Investment Policy. 2. Council’s Cash Book and Bank Statements have been reconciled as at 31 December 2011. 1. The information contained in the report on Summary of Investments and Banking for the period 1 December to 31 December 2011 be received. 2. The Certificate of the Responsible Accounting Officer and Summaries of Investments and Performance for the period 1 December 2011 to 31 December 2011 be noted and accepted. 3. 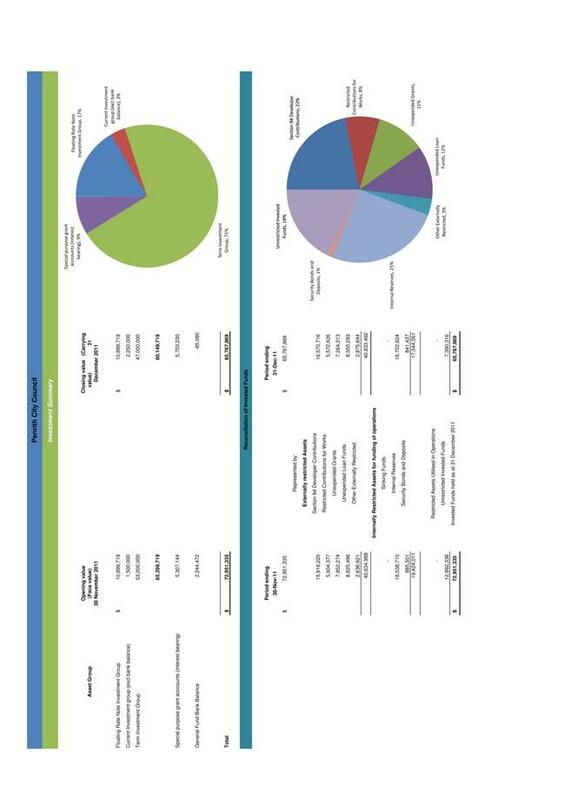 The graphical investment analysis as at 31 December 2011 be noted. 4. 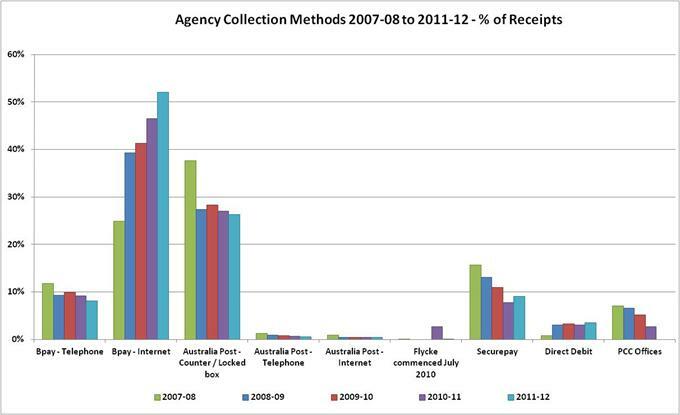 The Agency Collection Methods as at 31 December 2011 be noted. The following is an update of the methods to make payments to Council through various agencies. 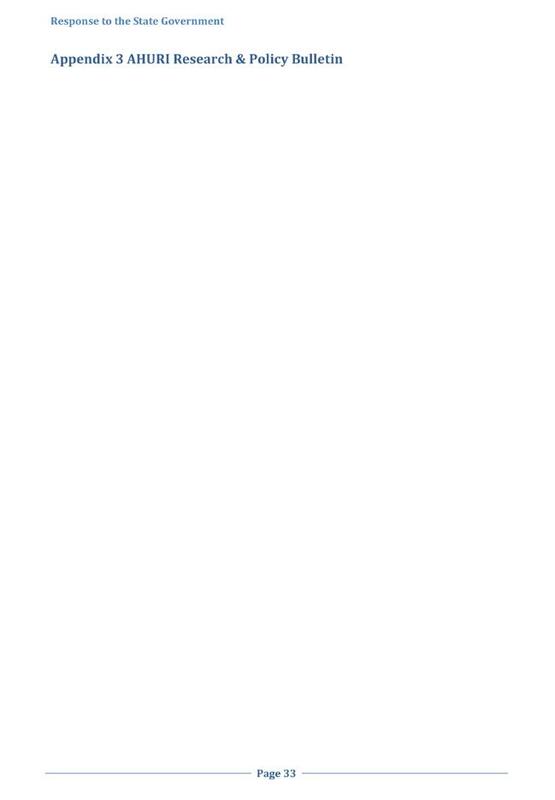 This report informs Council of a Request For Applications (RFA) for the Commonwealth Inclusion and Professional Support Program (IPSP). The report recommends that Council submits an Application under the IPSP for the Sydney North West Inclusion Support Agency. The IPSP supports childcare services so they can include and provide quality care to all children including those with additional needs. Children with additional needs include those from diverse cultural and language backgrounds, those with a disability, and Aboriginal and Torres Strait Islander children. · coaching and mentoring staff through change management. Childcare services eligible for support from the various elements of the IPSP are services approved for child care benefit including long day care, outside school hours care, family day care, occasional care and in-home care services. Services funded under budget based funding programs are also eligible. Private and community based services are eligible for support. In 2006, Council signed a funding agreement with the Federal Government under the IPSP for the regional Sydney North West Inclusion Support Agency (ISA) having successfully won a competitive tender process to deliver the project. 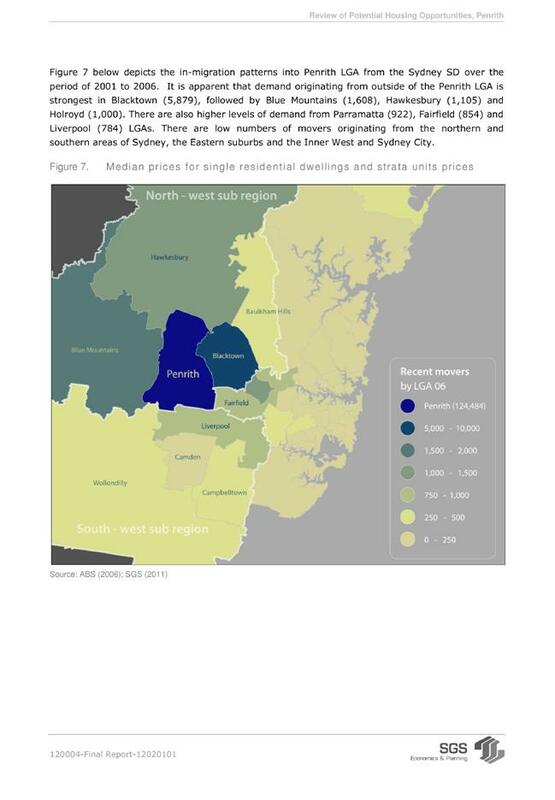 The Sydney North West ISA area encompasses education and care services across Penrith, Blue Mountains and Hawkesbury Local Government Areas and is designed to improve access and inclusion to eligible services of children in the target groups identified above. Over the period that Council has auspiced the Sydney North West Inclusion Support Agency, positive outcomes, identified in a region plan, have been achieved within the funding allocated. The initial funding agreement with Council for the Sydney North West ISA was for three years and has been extended a number of times to December 2012. Across the Sydney North West ISA Region, there are approximately 282 eligible services that could access the scheme. The Federal Department of Education, Employment and Workplace Relations (DEEWR) is seeking applications from suitable organisations to deliver the Inclusion and Professional Support Program (IPSP) under new funding agreements for the period 1 January 2013 to 30 June 2016. The IPSP supports eligible early childhood education and care services to provide high quality, inclusive environments as mentioned previously and it also supports the implementation of the National Quality Framework for education and care services and the ability of services to actively work to adopt and improve their practices in line with approved learning frameworks. Applications close on Friday 24 February 2012. Applications are currently being sought from suitable organisations to deliver various elements of the Inclusion and Professional Support Program from 2013 to 2016. Council has successfully delivered the Sydney North West Inclusion Support Agency under this program since 2006, the current funding agreement for which ends in December 2012. The infrastructure is in place to support an ongoing program and to deliver the outcomes required. The ISA is wholly externally funded with no financial contribution required of Council. 1. The information contained in the report on Request For Applications for the Commonwealth Inclusion and Professional Support Program be received. 2. Council endorse an application under the Commonwealth Inclusion and Professional Support Program for the Sydney North West Inclusion Support Agency for the period 1 January 2013 to 30 June 2016. 3. Council be advised of the outcome of the application. The Child Friendly City Strategy aims to apply child friendly principles to a number of Council’s current strategic planning priorities and identifies areas where Council can add value to and build on current child friendly city practices and service delivery. The Strategy is focused on children aged 0-12 years. It is proposed that the Strategy be implemented and advanced over the 2012-2015 period. A child friendly city seeks to engage with children to encourage the development of future leaders, support opportunities to be the best they can be, provide them with a clean, green, city, have safe accessible ways to move around the city and enjoy our public spaces and community diversity. The Child Friendly City Strategy for Penrith City provides a framework for authentic engagement and consultation with children about activities and places that influence their lives. The strategy highlights the many contributing factors that assist children to develop into competent and capable citizens, and provides best practice examples and case studies of activities or initiatives where children have been consulted about their city, educated children as future citizens, and provided children with opportunities to contribute to the enhancement of their neighbourhood environment. These best practice examples also include some initiatives undertaken in Penrith City. Currently, Council provides direct services to children and families through the provision of childcare services to over 3,000 families. Council’s Children’s Services Cooperative is recognised as a provider of high quality education, learning and care services. This strategy does not cover the Council’s direct services delivery role. Rather the Strategy complements this direct service role by enhancing a number of other Council services that have a role in contributing to a child friendly city. These services include parks, reserves community and cultural development, city planning and events. 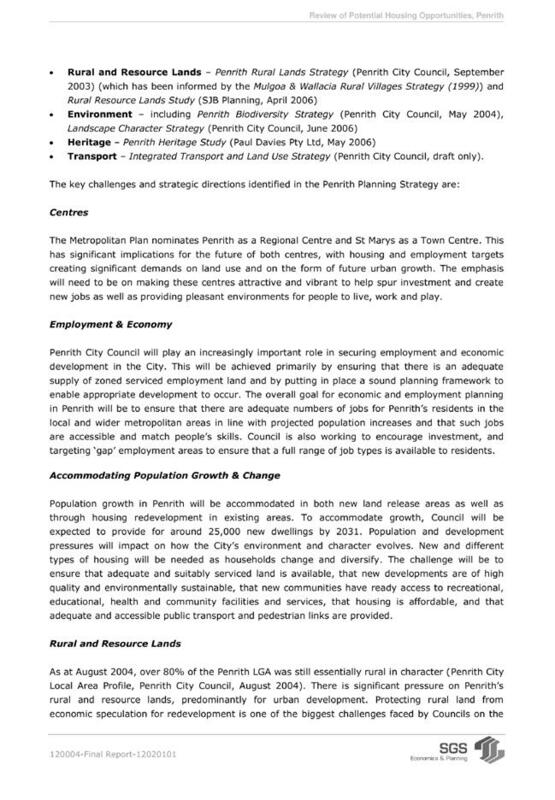 A draft Child Friendly City Strategy for Penrith City was presented to Council’s Policy Review Committee Meeting on 26 September 2011. At this meeting Council resolved to place the draft Child Friendly City Strategy on public exhibition for 6 weeks. The period of public exhibition was from 7 November to 19 December 2011. 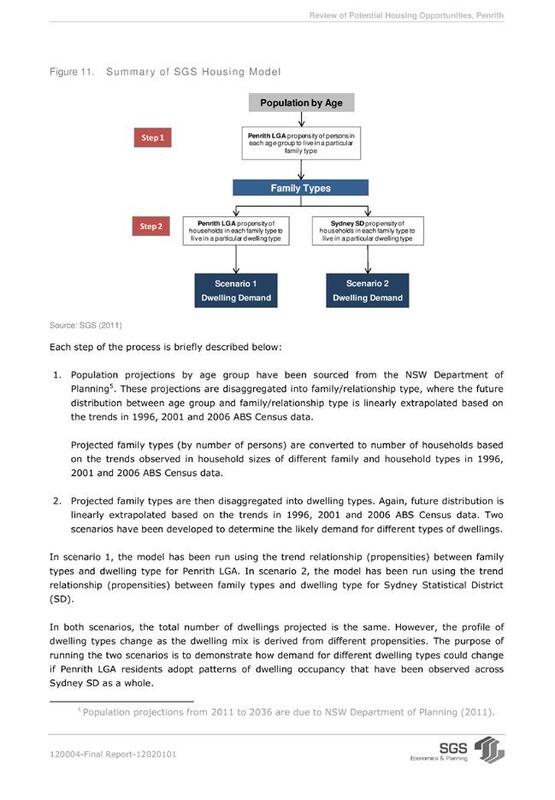 Comments were received from Connect Child and Family Services, Mission Australia, NSW Department of Family and Community Services staff and a member of the public. Children in three Out of School Hours services were also provided with the children’s version and asked to comment. No substantive changes have been made to the draft strategy as a result of the public exhibition. The focus of the Strategy is on Council’s existing roles and responsibilities. It is recognised that Local Government can play an important leadership and coordination role and that it can also ensure that Council’s own services, facilities and infrastructure are appropriate for, and responsive to, the needs of children and families in Penrith. The examples of best practice from Penrith City in the Strategy illustrate Council has made progress in implementing child friendly city principles. Examples include Paint Penrith REaD, the community and children’s engagement that was the basis for the development of the local playground opposite Kingswood Park Primary School, the Enviro Adventure program with primary schools, Council’s Library Service toy library sessions, and the Mobile Playvan. 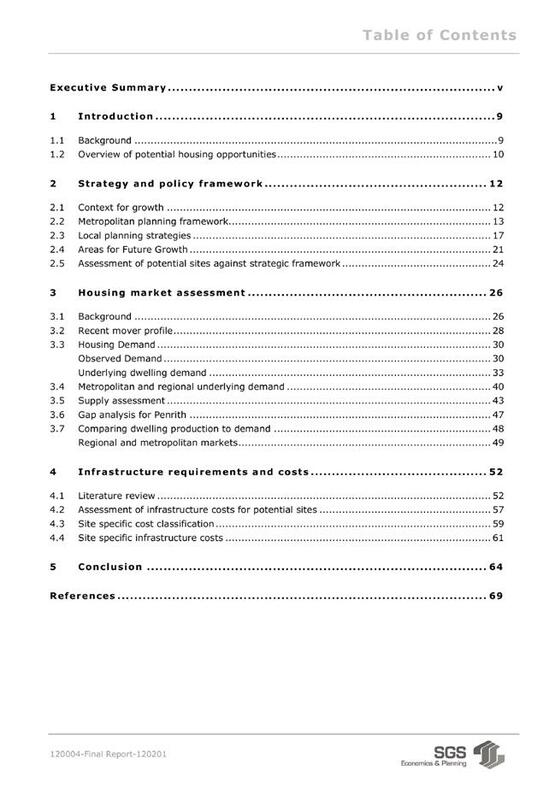 Summaries of these are provided in the endorsed Strategy. The Strategy is intended to further assist Council to enhance its capacity to effectively plan for children aged 0-12 years and their families in the Penrith community. It is expected to influence the broad range of planning and advocacy that Council undertakes to promote the wellbeing of children and families in Penrith. The framework will provide a focus for Council’s response to planning for children and their families in the Penrith community. 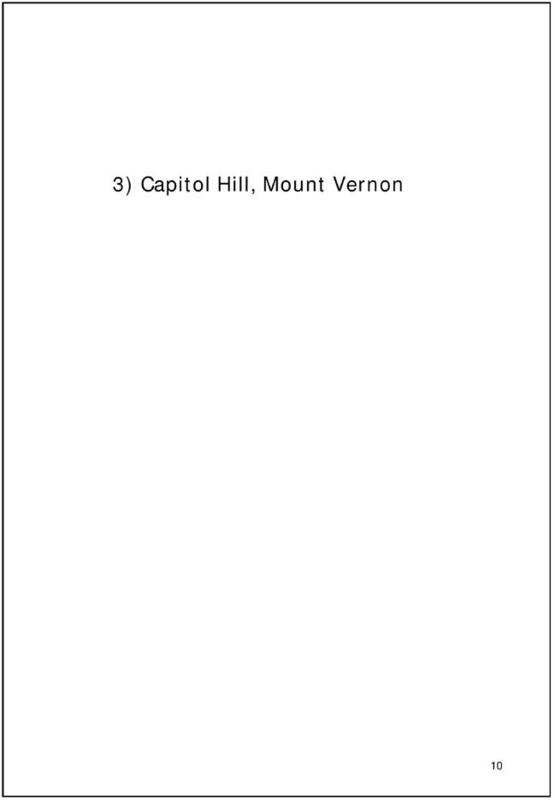 The final Child Friendly City Strategy is provided as Attachment 1 to this report. 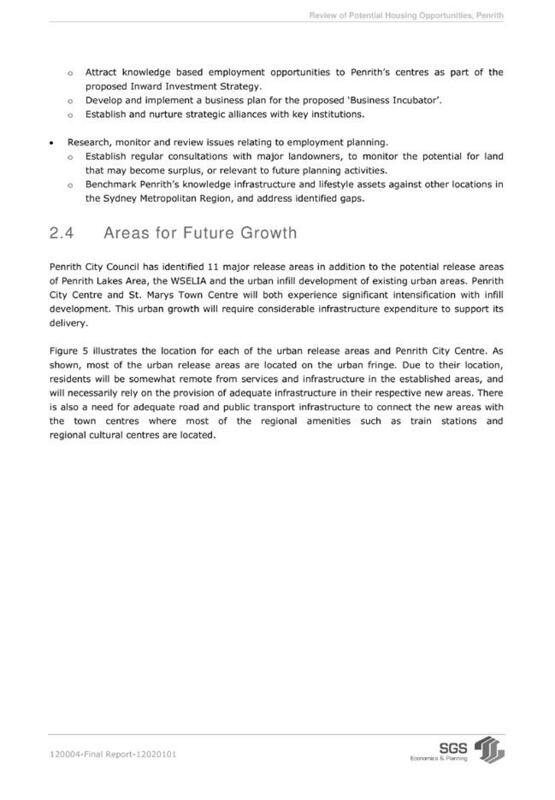 The report recommends that the information contained in the report be received and that Council endorse the Penrith Child Friendly City Strategy for implementation. It is widely recognised that the early years of a child’s life are critical to their development into healthy and responsible adults. Access to child care, health services, education, nutritious food, quality built and natural environments, coupled with supportive, caring relationships with adults are essential to children’s health and wellbeing. Children help us to think and care about the future. In many ways they crystallise the often abstract discussions we have about sustainability, liveability and related concepts about the current and future state of our community. Children are a big part of the community of Penrith. Penrith is known as an area that is popular with families and as a good place to bring up children. 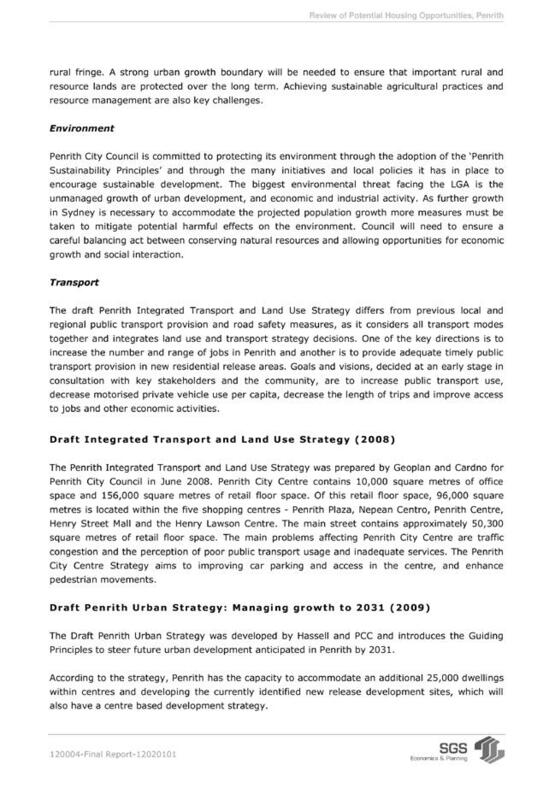 In this strategy Council explores how Penrith can continue to be, and improve on, its place as a child friendly city. As part of Council’s 2005-2009 Strategic Plan Council made a commitment to develop a city wide strategy for children. Council has a commitment to completing the Strategy and commencing implementation as part of the current four year delivery program. In 2008 a scoping paper was developed by Urbis Consultants to research and explore possible directions for a Children’s Strategy. The recommendation from Urbis was for Council to pursue a Child Friendly City Framework to utilise available international benchmarking and leading practice examples that support child friendly outcomes. A Child Friendly City Framework would also seek to influence practice across the whole organisation to ensure children were an integral part of planning and consultation processes, and were provided with opportunities in the city to develop as competent and active citizens. In 2008/09 Elton Consulting was engaged to develop a Child Friendly City Strategy. The document was developed after consultation with children in Penrith City Council’s Children’s Centres and in 5 primary schools across Penrith City. An external stakeholders’ consultation was held with child and family service providers, and an internal reference group provided information about Council’s role in providing services and amenities for children and families. 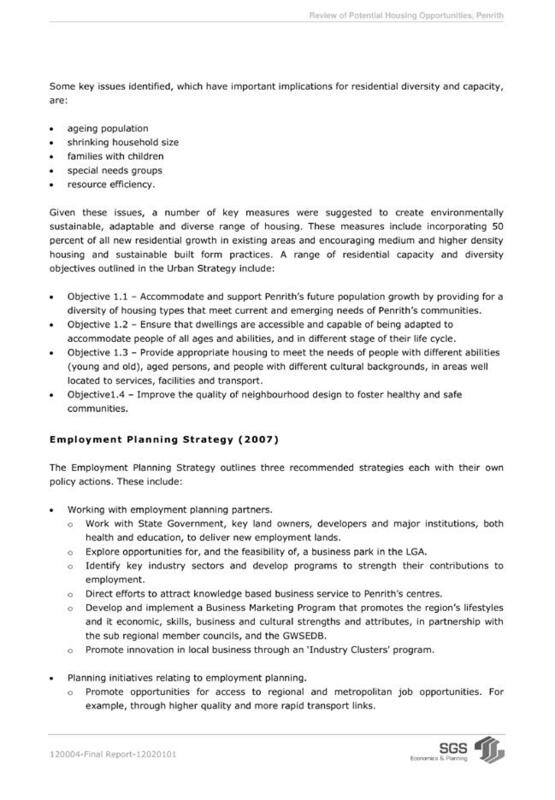 A consultant’s draft of the Child Friendly City Strategy was presented to a Councillor Briefing on 11 July 2011. On 26 September 2011 a final draft of the Child Friendly City Strategy was presented to a Policy Review Committee meeting to take the document to public exhibition. The public exhibition period took place at the end of 2011 from 7 November to 19 December. 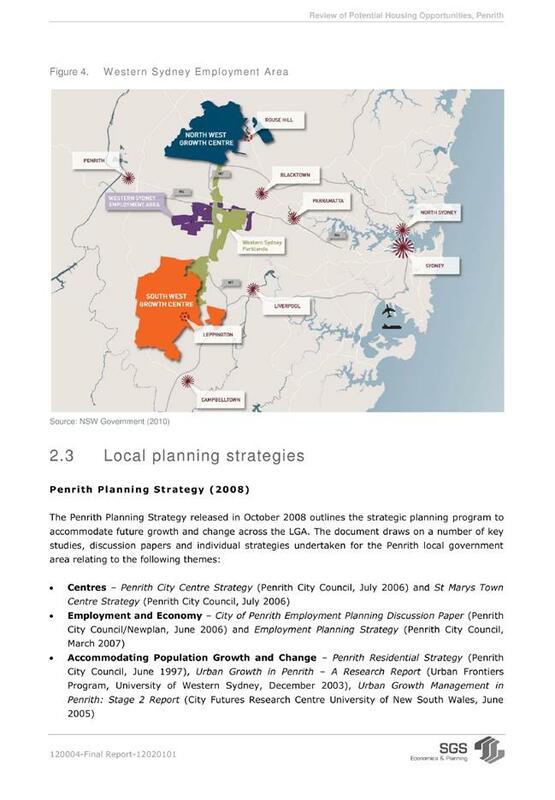 The opportunity for public comment on the strategy was promoted through libraries, Penrith Council’s Children’s Services, Penrith Primary Schools, community networks such as the Families NSW Implementation Group and the Penrith Child and Family Forum. A notice was also placed on Council’s Website and in the Mayoral column of local newspapers. · Drink safe water and have access to proper sanitation. These principles have been modified and adapted to align with Council’s Community Strategic Plan 2031. Child friendly communities are communities that work and cater for a variety of community members. Characteristics such as safety, mobility, and connection are the basis of well functioning and supportive communities. It is also important to recognise that creating a child friendly city involves a wide range of partners including children and families, community organisations and services, care and education providers and all levels of government – Local, State and Commonwealth. The Child Friendly City Strategy recognises that the main responsibility for funding child and family services rests with the State and Commonwealth Governments. The focus of this strategy is on Council’s existing, and potential, roles and responsibilities. It is recognised that Local Government can play an important leadership and coordination role and that it can also ensure that Council’s own services, facilities and infrastructure are appropriate for, and responsive to, the needs of children and families in Penrith. One of the key challenges for Penrith in supporting a child friendly city involves considering children’s needs across the full range of Council functions including social planning, community and cultural development, neighbourhood renewal, mobility and access, traffic management, open space and recreation planning, environmental planning, public health, the provision of services including child care, libraries, recreation and events. Penrith City Council has a long history of supporting families through the provision of childcare and other child friendly activities and some of these have been highlighted in the endorsed Strategy as best practice examples. 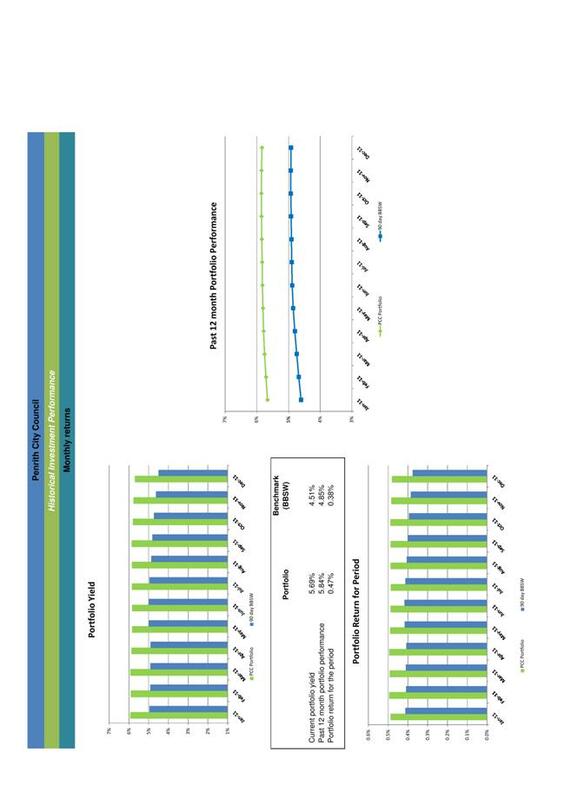 Table 1 below illustrates how child friendly outcomes (developed for the NSW Commission for Children and Young People by Woolcock and Steele) align with Council’s Strategic Plan themes and objectives. 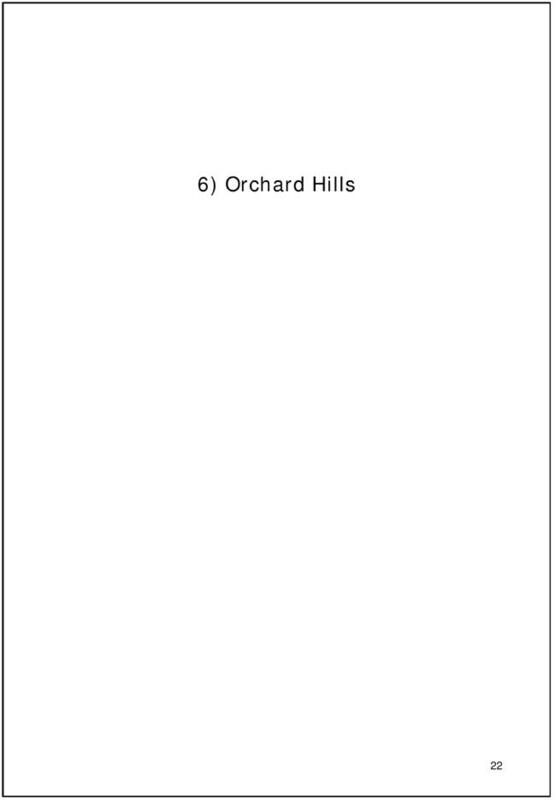 A copy of the Child Friendly City Strategy is provided as Attachment 1 to this report. · and what Council is going to do to respond to the strengths and issues identified through the consultant’s research and Council officer review and assessment. Section 10 of the Child Friendly City Strategy (pages 44-45) is titled Putting the Framework into Action. This section lists the proposed actions that Council officers will advance from 2012 as well as the identified outcomes for children. One member of the public responded to the draft document by requesting that Council consider how Council services can support new mothers to get out and meet other new mothers. Cafes and parks and playgroups are not necessarily suitable for mothers with new and crawling babies and the new mothers group established by Community Health does not run past 8 weeks. This may be addressed by the newly appointed Children’s Librarian running ‘baby bounce and rhyme’ times at library sites to encourage new mothers to meet other mothers, and introduce library services to a new generation in a no cost location. Further promotion of Mobile Playvan services in ante natal clinics and at new mothers’ groups will also provide new and isolated mothers with information about available services. “We have worked closely with Council, particularly with families and children. We have been part of the Neighbourhood Renewal projects in St. Marys and Kingswood, participated in the Family Food and Culture activities, and we are very committed to the same outcomes for children and families in Penrith. This is particularly reflected in the outcome for neighbourhoods to be ‘safe and secure environments for children’, and for children to be ‘able to move safely around their neighbourhoods’. We have also worked very closely with children’s services. Penrith is very much a leading city, particularly in terms of our, and Council’s involvement in Paint Penrith Read. This has been a fantastic partnership, and very much reflects the outcomes for children to experience ‘a sense of belonging, and connection to their community’, and also the opportunity for ‘families having access to facilities, services, programs to meet their needs’. We want Penrith to be a ‘liveable’ place where children can lead healthy and active lives, where parks and areas for families are a priority. A similar message of support for both the strategic initiative and the planned outcomes was received from Ms Robynne Cole and Ms Marilyn Fischer from the NSW Department of Human Services Metro West Regional Office. In particular, they supported the recommendation to establish a child friendly city reference group to provide a forum for NGO’s, government departments and Council to work collectively on child friendly outcomes for the community of Penrith. Children aged 5-12 were given the Child Friendly version of the strategy in three Out of School Hours Services in Werrington, Emu Plains and Glenmore Park. All the children felt that the ideas covered in the booklet were valid and provided staff with ideas for appropriate engagement strategies to canvass their opinions on topics and provide them with information. Many responded positively to the idea of a children’s page on Council’s website where they could answer survey questions, gain information tailored to their age group and find out about services, activities and information in their city. The response to the Strategy has been positive and provides a strong platform from which to continue implementation of the Child Friendly City Strategy. The Strategy will be implemented during the period 2012-2015. It is however important to keep in mind that the proposed actions are broadly framed and support an enhanced way to deliver some key Council services. The emphasis is on a number of Council services that are most relevant to children. The actions in the endorsed Strategy have also been framed in a context of limited available resources while at the same time being alert to existing and potential future opportunities to add value to Council’s strategic program priorities. This includes the significant investment in assets that Council proposes to make in coming years. The role of the Community and Cultural Development Manager, Children’s Services Development Officer, and the Managers with action responsibilities in the Strategy will be to maximise the child friendly outcomes that can be achieved from implementation. Council’s Children’s Services Development Officer is also a participant in the NSW Child Friendly City Network which meets a number of times each year. This network shares resources, information and funding opportunities to advance child friendly city initiatives through local government leadership. Also as the leading practice examples in the endorsed Strategy illustrate, Council has advanced a number of child friendly initiatives over a number of years (examples include the Library Services toy library, the Mobile Playvan, a number of Neighbourhood Renewal children’s engagement and implementation initiatives, as well as the more recent Paint the Town REaD). The endorsed Child Friendly City Strategy builds on a number of these exciting initiatives as well as providing a structured framework, principles and outcomes to give added focus to advancing Penrith as a child friendly city. 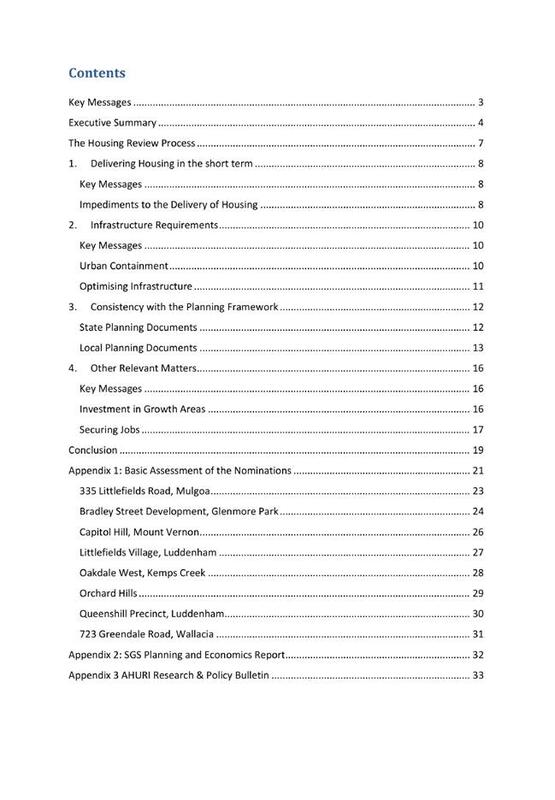 This report seeks endorsement by Council of the Strategy. 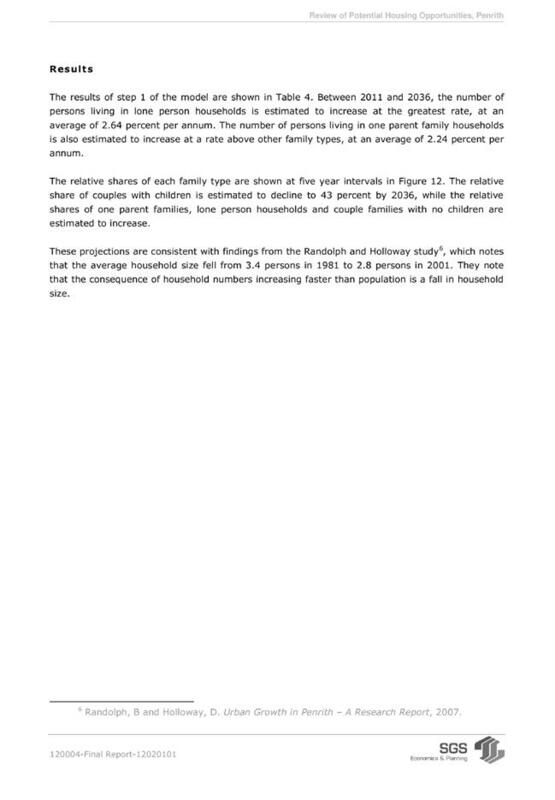 The strategy is provided as Attachment 1 to this report. After endorsement it is proposed that the Strategy will be launched as part of a community fun day in partnership with Mission Australia, Council’s partner in Paint Penrith REaD. Associate Professor Geoff Woolcock of Griffith University will also provide some training for Council staff on implementing child friendly principles in their project plans and service delivery. Professor Woolcock is the author of Built 4 Kids, a guide for local government in planning for a child friendly built environment. He has worked extensively with the Logan City Child Friendly City Consortium and Healthy Cities Illawarra in planning a whole of community approach to child friendly outcomes. The Penrith Child Friendly City Strategy will build on Council’s existing child friendly achievements and provide added focus and emphasis on child friendly outcomes for Penrith City. It is proposed to provide Council with comprehensive biennial updates on the state of children in relation to the priority actions in the strategy. In addition child friendly achievements will be highlighted in updates to Councillors through the Councillor Bulletin. The process of becoming a child friendly city takes many years and requires genuine acknowledgement of children’s right to participate as active agents in their world. Implementation of child friendly principles and outcomes contributes towards a richer city that recognises that all members of the community can make a contribution to their neighbourhood including children. This approach will also result in more inclusive, cohesive and respectful communities and will enhance the quality of life for all members of the community. It will also ensure that children receive the best possible opportunity to become active citizens of the Penrith community with an understanding of the responsibilities and rights of participation and will provide a community that supports children in this life journey. 1. 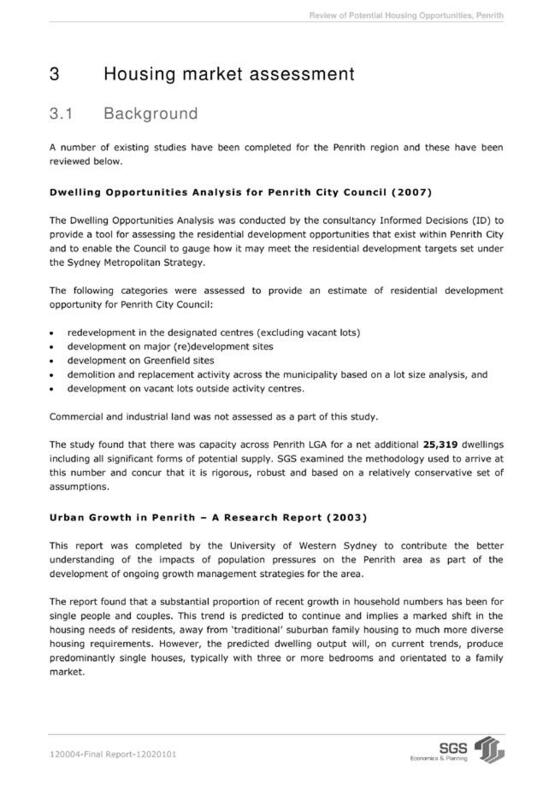 The information contained in the report on Penrith Child Friendly City Strategy be received. 2. Council endorse the Penrith Child Friendly City Strategy for implementation. 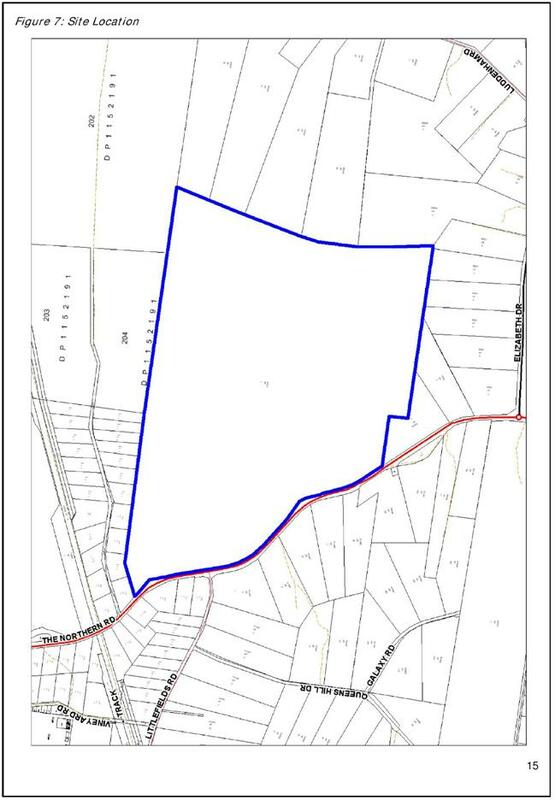 Council is in receipt of a Section 96(1A) Development Application from SITA which seeks to modify the existing hours of operation of the cessation of landfill activities at the subject site from 6.00pm to 10:00pm Monday to Friday and from 4:00pm to 5:00pm on Saturday. The current hours of operation for landfill are restricted to between 6.00am-5.00pm, Monday to Friday. The site originally accommodated extractive industry, however, the site now accommodates landfill operations and an Advanced Waste Treatment Facility, with the latter approved on 15 April 2008 under the now repealed Part 3A – Major Projects of the Environmental Planning and Assessment Act 1979. A modification to the Part 3A approved Advanced Waste Treatment Facility (Project Application 06_0185 Mod 1) had been approved on 20 September 2010 by the Department of Planning. That modification extended the current cessation of operations from 6:00pm until 10:00pm Monday to Friday and from 4:00pm to 5:00pm Saturday. The approved hours of operation for the Advanced Waste Treatment Facility are consistent with those which are sought for the subject modification to the landfill operations discussed in this report. The site is part zoned E2 Environmental Conservation and part RU2 Rural Landscape under Penrith Local Environmental Plan 2010. The majority of the site is zoned RU2. The current proposal involves the extension of the hours of operation of waste disposal on the site. Waste management facilities or works are a prohibited use in the zone. However, it should be noted that the waste management facilities are a permissible land use on the site due to the provisions of SEPP Infrastructure 2007. 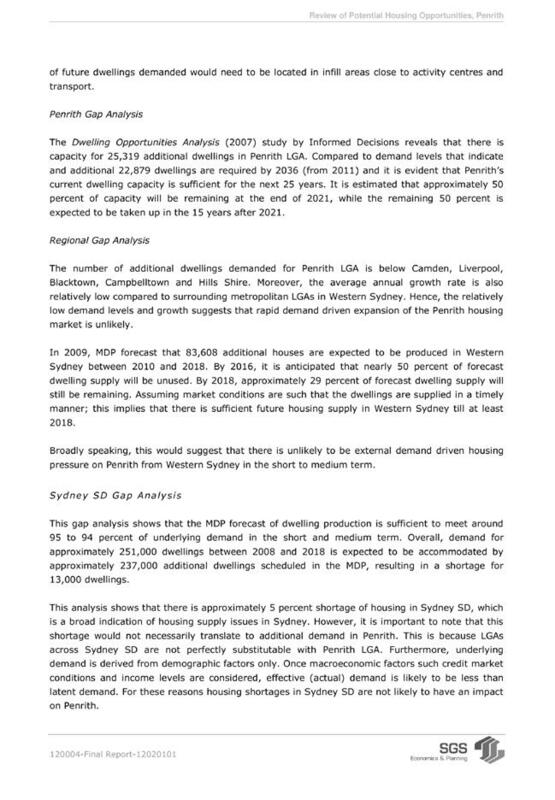 LEP 2010 sets the planning intent for the locality and the proposal does not meet the objectives of the abovementioned zones. The rural and residential amenity of residents in the locality is likely to be disrupted because of the operation of the activity. The use is industrial in nature and adjoining residents should not be subject to such activities from 6.00pm to 10.00pm. There are no similar night time activities in the local area and traditionally the night time in this rural residential area has been free of land use conflicts. The proposal is in conflict with the objective of the zone that seeks to minimise conflict between land uses within the zone. The extension of the hours of operation of the waste disposal component of the approved activity on the site into the night time is not compatible to other land uses in the locality. The proponent has not been able to demonstrate that there is a community benefit associated with the proposed modification to operating hours. Because of the contractual arrangements between the owner of the site and Council, the matter has been assessed by an independent planning consultant and is reported to Council for determination. It is recommended that the application be refused. · On 9 November 2009, Council resolved to approve the modification DA08/0958 which sought to modify the final landform to ensure the achievement of a 5% gradient. The finished landform height increased from 65m AHD to 73 AHD. 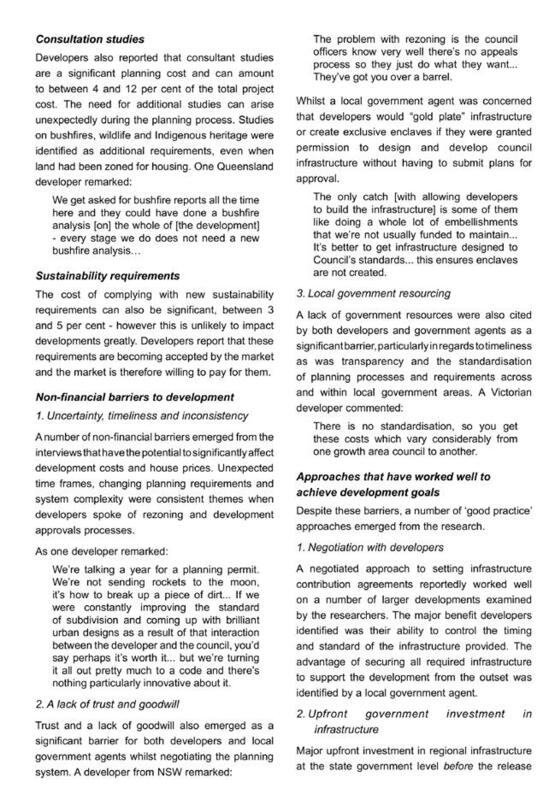 · On 8 August 20011, SITA representatives addressed Councillors on the future of the site. At this meeting Council was of the view that a concept DA be prepared for the site taking into account the likely changes to the operation of the SAWT Facility as well as the landfill operations. The cost of the proposed works is $23million. Council have contacted the Department of Planning who have advised that they are obtaining legal advice as to whether the proposed changes constitute a modification or are more appropriately dealt with as a new development application. 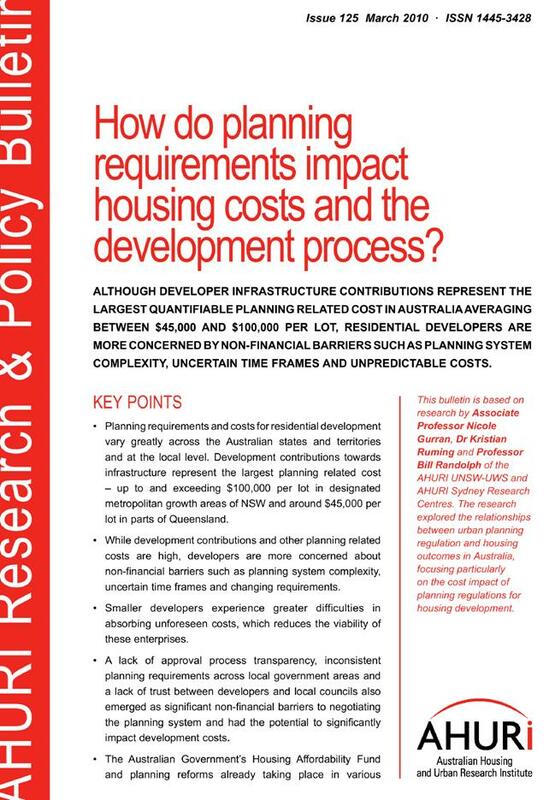 At the time of writing this Report no confirmation from the Department of Planning has been received. The subject site has a combined area of approximately 86ha most of which is being used for extractive industry or landfill purposes. The office and maintenance buildings are located in the south-eastern corner of the site. 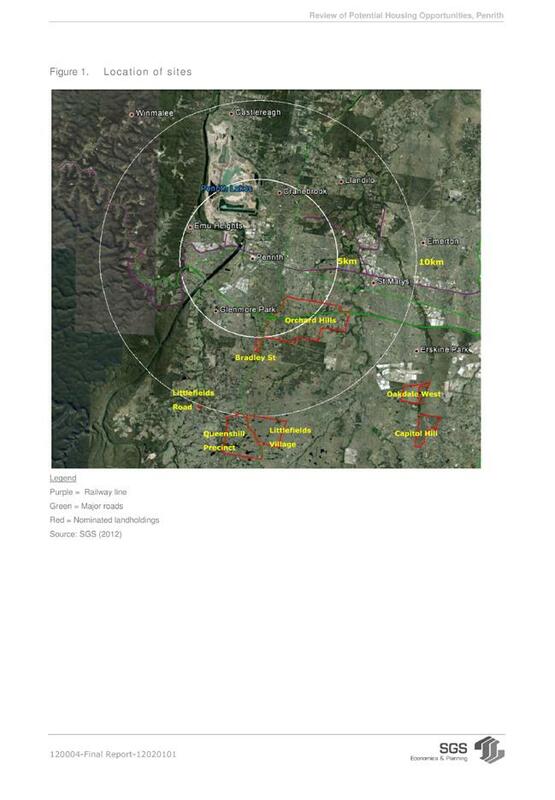 The extreme western part of the land that adjoins Badgerys Creek has been retained as a natural buffer. There are numerous dams and watercourses located on the surrounding lands. The advanced waste treatment facility is located in the north-western corner of the site. The landscaped bund walls approximately 5 metres high have been constructed on the boundaries of the land. The surrounding lands are used for rural and rural residential purposes. 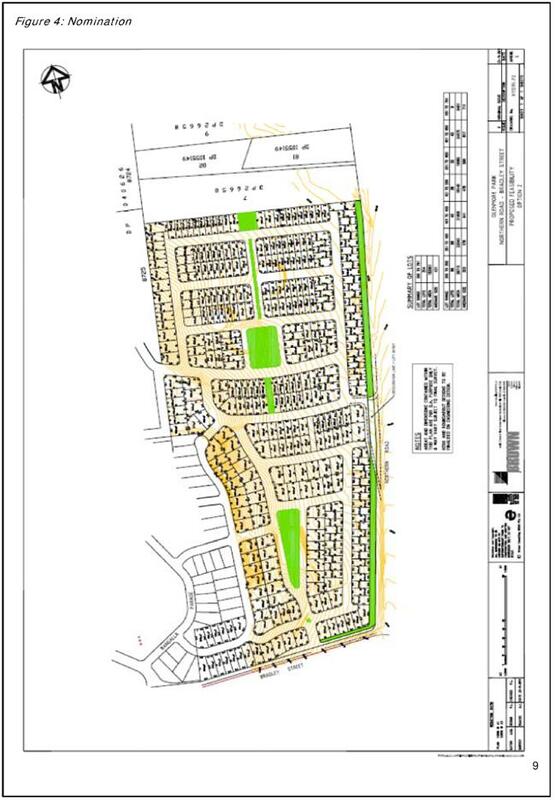 The Twin Creeks residential development is located 1 km to the north of the subject land. The subject land has direct access to Elizabeth Drive. 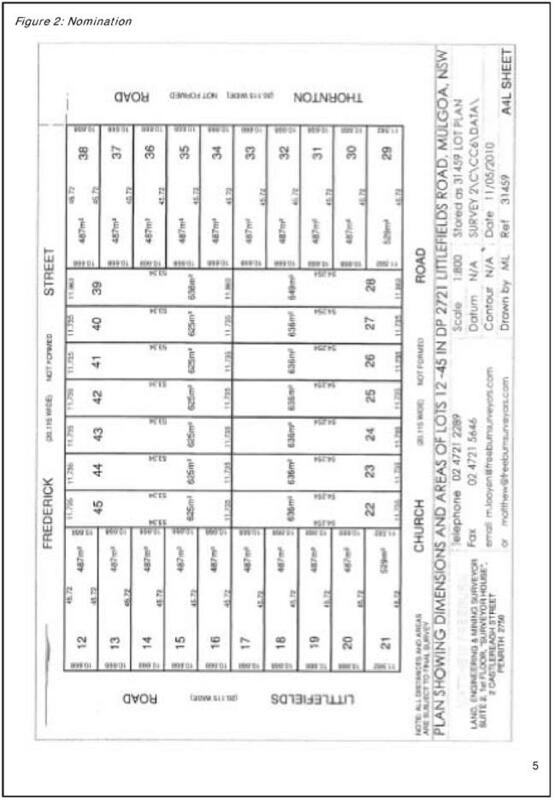 The location of the land and a site plan are shown in Appendix No.1 and 2. · To move processed waste from the Advanced Waste Treatment Facility to the maturation beds and allow the movement of composted material from the maturation beds to the Advanced Waste Treatment Facility for bagging the following morning. Between the hours of 9.00pm and 10.00pm, a spray machine known as a “Concover” machine would spray refined mulch onto the inert material transferred from the SAWT. The spraying of the wet mulch cover material would seal the inert waste until it is placed in the landfill the following day. The applicant states that the proposed modifications would allow for operational efficiencies between the land fill and Advanced Waste Treatment Facility given the consistency in hours of operations at both operations. · Monday Friday to 10.00pm on the proviso that outdoor operations between the hours of 6.00pm – 10.00pm be limited to ten (10) trips by a 6 tonne truck (that is 20 movements) and 12 trips by a front end loader (that is 24 movements). 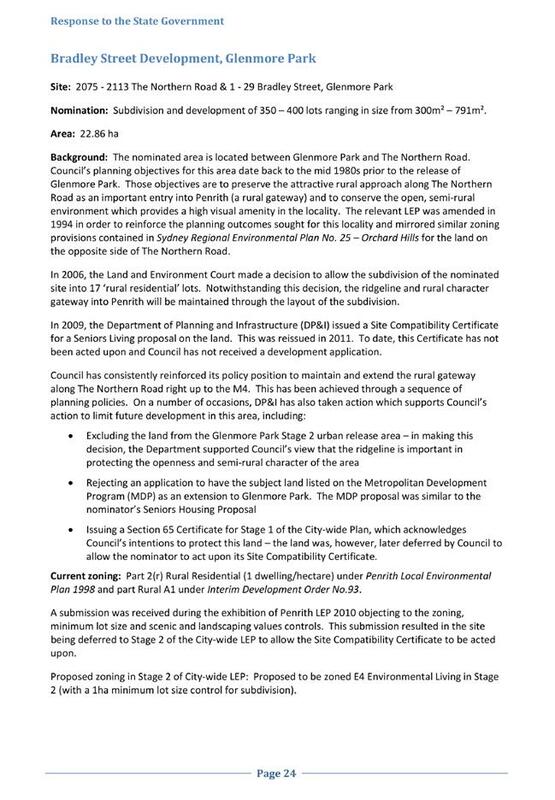 The development has been assessed in accordance with the matters for consideration under Section 79C of the Environmental Planning and Assessment Act 1979, and having regard to those matters, the following issues have been identified for further consideration. An applicant may seek Council’s consideration to a modification of development consent provided the development to which the consent as modified relates is substantially the same as the original consent. Council has the ability to refuse, or approve subject to conditions, a modification of an existing consent based on the merits of the proposal. In determining the merits, Council must have regard for submissions received after notification and consideration of relevant Section 79C(1) matters. Also as the development is designated development, Clauses 35 & 36 in Schedule 3 of Environmental Planning and Assessment Regulation 2000 are relevant. 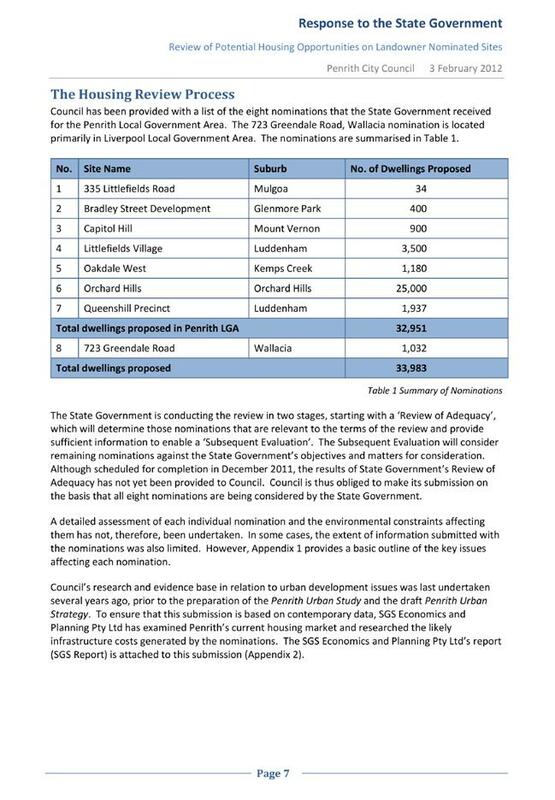 These clauses provide the heads of consideration for Council to form an opinion of whether the alterations and additions do not significantly increase the environmental impacts of the total development. The proposed development, as modified, is substantially the same as approved. That is, the land uses are still extractive industry and disposal of non putrescible waste. The proposed increase to the hours of operation can be determined as a modification to the existing consent rather than Council requiring the lodgement of a new development application. The above statement does not infer support of the proposal rather it confirms that the Council can consider the merits of the Section 96 modification application. 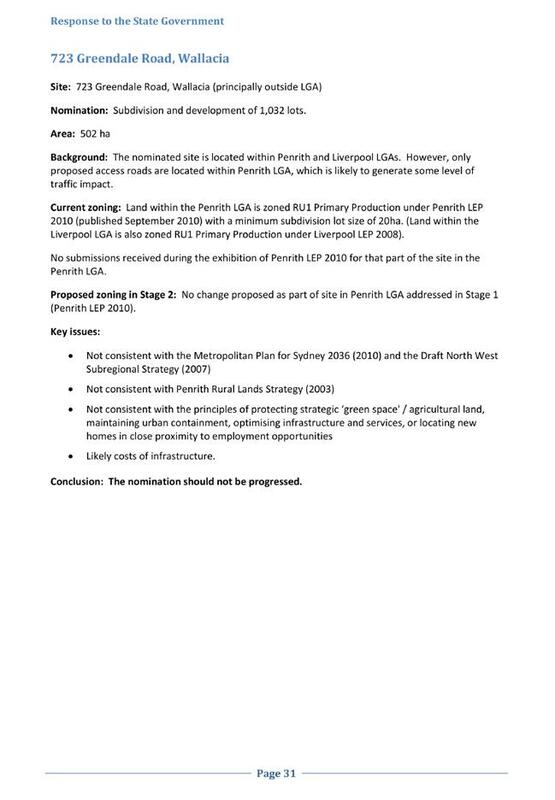 This planning instrument makes extractive industries a permissible land use on land identified in the REP, consequently overriding Penrith LEP 2010. The site currently enjoys development consent for the continued extraction of clay/shale from the site and its rehabilitation by filling with non-putrescible waste. The current proposal seeks to increase the hours of operation and as such the requested modifications do not compromise or alter the permissibility of the development. 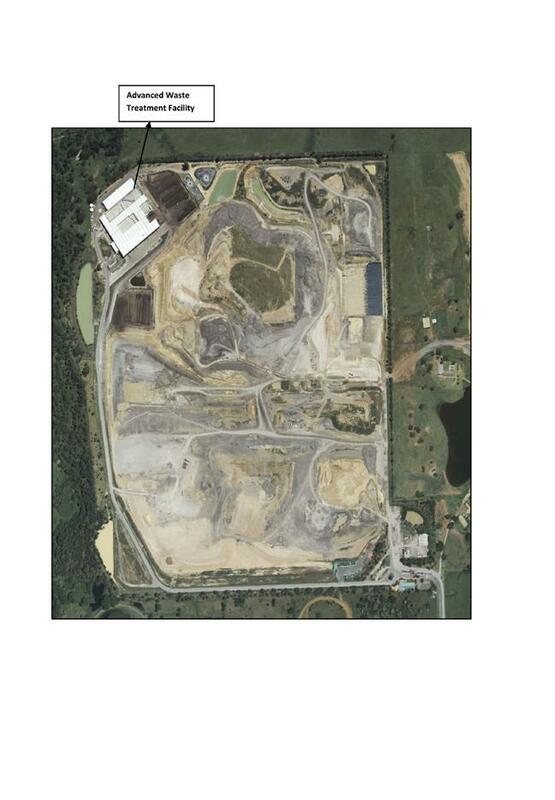 Waste management facilities are a permissible land use on the site due to the provisions of SEPP Infrastructure 2007. (f) providing for consultation with relevant public authorities about certain development during the assessment process or prior to development commencing. It should be noted that these objectives are framed to facilitate infrastructure development with little regard to the impacts of such development on local communities. SREP 20 contains a policy designed to ensure that future development does not prejudice the achievement of the goals of use of the river for primary contact recreation (being recreational activities involving direct water contact, such as swimming) and aquatic ecosystem protection in the river system. If the quality of the receiving waters does not currently allow these uses, the current water quality must be maintained, or improved, so as not to jeopardise the achievement of the goals in the future. Specifically, Council is required to quantify and assess the likely impact of any predicted increase in pollutant loads on receiving waters. There will be no change to the type and scale of works that are already occurring on the land and the proposed amendments do not result in the need to change the environmental safeguards with regard to minimising water pollution on receiving waters that are already in place. Therefore, the proposed modification satisfies the requirements of the SREP. 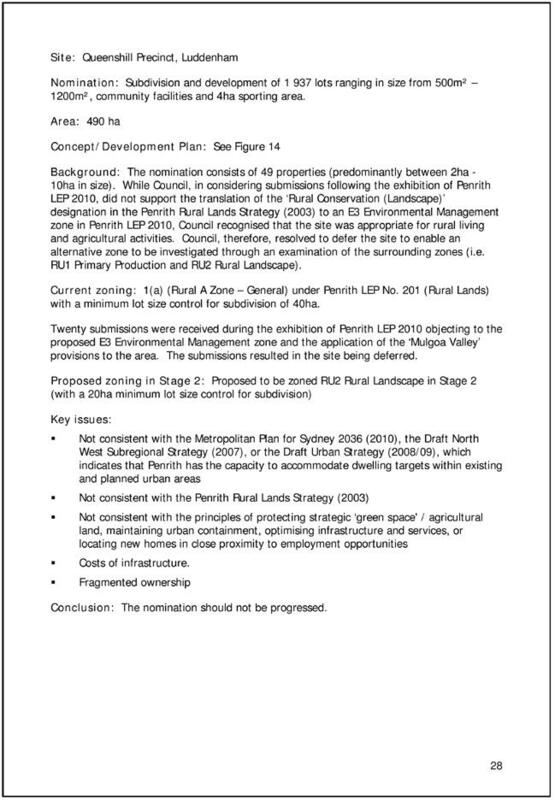 The site is part zoned E2 Environmental Conservation and RU2 Rural Landscape under Penrith Local Environmental Plan 2010. It should be noted that the majority of the site is zoned RU2. The current proposal involves the extension of the hours of operation of waste disposal on the site. Waste management facilities or works are a prohibited use in the zone. However, it should be noted that the waste management facilities are a permissible land use on the site due to the provisions of SEPP Infrastructure 2007. The existing development is a lawful use by virtue of the provisions of SREP No. 9 - Extractive Industries (No. 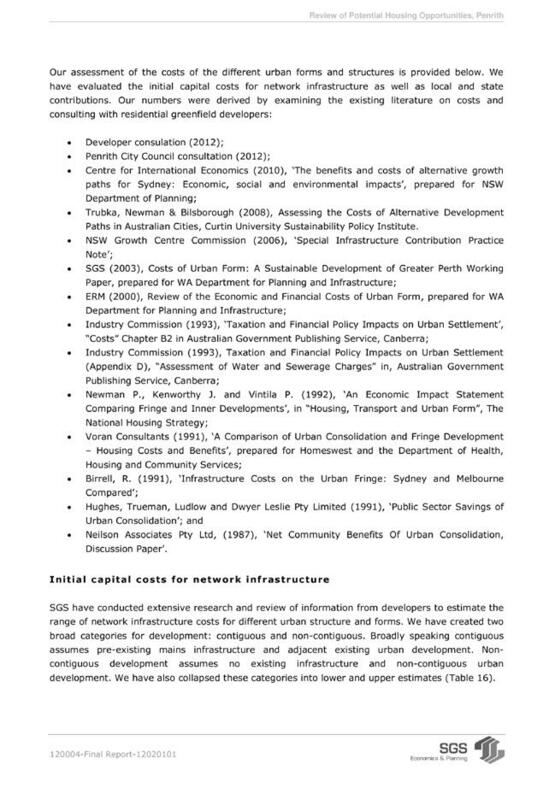 2) and SEPP Infrastructure 2007. 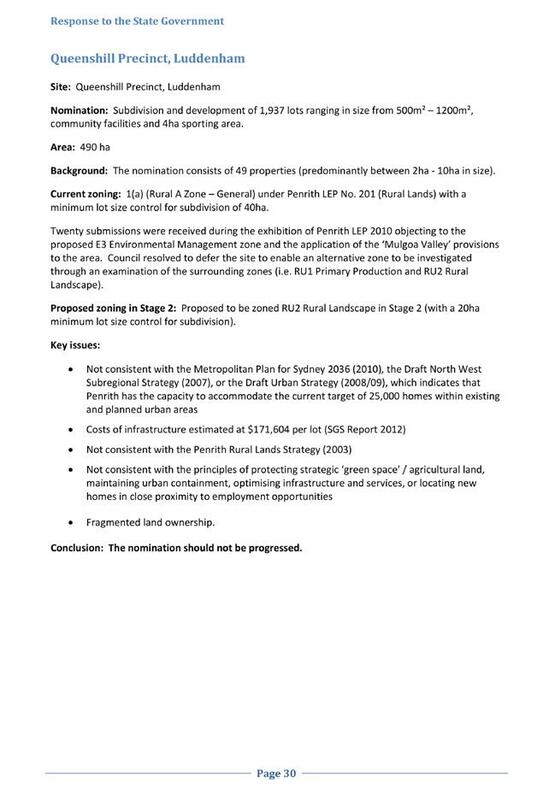 Notwithstanding that the proposed land uses are permissible under State Environmental Planning Policies the underlying zone objectives of the E2 Environmental Conservation and RU2 Rural Landscape zones as prescribed by Penrith LEP 2010 are still applicable. 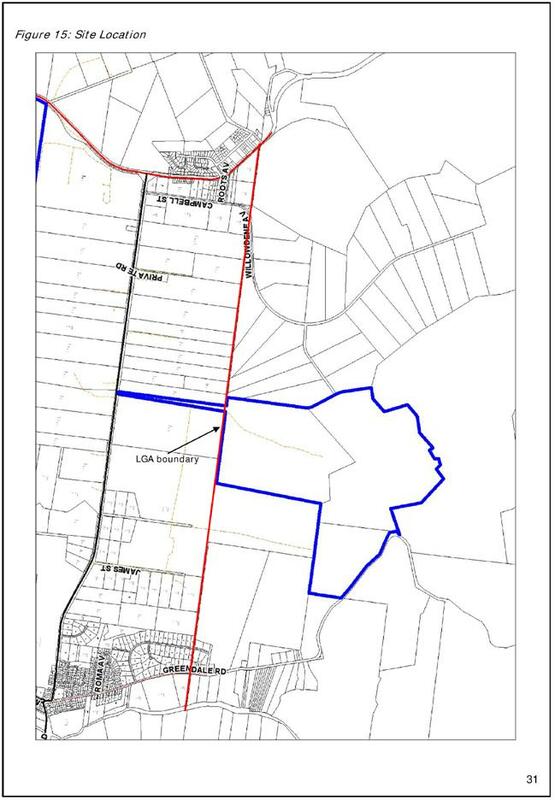 As a result the proposal does not comply in the main with the objectives of both zones. · To protect, manage and restore areas of high ecological, scientific, cultural or aesthetic values. · To prevent development that could destroy, damage or otherwise have an adverse effect on those values. · To protect, manage, restore and enhance the ecology, hydrology and scenic values of riparian corridors and waterways, wetlands, groundwater resources, biodiversity corridors, areas of remnant indigenous vegetation and dependent ecosystems. · To allow for low impact passive recreational and ancillary land uses that are consistent with the retention of the natural ecological significance. · To encourage sustainable primary industry production by maintaining and enhancing the natural resource base. · To maintain the rural landscape character of the land. · To provide for a range of compatible land uses, including extensive agriculture. 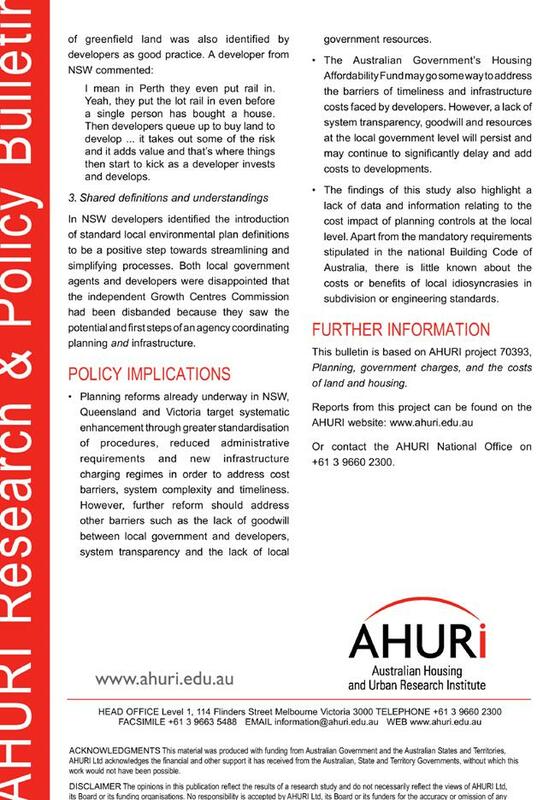 · To minimise conflict between land uses within the zone and land uses within adjoining zones. · To preserve and improve natural resources through appropriate land management practices. · To ensure development is compatible with the environmental capabilities of the land and does not unreasonably increase the demand for public services or public facilities. 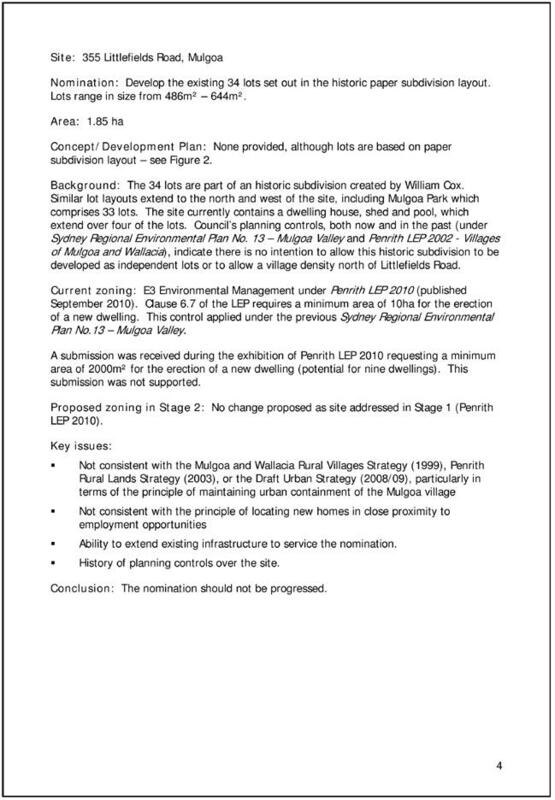 No draft LEPs apply to the site. No DCP provisions are relevant in the circumstance of this case. The extension to the hours of operation into the night time has the potential to result in an increase in noise and light spillage impacts associated with the development. The site has been approved for extractive industry and disposal of non-putrescible waste in 1990. Consequently it cannot be said that the site is unsuitable for the approved uses. However, the modification relates to increased hours of operation and it is contended that the extension of the hours of operation of the waste disposal component of the approved activity on the site into the night time is not compatible with other land uses in the locality. “Based on the information provided, Office of Environment & Heritage has no objection to the proposed modification. In forming this view, Office of Environment & Heritage considered that the predicted noise levels (presented in the Wilkinson Murray assessment) of the proposed modification do not exceed current noise limits on the Licence. The current noise limits will remain on the Licence and SITA is obligated to comply with the set limits for day, evening, night and morning shoulder periods. Council’s environmental health section have advised that they have concerns in regard to noise impact between 6.00pm and 10.00pm especially with respect to activities or works that are not expressly mentioned in the Section 96 application. However as the site is licenced by Office Of Environment & Heritage any noise related issues that may arise in the future are Office Of Environment & Heritage’s responsibility as they are the appropriate regulatory authority for these issues and not Council. The restrictions provided by the Office of Environment & Heritage in regard to hours of operation and number of vehicles operating in the hours need to be monitored and policed. It is unlikely given the resources of the Office of Environment & Heritage and the location of the site that these restrictions will be policed. It is clear from the above Office of Environment & Heritage comments that there is a potential for noise pollution if the proponent does not comply with restrictions on vehicle movements between 6.00pm and 10.00pm. It is acknowledged that there is potential for increased noise levels arising from the proposed modification. Council has no role with respect to noise compliance as the site is Licenced by Office Of Environment & Heritage. There is no evidence that the proposal will lead to an increase in odour levels. This issue has not been addressed as the hours of operation in the original approval for the SAWT facility were restricted to 5.00pm. No night time operation was permitted and therefore no lighting was required. Clearly night time activities will create additional impacts to adjoining residents. SITA are requesting to increase their hours by an extra 24 hours a week. This represents an increase in operational hours for a weekday from 11 hours, to 15 hours – an increase of 36.5%. This is a substantial increase and the proposed hours of operation. 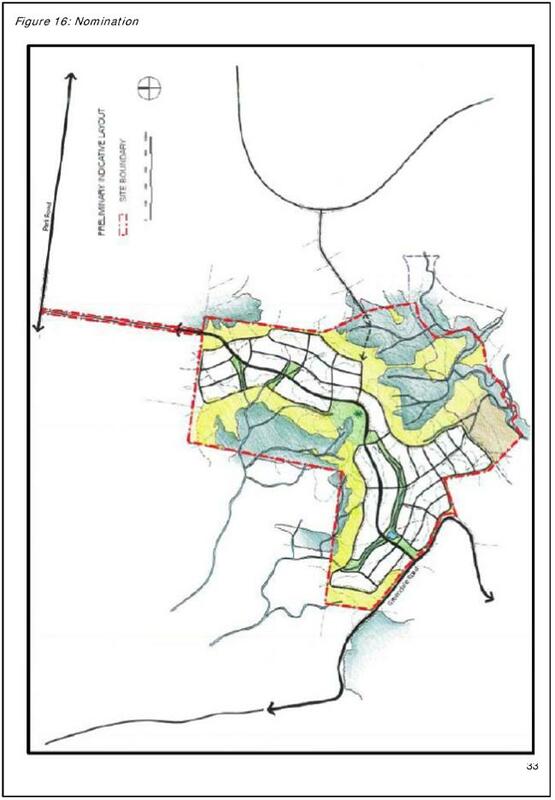 It is considered that the extended hours or intensification of the land use would result in a land use that is not in keeping with surrounding land uses as well as increasing land use conflict in the locality. This issue is not relevant to the determination of the modification request. 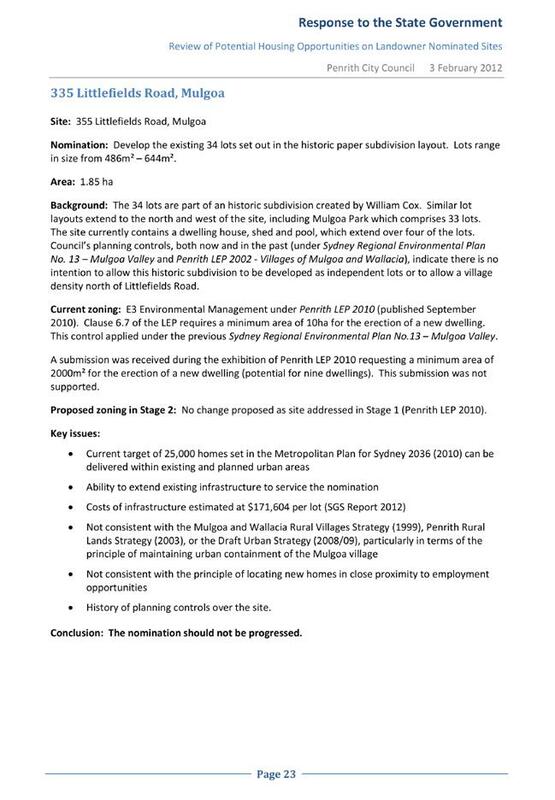 During the assessment of this application, Council Officers have raised concerns with the applicant (SITA) about the number of modifications made to the various operations at the site. 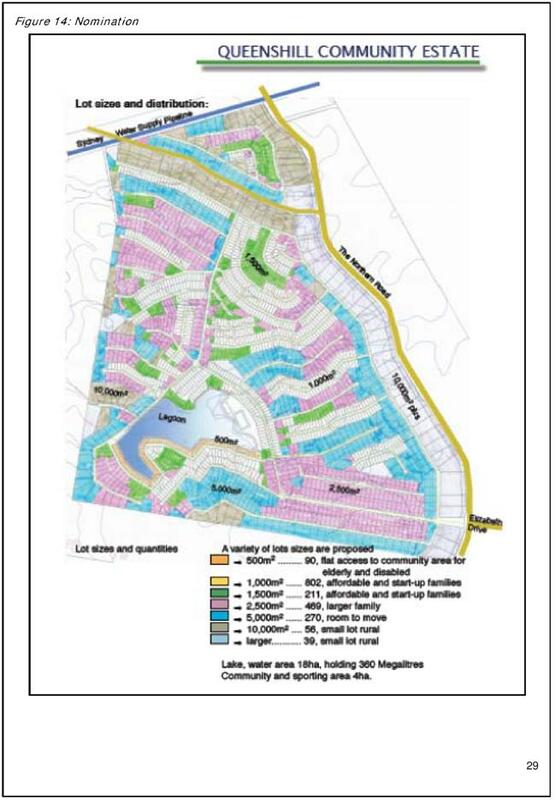 It was considered that the incremental changes to the existing development warranted further information in respect to community benefit to the region and discussion of the long term vision for the site. · “General efficiencies in the operation of the Advanced Waste Treatment Facility leading to increased processing of material and production of compost. · A reduction in the generation of litter and leachate resulting from appropriately timed storage of residual materials that contain high levels of plastic film, thereby providing an environmental benefit. · A reduction in fire risk associated with the overnight external storage of these materials. · Employment of an additional person to transport the residual materials to the landfill during the period”. Further, SITA state that the consistency of the approval hours granted by the Department of Planning and Infrastructure for the Advanced Waste Treatment Facility and those of the landfill site are justified as this would ensure operational efficiency of the Advanced Waste Treatment Facility. 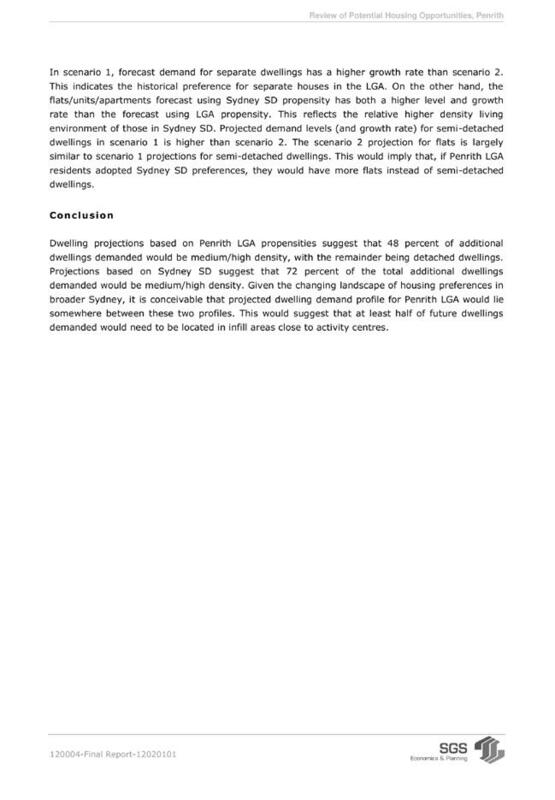 The above arguments provided by SITA’s planning consultant carry little determining weight. SITA have a large site at their disposal (86ha) and have not demonstrated to Council that there are opportunities available on site to change operational procedures so that night time waste disposal is not required. 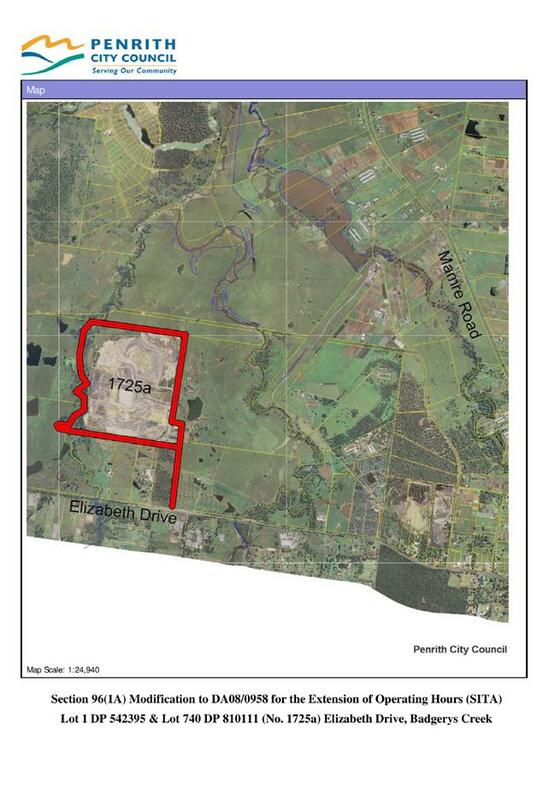 Approval of extended operational hours into the night for a waste disposal facility creates an undesirable precedent for other like activities located in the Penrith LGA. The proposal to extend operating hours into the night is not considered to be in the public interest as such a proposal is likely to result in land use conflicts and a decrease in the amenity of adjoining neighbours. 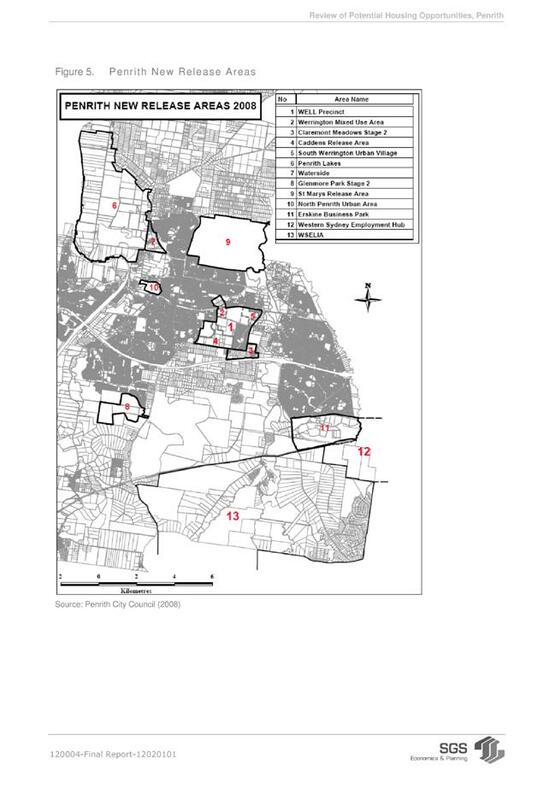 LEP 2010 sets the planning intent for the locality and the proposal does not meet the objectives of the abovementioned zones. The rural and residential amenity of residents in the locality will be disrupted by noise and light pollution arising from the proposal. The use is industrial in nature and adjoining residents should not be subject to such activities from 6.00pm to 10.00pm. There are no similar night time activities in the local area and traditionally the night time in this rural residential area has been free of land use conflicts. The proposal is in conflict with the objective of the zone that seeks to minimise conflict between land uses within the zone. The extension of the hours of operation of the waste disposal component of the approved activity on the site into the night time is not compatible to other land uses in the locality. 1. The information contained in the report on DA10/0793 Section 96(1A) Modification to DA08/0958 for the Extension of Operating Hours (SITA) Lot 1 DP 542395 and Lot 740 DP 810111 (No. 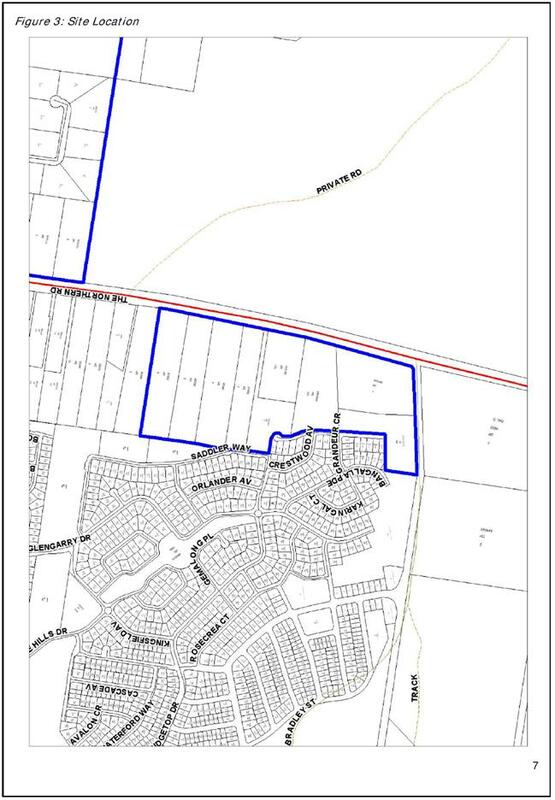 1725a) Elizabeth Drive, Badgerys Creek be received. 3. Those making submissions be notified of the determination. 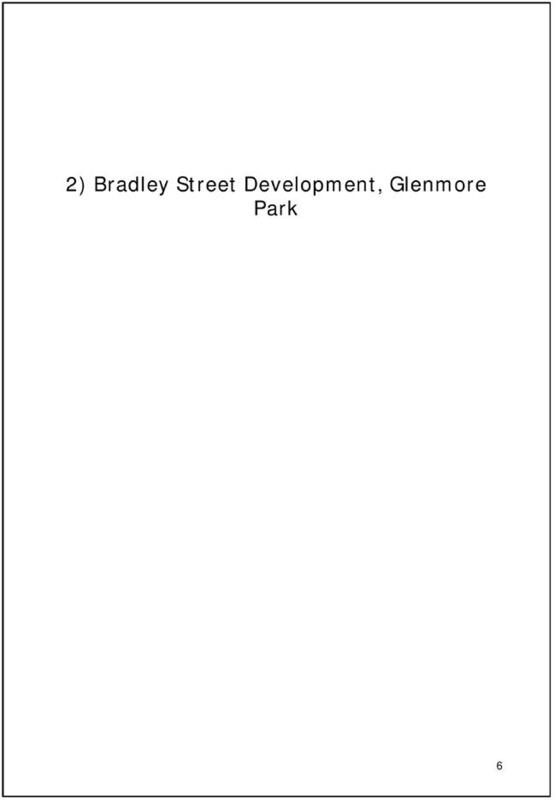 Council, at its Ordinary Meeting on 12 December 2011 requested that the results of negotiations regarding supply of granite and bluestone pavers be reported back to the first Ordinary Meeting of 2012. 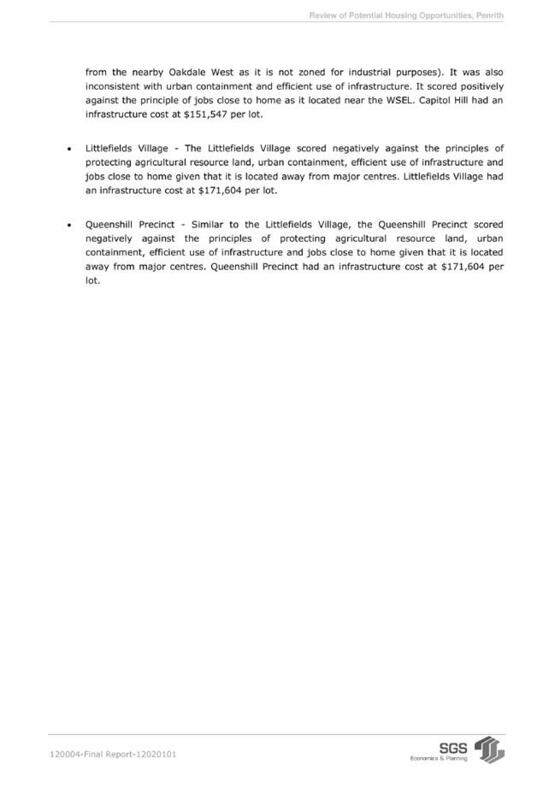 This report advises Council of the outcome of the negotiations with Melocco Pty Ltd and Sam the Paving Man. 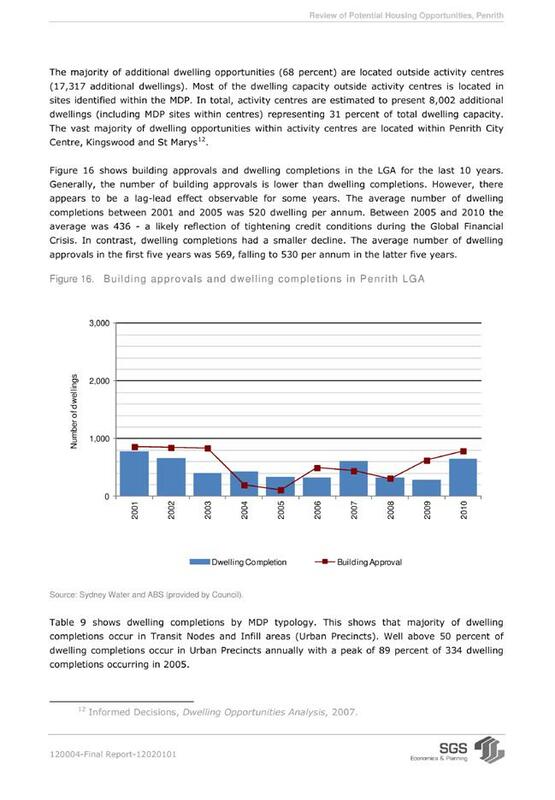 This report advises that a contract has been entered into with Melocco Pty Ltd on 24 January 2012 as the primary supplier for the combined supply of granite and bluestone as per the Schedule of Prices submitted on 21 December 2011. “1. The Council declines to accept any of the tenders referred to in the report on Tender Reference 11/12-09, Supply and delivery of Pavers and Bluestone Kerbs. 4. That the results of the negotiations be reported to the first Ordinary meeting of Council in February 2012. As per the resolution both companies were invited to provide revised schedules of Prices based on the original estimates of quantities and clarify the sourcing and processing of the granite and bluestone by 3pm on 21 December 2011. Both companies responded within this timeframe. Both Sam the Paving Man Pty Ltd and Melocco Pty Ltd clarified that the material would be sourced and processed in Australia. Sam the Paving Man advised that it would maintain the rates as supplied in the original Schedule of Prices and would be willing to split the supply of granite and bluestone. The combined Schedule of Prices was $2,406,402 – (granite $1,748,412 and bluestone $657,990, excluding GST). Melocco Pty Ltd provided revised Schedules of Prices for both the combined supply of granite and bluestone as well as Schedules of Prices if only bluestone or granite were to be sourced from them. The revised combined Schedule of Prices was $2,330,203 – (granite $1,677,458 and bluestone $654,745, excluding GST). It was determined therefore that there was no financial advantage to Council to split the supply of granite and bluestone between the two companies. 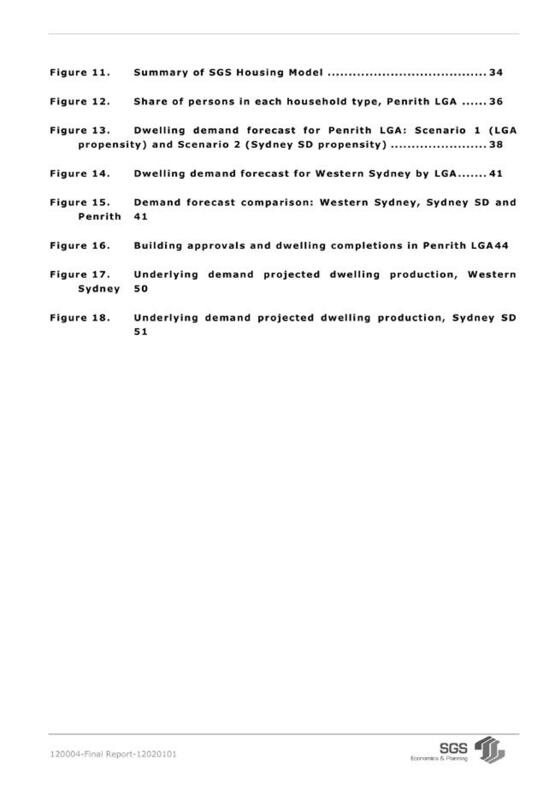 In accordance with the Council resolution of 12 December 2011, Council officers entered into negotiations with both Melocco Pty Ltd and Sam the Paving Man Pty Ltd for the most cost effective supply of the tender material up to the amounts set out by the tenderers in their respective tender submissions and on the basis that the material is sourced and processed in Australia. Council officers made identical requests to the relevant representatives of Melocco and Sam the Paving Man for the most cost effective supply of the tender. Both representatives were supplied with the same information. As a result of those negotiations a contract was entered into with Melocco on the basis that following negotiations, its proposal was the most advantageous to Council. The contract was entered in accordance with the resolution of the Council of 12 December 2011. That the information contained in the report on Tender Reference 11/12-09, Supply and Delivery of Pavers and Bluestone Kerbs be received. 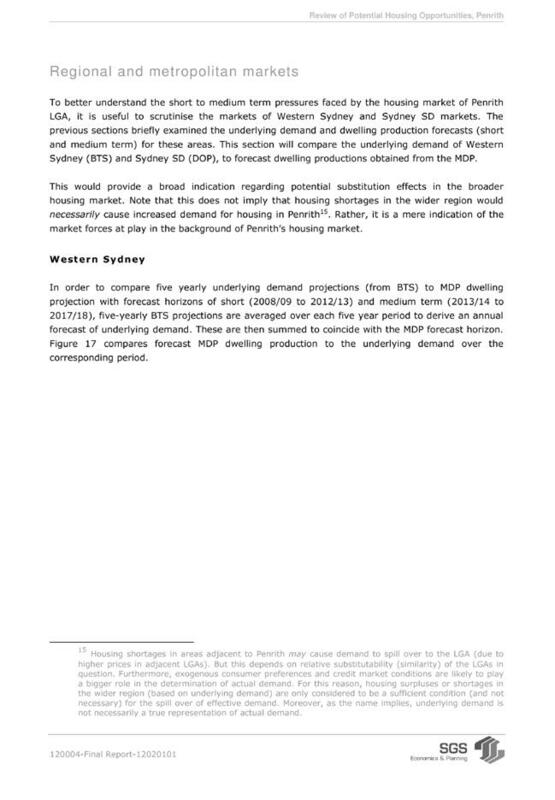 The purpose of this report is to seek endorsement to proceed with a new unit price Supply Agreement for the supply of general hardware products on an "as required" basis for a period of 3 years with an option to extend the arrangements for a further 2x1 year periods with provision for rise and fall. The report recommends that Council accept the tenders from J Blackwood & Son Ltd (also trading as A. E. Baker & Co Pty Ltd) for all General Hardware Products and Complete Office Supplies Pty Ltd for all Janitorial Paper Products. 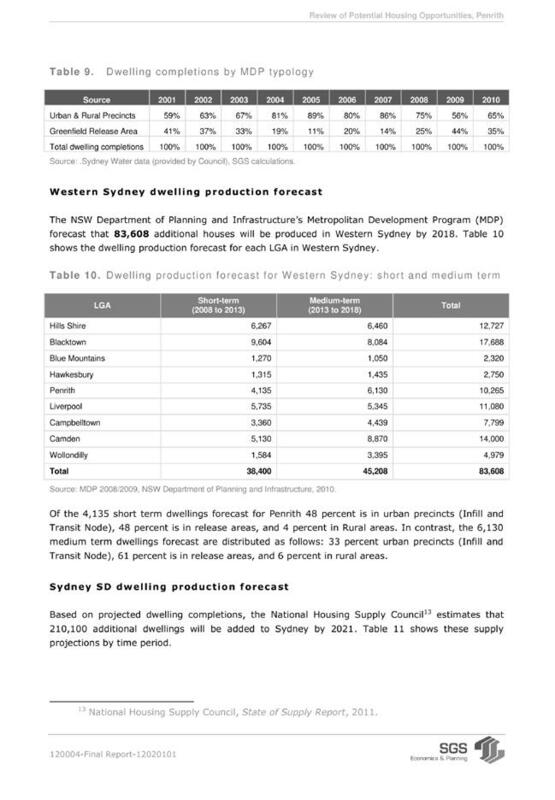 The Western Sydney Regional Organisation of Councils Supply Management Group (WSROC SMG) has been active over the past 8-10 years in establishing group contracts on behalf of the member councils for common use products and services to take advantage of greater buying power through increased volumes. 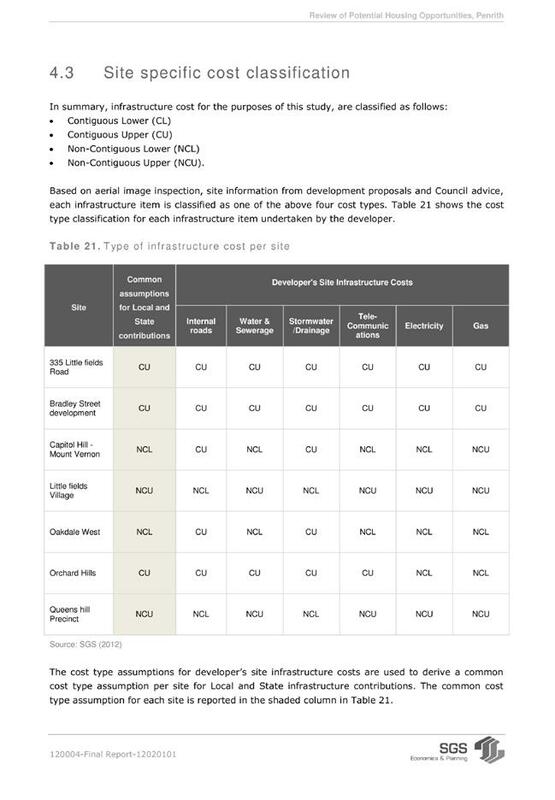 These group supply arrangements also assist councils by minimising tender administration costs. The existing contract held by J Blackwood & Son Ltd (also trading as A. E. Baker & Sons Pty Ltd) and previously established by WSROC SMG expired on 31 January 2012. WSROC publicly invited any interested parties (tenderers) to submit tenders for the supply of general hardware products, as set out in the Statement of Requirements in the request for tender document (RFT). Tenders were advertised in the Sydney Morning Herald and the Blacktown Sun on 29 September 2011 and closed on Tuesday 25 October 2011. 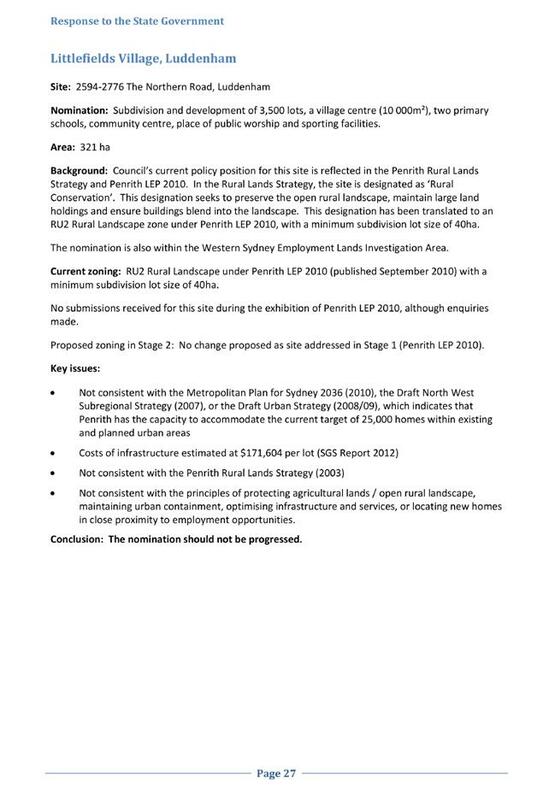 As part of this requirement Penrith City Council sought excellent service and a strong commitment to provide optimum results. The intention is to establish a standing offer arrangement for the periodic supply of general hardware products and miscellaneous sanitary products for a term of up to three years, with an option to extend the arrangements for a further 2 x 1 year periods with provision for rise and fall and subject to ongoing satisfactory performance. 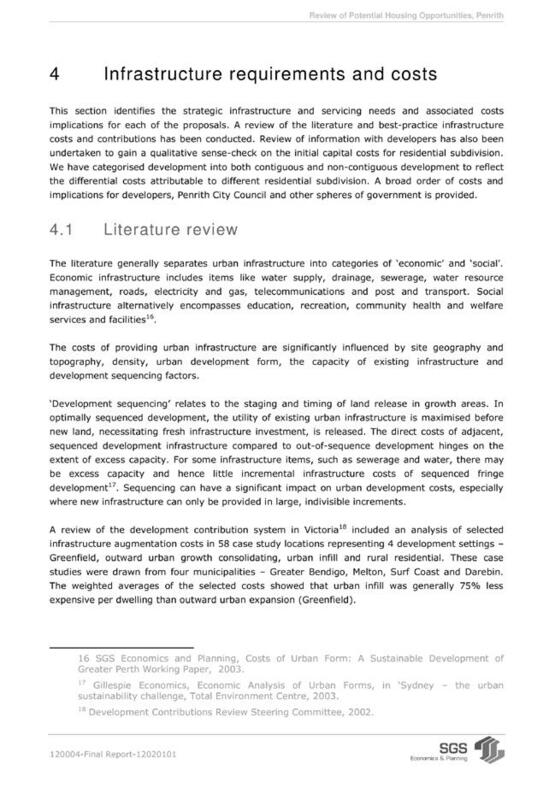 It was stated in the Tender documents (Addendum number 2) that WSROC SMG may recommend to individual councils one or more Suppliers for the provision of the complete range of products or a select range of products and these may be ranked in order of preference based on the evaluation criteria. The Tender Evaluation Panel convened on various dates in November and December 2011 to conduct the evaluation. An Evaluation Plan was developed and agreed to by the Panel. The Evaluation Plan detailed the evaluation process as well as matters relating to governance, probity and ethics. J Blackwood & Sons Pty Ltd (Also trading as A. E. Baker & Co Pty Ltd) ranked the highest overall based on their level of compliance and the fact that they were the only tenderer that submitted a price for all specified items. 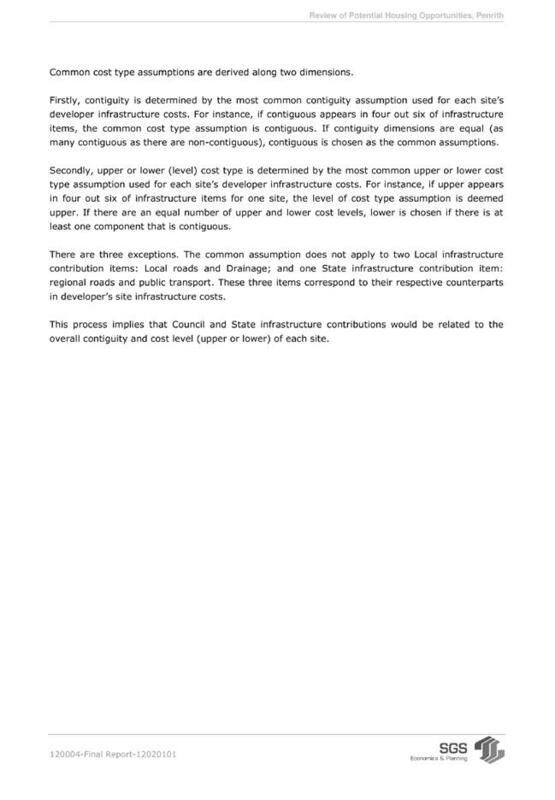 The following comments are made in respect of the non-price criteria for each of the tenderers. The Company offered the complete range of products and have a proven track record in the supply and delivery of a wide range of General Hardware Products. The Company demonstrated compliance and capability in meeting or exceeding all of the non-price evaluation criteria. The Company mainly specialise in stationery and office supplies with a range of janitorial products and therefore only submitted an offer for 18% of the specified items. The Company was able to be assessed for prices of paper janitorial products and for this category they were ranked first in price. In all other respects their tender satisfies all of the non-price evaluation criteria. Corporate Express Australia Ltd also specialise mainly in stationery, office supplies and janitorial products and a range of chemical products. Subsequently, they were only able to provide an offer for approximately 27% of the specified items. They were able to be assessed for prices of paper janitorial products and for this category they were ranked 3rd in price. In all other respects their tender satisfies all of the non-price evaluation criteria. Signet Pty Ltd operation is similar to Corporate Express Australia Pty Ltd and was only able to provide an offer for approximately 28% of the specified items. The Company was also assessed for prices of paper janitorial products and for this category they were ranked last in price. The Company did not fully demonstrate that it were capable of meeting the requirements in the areas of OH&S, Environmental and Industrial Relations. Bidvest Australia is similar in operation to both Signet Pty Ltd and Corporate Express Australia Pty Ltd and was only able to provide an offer for approximately 28% of the specified items. The Company was also assessed for prices of paper janitorial products and for this category they were ranked 5th in price. The Company did not demonstrate their capacity to meet delivery requirements for non-standard items and Industrial Relations requirements. This Company mainly specialises in Janitorial Products and was only able to provide an offer for approximately 18% of the specified items. The Company was also assessed for prices of paper janitorial products and for this category they were ranked in 4th place. The Company did not demonstrate their capability in meeting the delivery requirements along with Industrial Relations and their minimum order values were considered excessive and are therefore not recommended. As previously stated the only tenderer that submitted a price for all specified items was J Blackwood & Sons Pty Ltd (Also trading as A. E. Baker & Co Pty Ltd). The following table shows the annualised cost based on the unit prices submitted and the estimated combined WSROC annual usage. 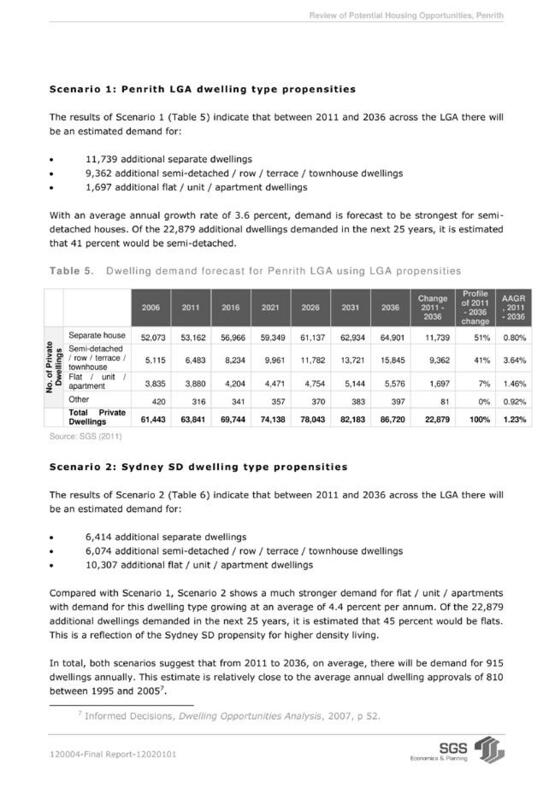 As there was no other tenderer to compare the full range of items, table 1 shows a comparison between the current prices under the existing agreement along with the annualised cost if councils were to purchase from the existing NSW State Government Contract. As can be seen from the above table, the pricing offered in this tender is approximately 3% lower than our current pricing arrangements and significantly cheaper than what is available under the NSW State Government Contract. 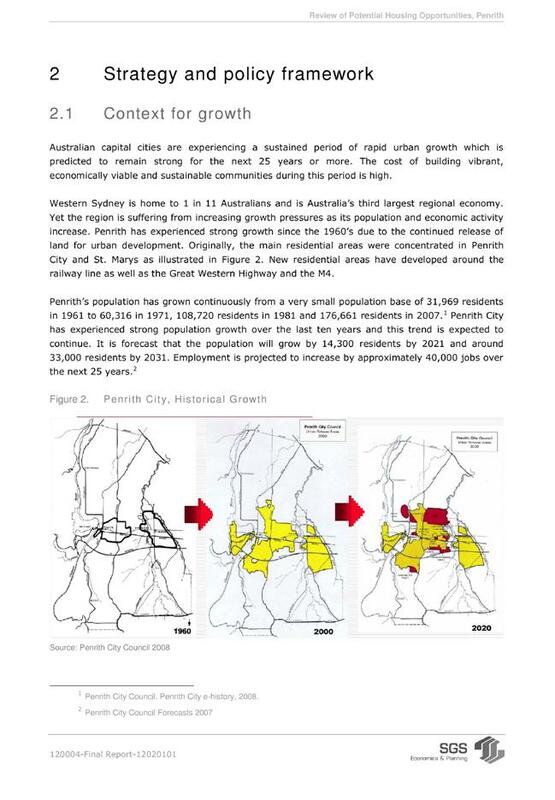 Penrith City Council represents approximately 15% of the total WSROC basket. In addition, annual volume rebates of between 1.5% and 2.5% will be applied based on WSROC group achieving annual volume purchases in excess of $1.5m. The above price table excludes any applicable rebates. For other Non-Basket items J Blackwood & Sons Pty Ltd (Also trading as A. E. Baker & Co Pty Ltd) offered a discount of 22% off all list prices. A separate comparison was conducted where it could be determined that all tenderers had tendered for a whole category. The outcome is shown in table 2 and the annualised cost is based on the inclusion of all Janitorial Paper products ( including Toilet rolls, hand towels etc.). Whilst the number of items is not great (20 items) the annualised cost represents approximately 19% of the combined annual expenditure. 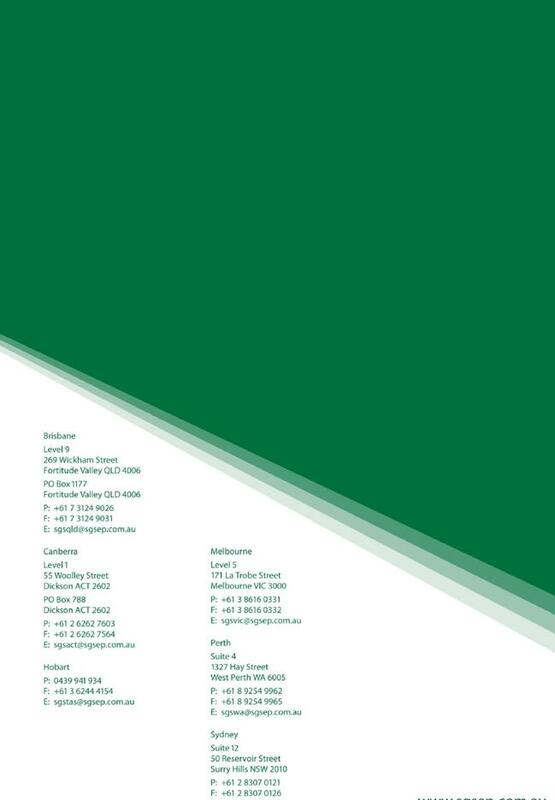 Based on the cost and overall rankings, the tender from Complete Office Supplies Pty Ltd is considered by the Evaluation Panel to be the best overall for Janitorial Paper Products, providing a cost benefit when compared to the tender of J Blackwood & Sons Pty Ltd (Also trading as A. E Baker & Co Pty Ltd) of over $10,000. On this basis they are the preferred supplier for this category of products. Given the absence of effective competition in this particular marketplace, true value for money is not easily demonstrated. 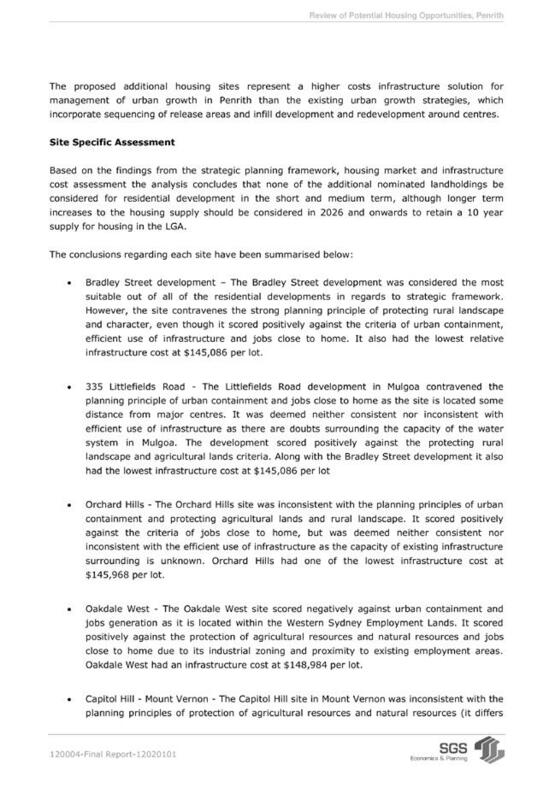 However, based on an evaluation of the tenders received, the Evaluation Panel were of the opinion that the tender from J Blackwood & Sons Pty Ltd (Also trading as A. E. Baker & Co Pty Ltd) represented good value for money for the Council, as it resulted in an overall price reduction of 3% when compared to the current contracted prices. This Company is recommended by the Evaluation Panel as the preferred Supplier of all General Hardware products. The tender received from Complete Office Supplies Pty Ltd for the Janitorial Paper products is the most cost effective tender and is also recommended by the Evaluation Panel to be included as the preferred supplier for this category of items. It is considered that Councils should be given the option to use both Suppliers where considered appropriate. In addition, both J Blackwood & Sons Pty Ltd (Also trading as A. E. Baker & Co Pty Ltd) and Complete Office Supplies Pty Ltd have previously held long term Contracts with each of the WSROC Councils and have a proven track record in the supply and delivery of similar high volume products. 1. The information contained in the report on Tender Reference Number WSR11/12-01, General Hardware be received. 2. The tender from J Blackwood & Son Ltd (also trading as A. E. Baker & Co Pty Ltd) be accepted for all General Hardware products on the basis of a unit price standing offer agreement for a period of 3 years with an option to extend the arrangements for a further 2x1 year periods subject to satisfactory performance and with provision for rise & fall. 3. The tender from Complete Office Supplies Pty Ltd for the provision of Paper Janitorial Products (20 items) be accepted on the basis of a unit price standing offer agreement for a period of 3 years with an option to extend the arrangements for a further 2x1 year periods subject to satisfactory performance and with provision for rise & fall. 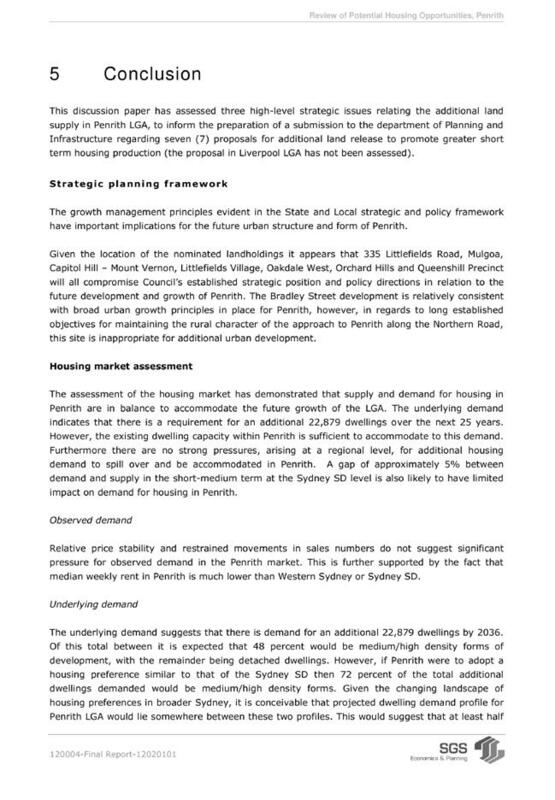 The Department of Planning and Infrastructure (the Department) has invited landowners to “identify sites in appropriate locations that will increase dwelling production in the short term at no additional cost to Government.” The Department invited Council’s comments to the ‘new housing opportunities review’ and the landowners’ proposals by 3 February 2012. 4. 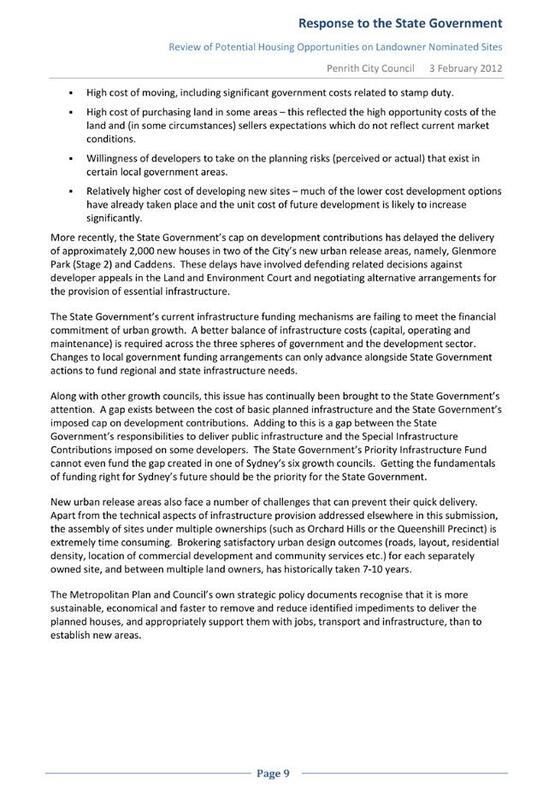 Council's Response to the State Government. 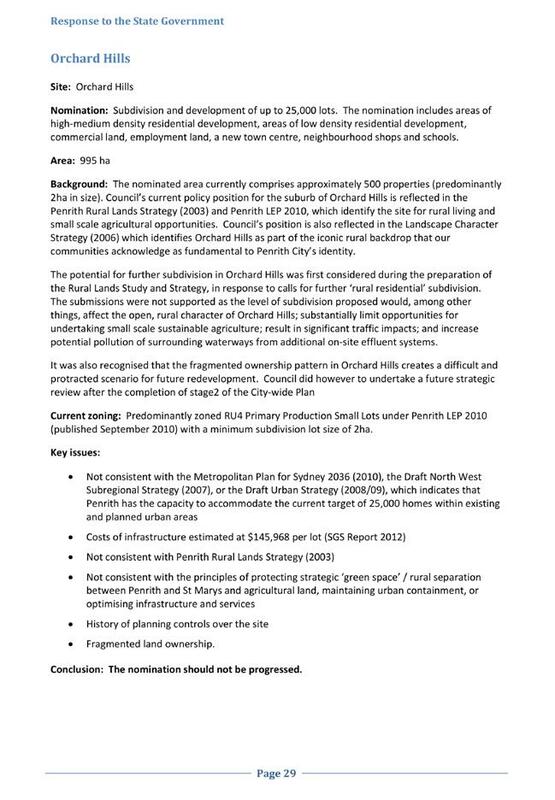 · Penrith’s rural lands need to be protected for the role they play in Sydney’s food supply and in providing the unique rural character and ‘green space’ that is highly valued by Penrith’s communities. 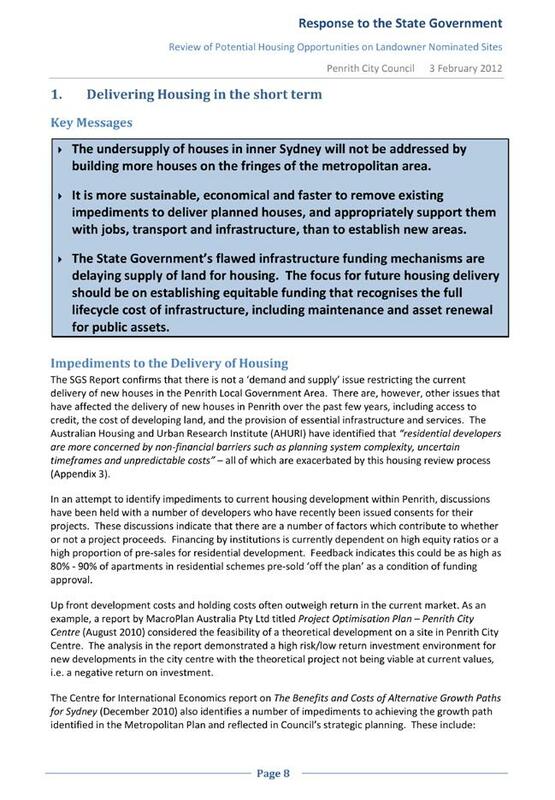 The Department’s review process is considered inconsistent with the strategic approach to identifying, planning and delivering dwellings across Sydney. 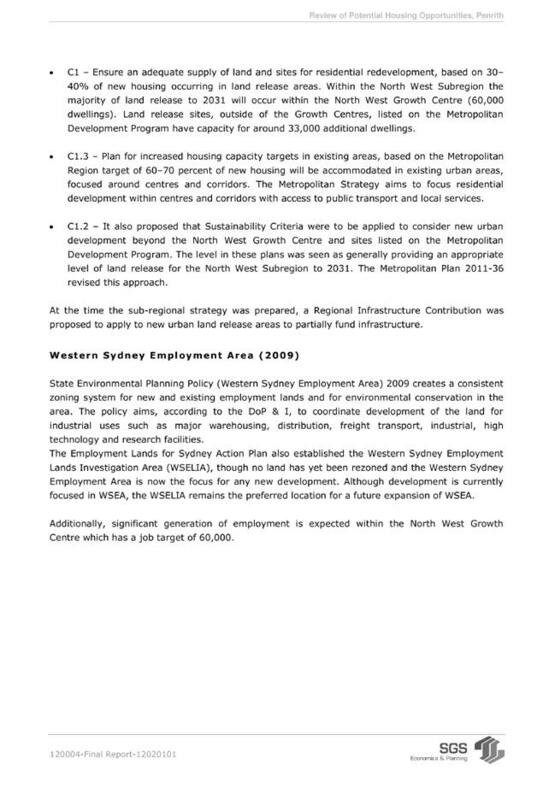 The Department’s process is also inconsistent with the Government’s Metropolitan Plan for Sydney 2036 (December 2010). 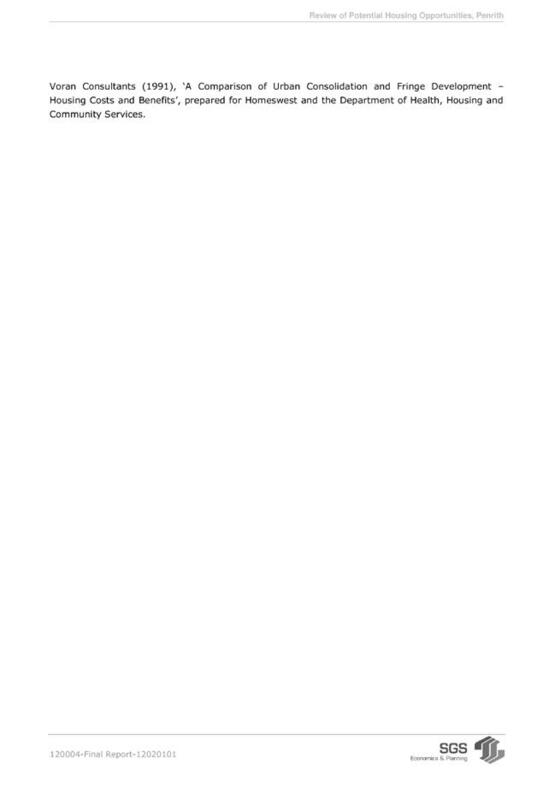 It is recommended that the information contained in this report be received. 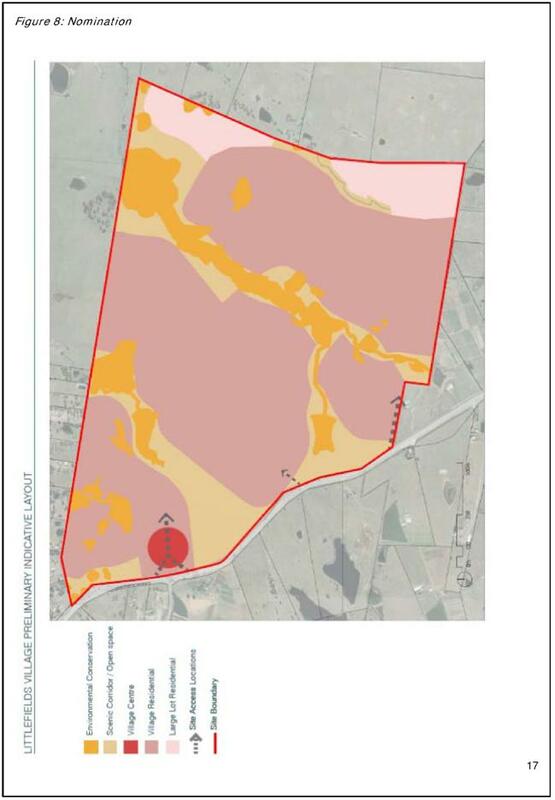 The review follows a general invitation by the Minister for Planning and Infrastructure, the Hon Brad Hazzard MP, to owners of large landholdings to have their land considered by the State Government for housing development. 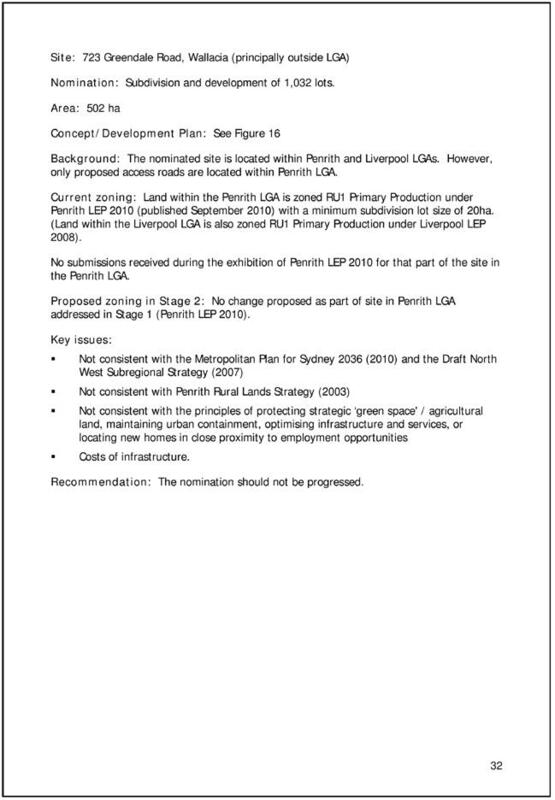 On 15 December 2011, the Department advised of eight nominations (proposals) it had received for the Penrith Local Government Area. 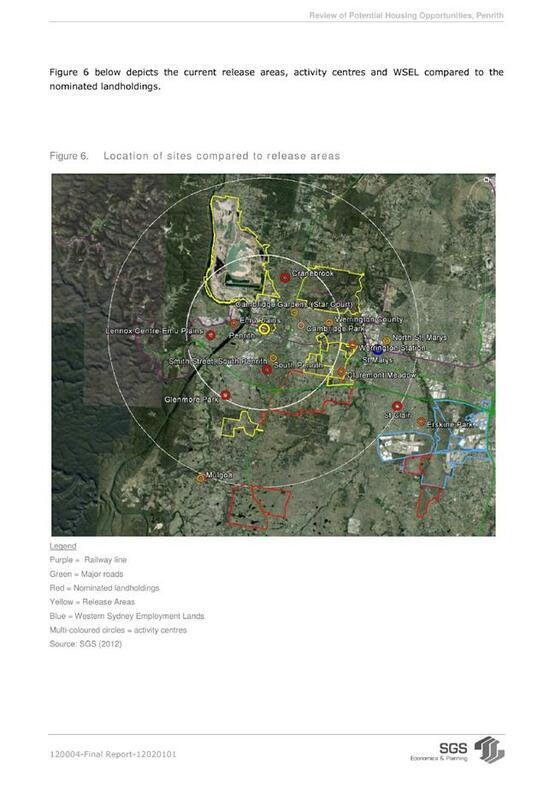 Seven of the proposals are located in the City’s southern rural lands, and outside of Penrith’s planned release areas. 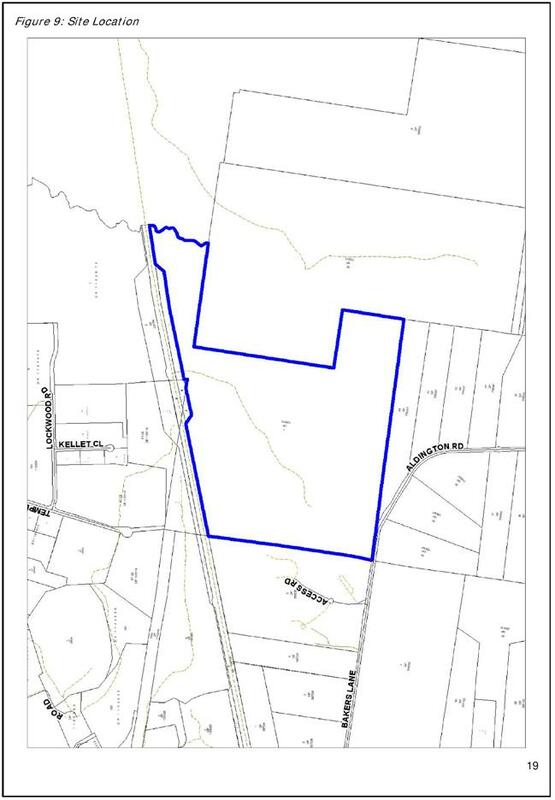 The eighth proposal (723 Greendale Road, Wallacia) is primarily located in Liverpool Local Government Area, with a proposed access road located within the Penrith Local Government Area. 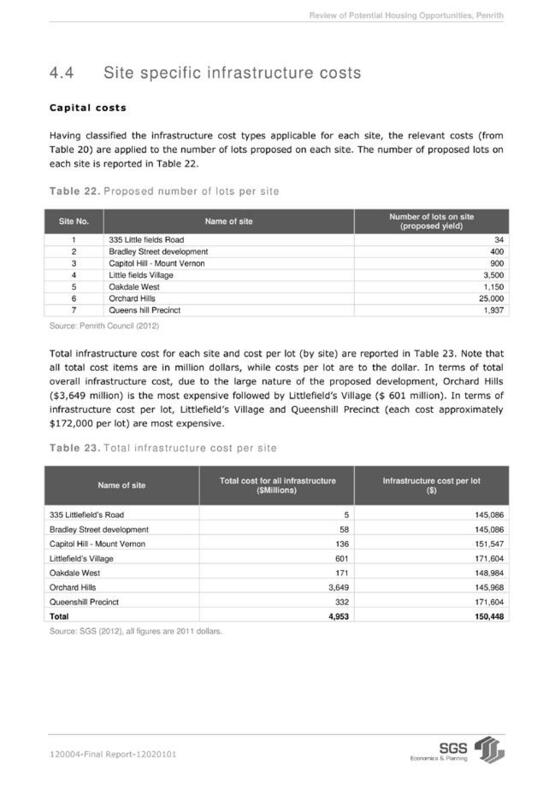 Table 1 provides a summary of the proposals, and Attachment 1 provides details of each proposal. 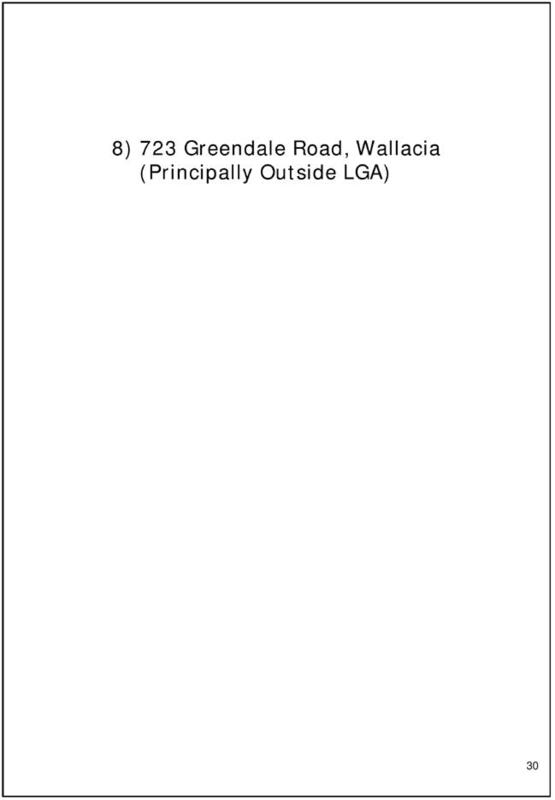 * 723 Greendale Road, Wallacia is located primarily in Liverpool Local Government Area. 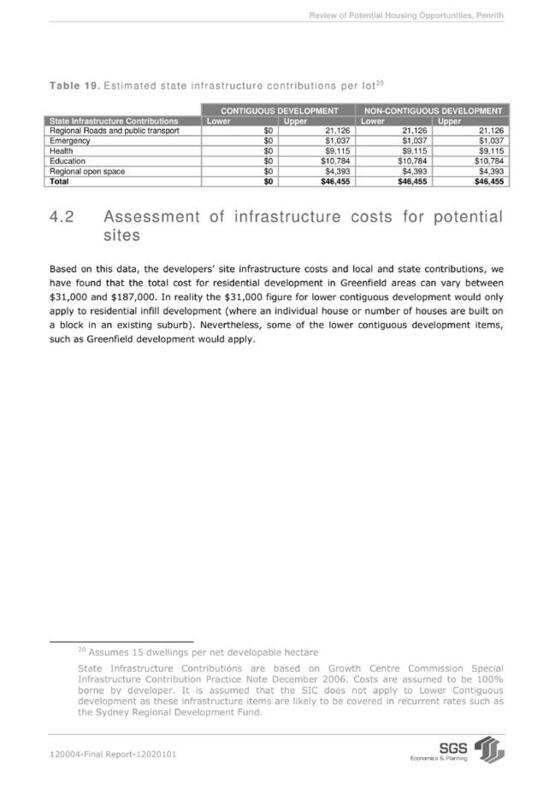 The total number of dwellings including the Greendale Road proposal is 33,983. A Chief Executive Officer Review Committee, chaired by the Director-General of Premier and Cabinet, will oversee the review and make recommendations to the State Government. The State Government expects the review will be completed in the first quarter of 2012. Stage One: A ‘review of adequacy’ which will determine those nominations that are relevant to the terms of the review and provide sufficient information to enable a subsequent evaluation. The ‘review of adequacy’ was scheduled for completion by 30 January 2012. To date Council officers have not been notified of the results. Stage Two: The ‘subsequent evaluation’ will be applied to the nominations that pass the first stage. This evaluation will be based on three objectives, each with an associated list of matters for consideration. Attachment 2 provides the Department’s objectives and matters for consideration. This stage of the review will also consider comments from councils and State Government agencies. 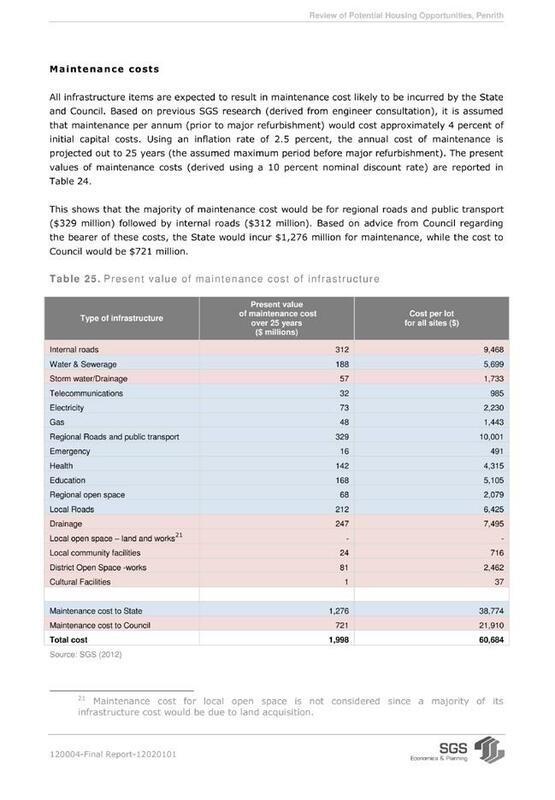 · the cost of infrastructure required, at State and Council level, to service the proposals. A detailed assessment of each individual proposal has not been undertaken as it was not achievable in the timeframes established by the Department. In some cases, also, the extent of information submitted with the proposals was limited. This may lead to one or more of the proposals not meeting the ‘review of adequacy’, as determined by the Department. 5. 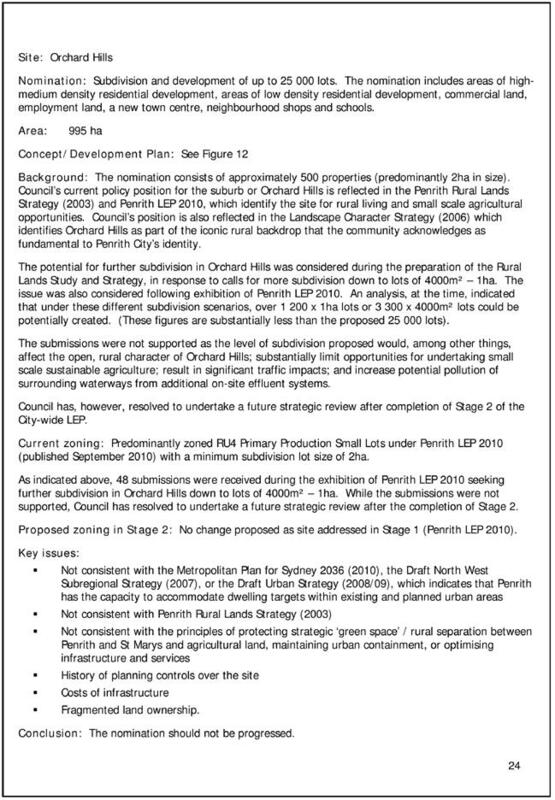 Protecting Penrith’s strategic green space, agricultural and rural lands. 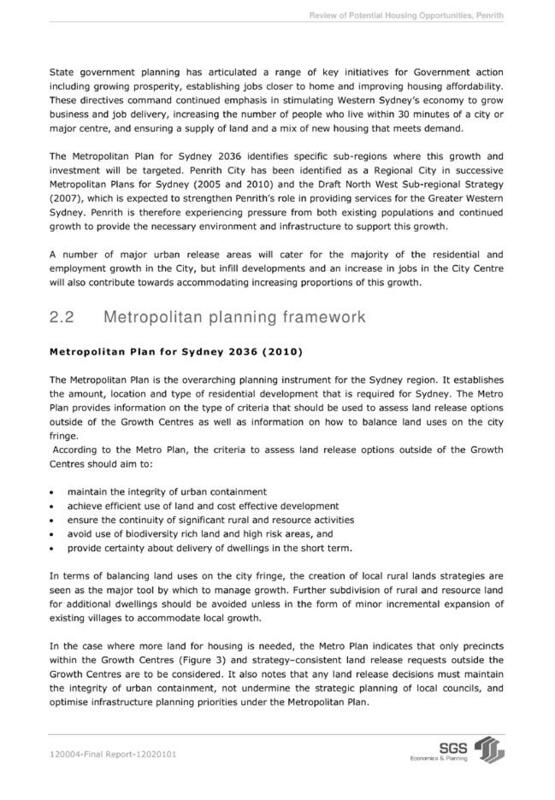 The Metropolitan Plan for Sydney 2036 (the Metropolitan Plan) is the State Government’s primary planning document, setting out its strategic directions and key policies. 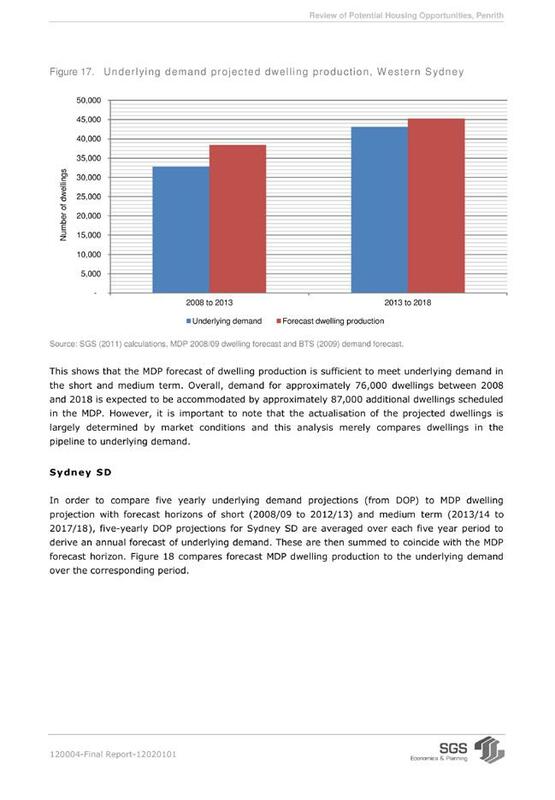 It outlines how the State Government intends to deliver an additional 77,000 homes in the Sydney Metropolitan Area by 2036. 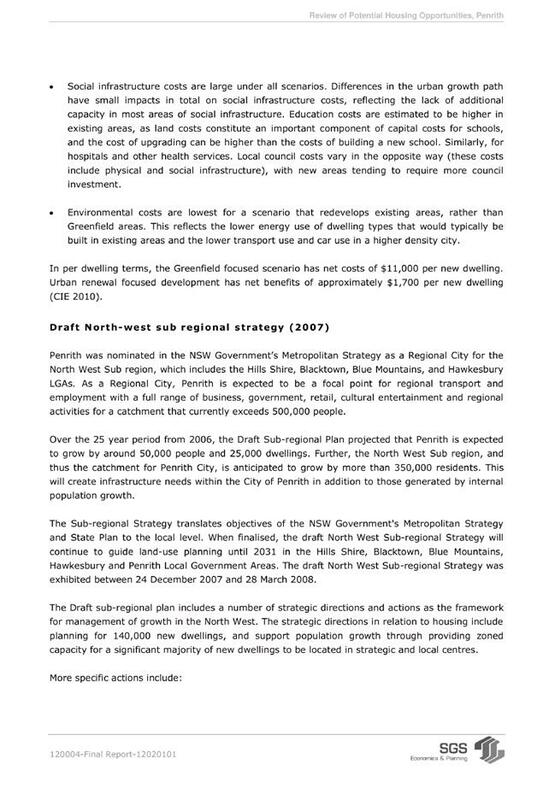 The Metropolitan Plan is supported by the draft North West Subregional Strategy (December 2007), which outlines in greater detail where the required homes will be accommodated in the region. 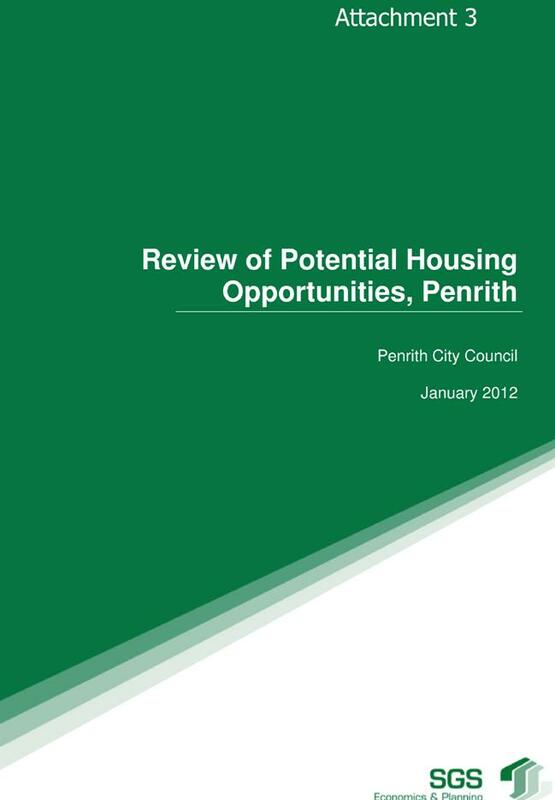 It establishes a target of 25,000 homes by 2036 for Penrith. 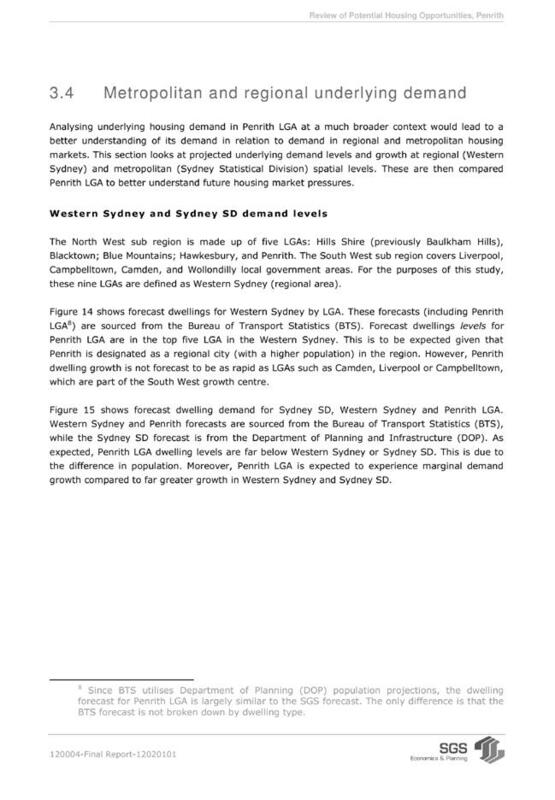 The Metropolitan Plan makes provision for an annual land supply assessment, and indicates that if more housing is needed, it should be delivered within the identified North West and South West Growth Centres, and through additional requests for land release that are consistent with its strategic directions. 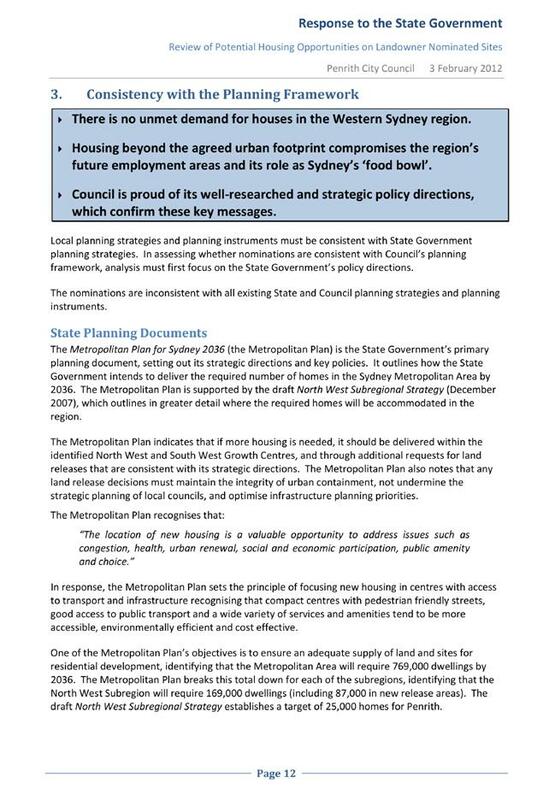 The Metropolitan Plan also notes that any land release decisions must maintain the integrity of urban containment, not undermine the strategic planning of local councils, and optimise infrastructure planning priorities. 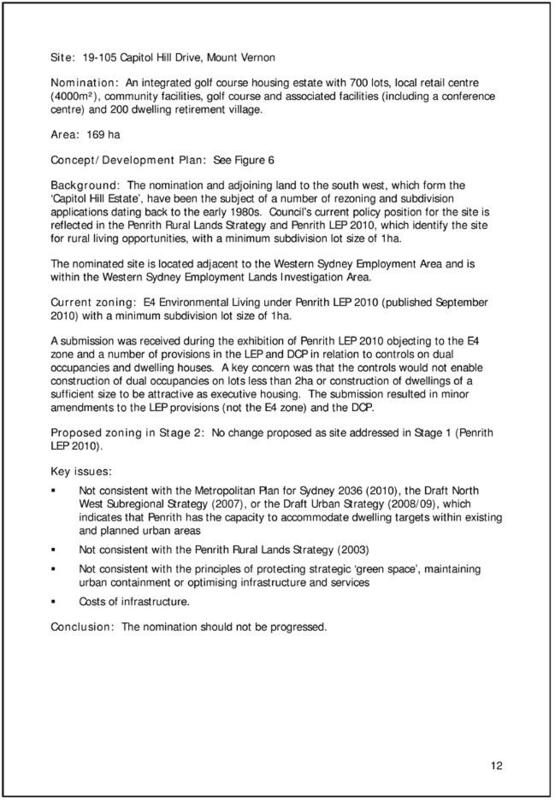 Council’s submission demonstrates that none of the nominations are consistent with current land release strategies, that they will damage the integrity of urban containment and disperse infrastructure planning and funding. Over many years, Council has responsibly planned for its growing communities, and ensured consistency between its goals and those of the State Government. This approach has enabled Council to negotiate best outcomes for the City. Council’s current and draft strategic planning documents identify how the 25,000 homes can be delivered within existing centres and suburbs, including several new urban areas. This approach responds to the challenge of providing sustainable and affordable housing options in appropriate locations that use existing or planned infrastructure and services. 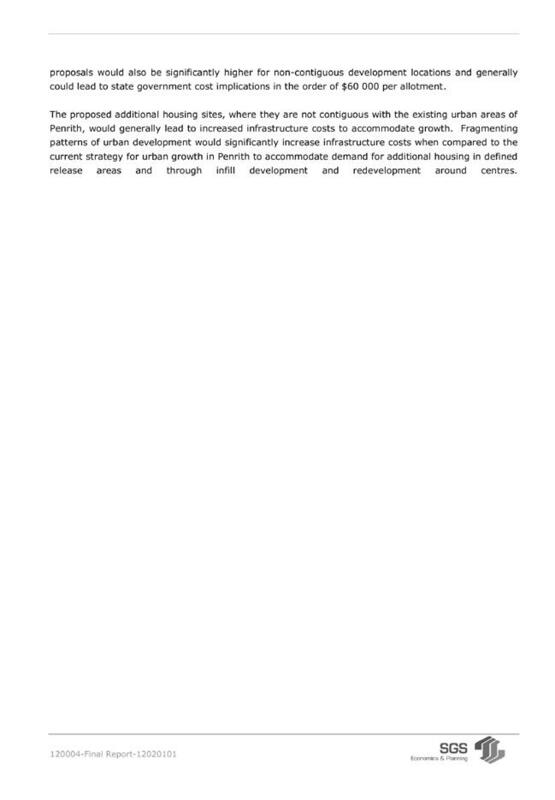 · management of future urban growth will therefore rely heavily on infill development in established areas. 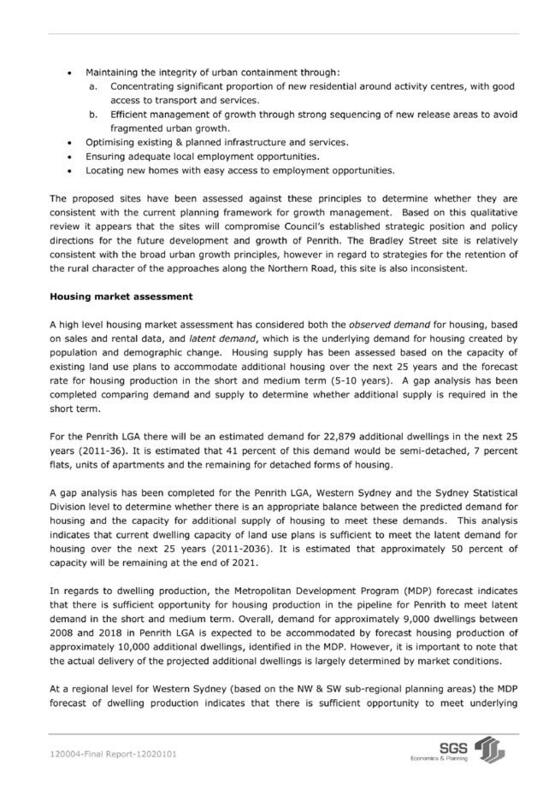 The Discussion Paper prepared by SGS corroborates a significant volume of earlier research work on Penrith’s housing market, including that prepared by the City Centres Research Centre (based at the University of New South Wales) (2003 & 2005) and Informed Decisions (2007 & 2008). 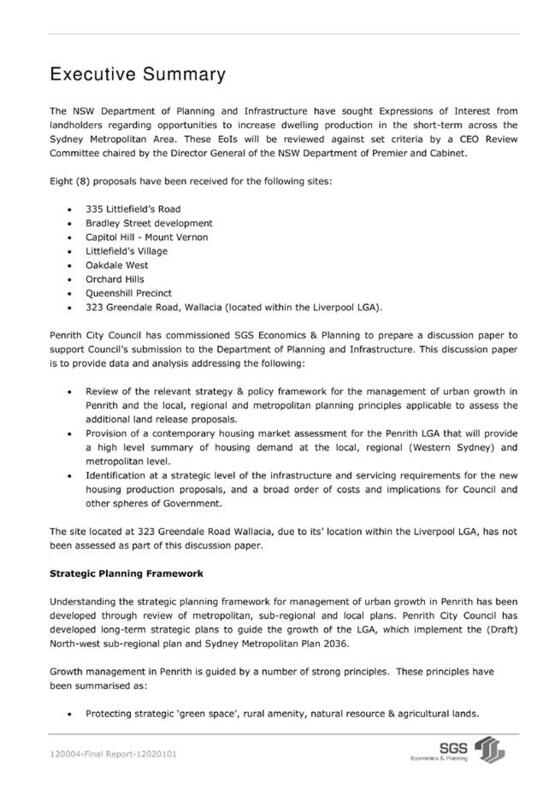 This also reinforces the policy directions in Council’s draft Urban Study and Strategy, and confirms that Council’s planning will enable the required 25,000 homes to be delivered where and as they are needed. 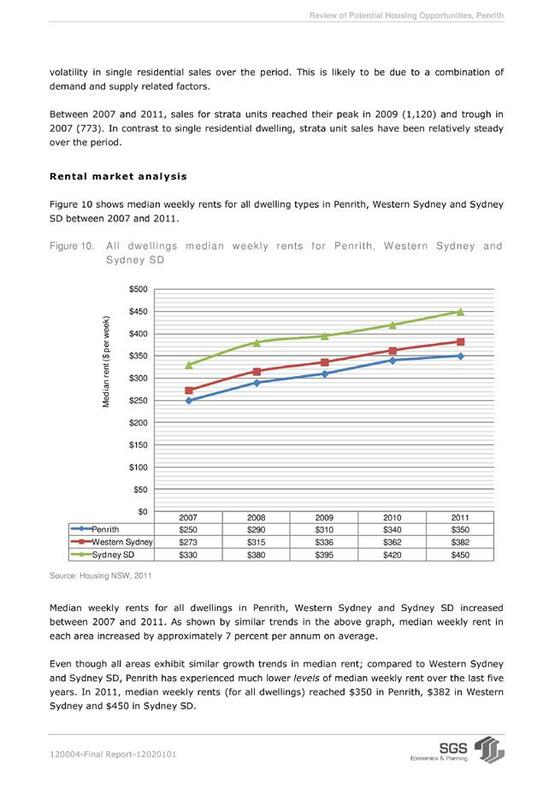 Given that the City’s future housing needs will be appropriately met over time, it is likely that proceeding with any of the nominations will impact on the existing ‘release areas’ market which is based on that planned growth, by fragmenting supply. 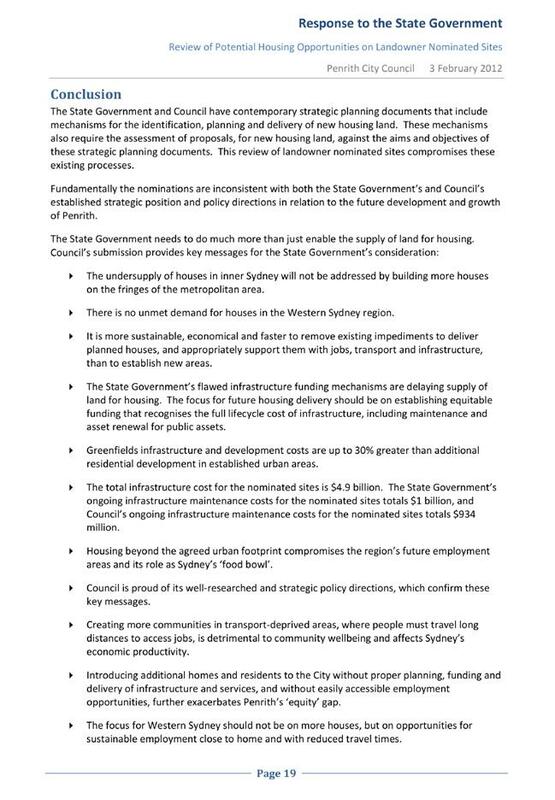 Committing to strategic plans that identify the location and timing for new homes enables the State Government, its agencies, councils and business to make informed decisions on infrastructure provision, job creation and other investment priorities. 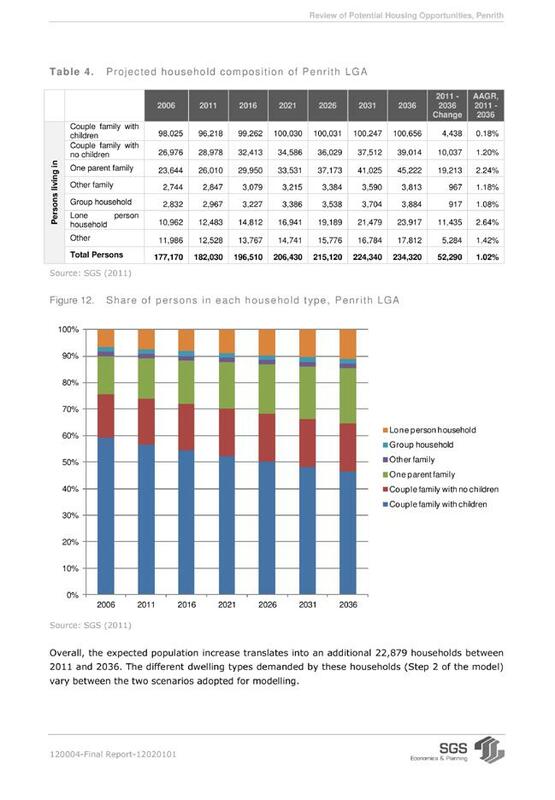 The introduction of additional homes and residents to the City without the proper planning, funding and delivery of infrastructure and services, or without easily accessible employment opportunities, further exacerbates our ‘equity’ gap. 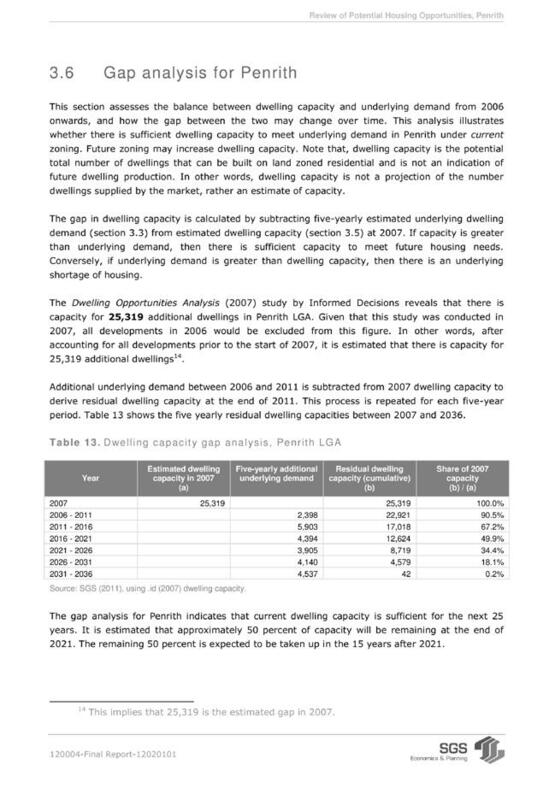 The SGS analysis confirms that there is not a ‘demand/supply’ issue restricting the current delivery of new houses. There are, however, other issues that have affected the delivery of new houses over the past few years, including access to credit, the cost of developing land, and the provision of essential infrastructure and services. 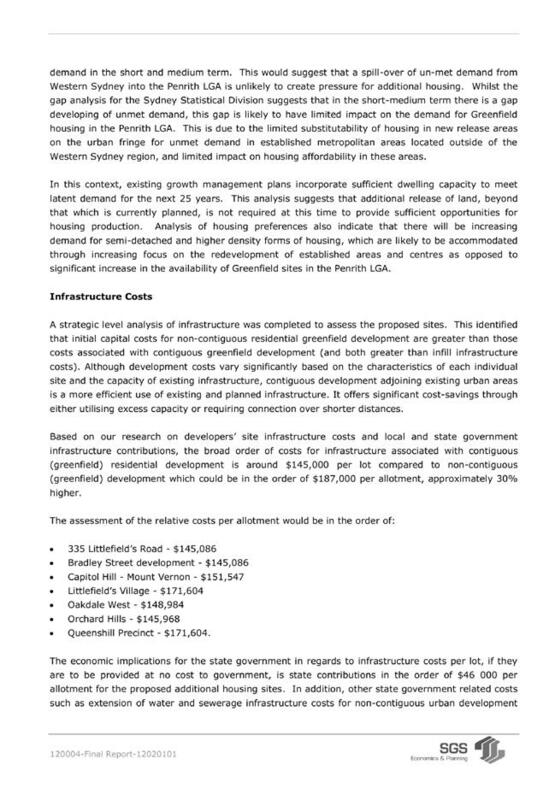 More recently, the State Government’s cap on development contributions has delayed at least two of the City’s new areas (Glenmore Park Stage 2 and Caddens) while alternative arrangements for the provision of essential infrastructure has been negotiated. It is more sustainable, economical and faster to remove and reduce identified impediments to deliver the planned houses, and appropriately support them with jobs, transport and infrastructure, than to establish new areas. The concept of ‘urban containment’ is based on optimising existing infrastructure, including utility services, public transport, hospitals and schools. Existing suburbs already have this infrastructure in place, and the future capacity of utility services has been considered and designed in the planned new urban areas. There are also significant social and economic benefits in cohesive and compact neighbourhoods. 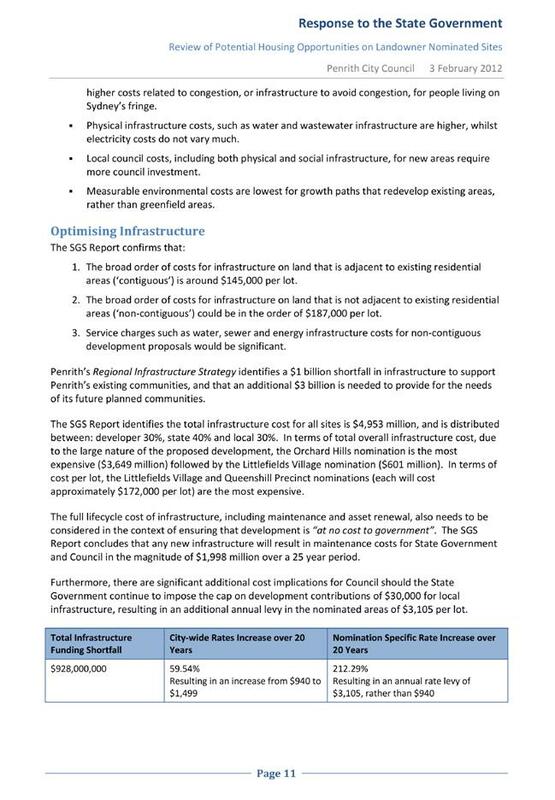 Penrith’s Regional Infrastructure Strategy identifies a $1 billion shortfall in infrastructure to support our existing communities, and an additional $3 billion needed to provide for the needs of our future communities. 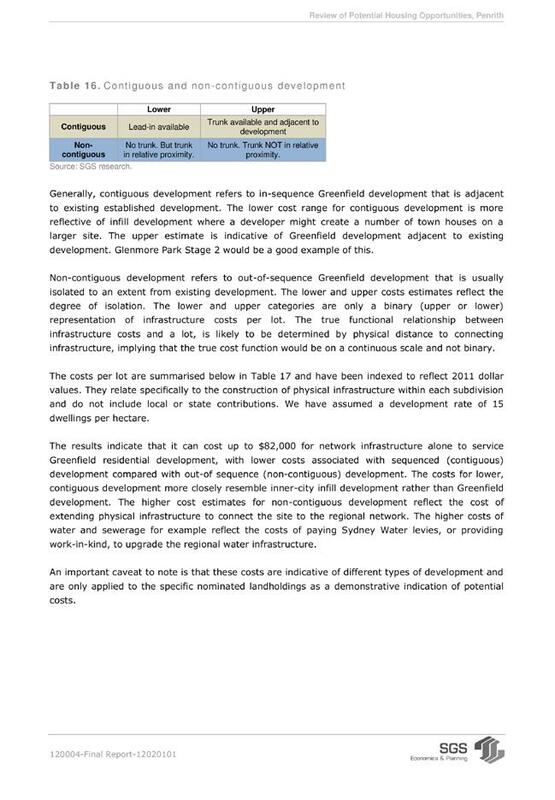 · consolidation of existing urban area around centres and sequencing of new ‘greenfield’ sites is important for infrastructure efficiency and retention of non-urban lands. 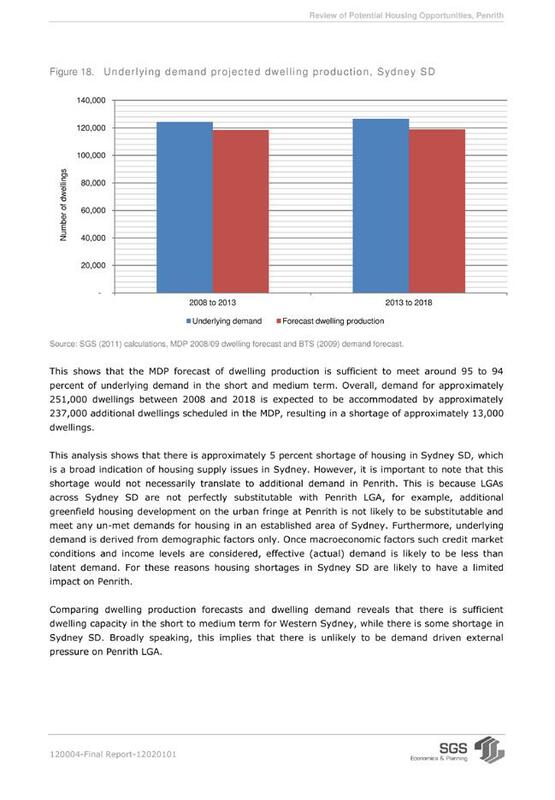 The Discussion Paper prepared by SGS Planning and Economics corroborates that, consistent with the future policy directions of the draft Urban Strategy, there is a growing demand for semi-detached and apartment housing, particularly around existing activity centres. This trend supports a focus on enhancing existing infrastructure. The value of investing in infrastructure in our existing and planned urban areas is also reinforced by the National Growth Areas Alliance (NGAA) study, which demonstrates that there is a positive return on investment in infrastructure for growth council areas. 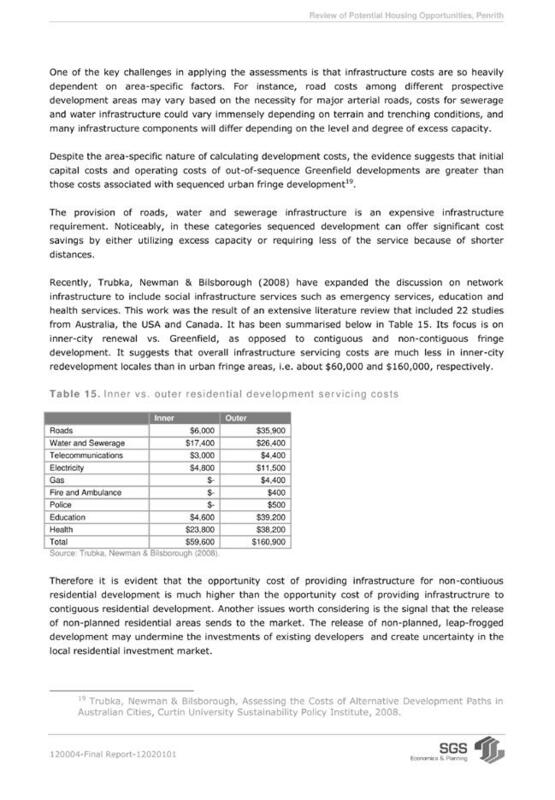 Disregarding the infrastructure gaps in growth council areas leads to unsustainable places and less healthy communities, which ultimately creates economic impacts in the region. 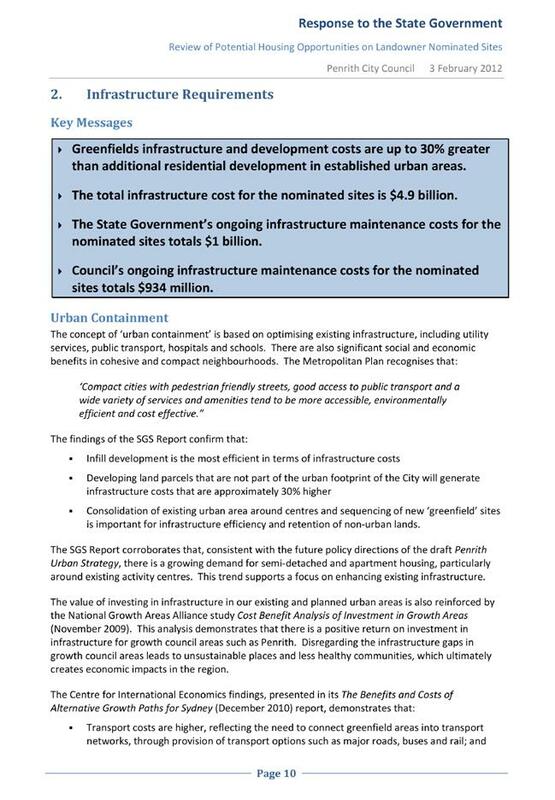 Available funding should be identified in Infrastructure Plans that are consistent with adopted growth strategies, and directed to the gaps experienced by our existing communities or to augment services for planned infill and new urban areas. 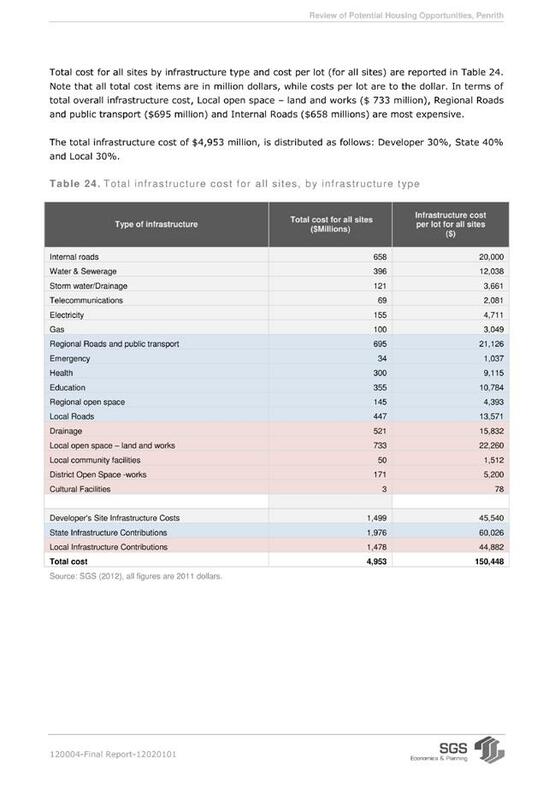 The full lifecycle cost of infrastructure, including maintenance and asset renewal, also needs to be considered in the context of ensuring that development is “at no cost to government”. 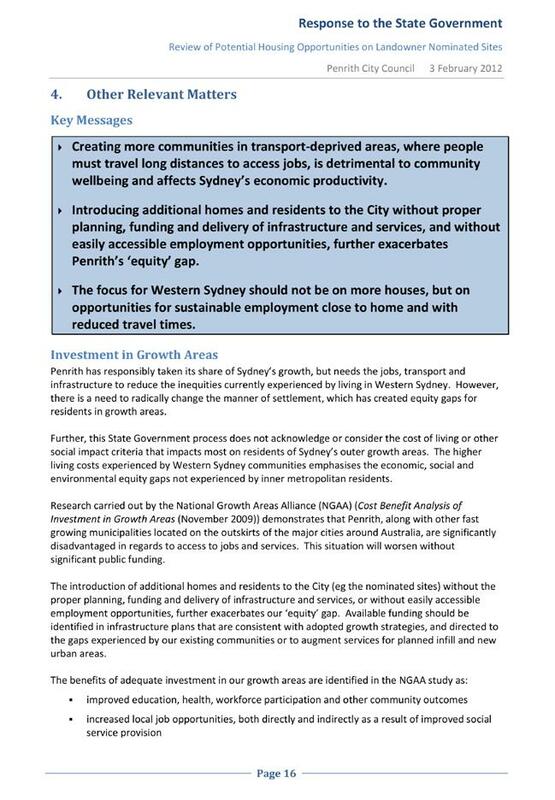 Penrith has responsibly taken its share of Sydney’s growth, but needs the jobs, transport and infrastructure to reduce the inequities currently experienced by living in Western Sydney. 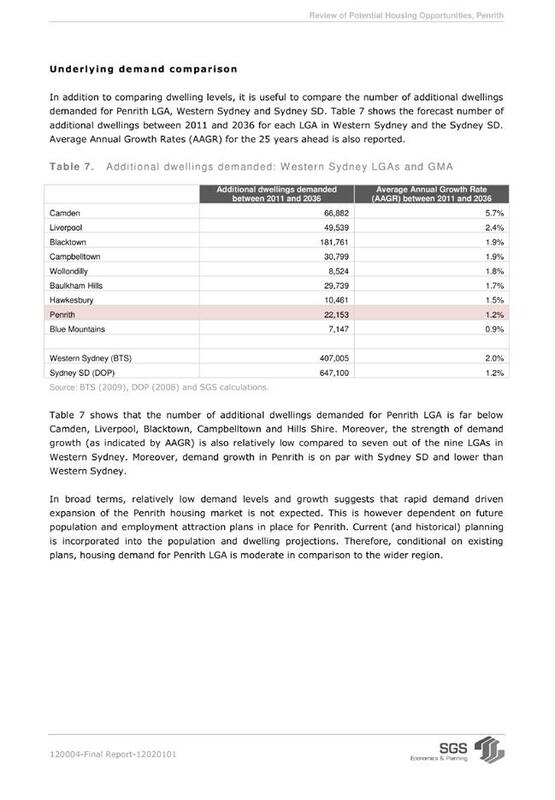 Research carried out by the National Growth Areas Alliance demonstrates that Penrith, along with other fast growing municipalities located on the outskirts of the major cities around Australia, are significantly disadvantaged in regards to access to jobs and services. 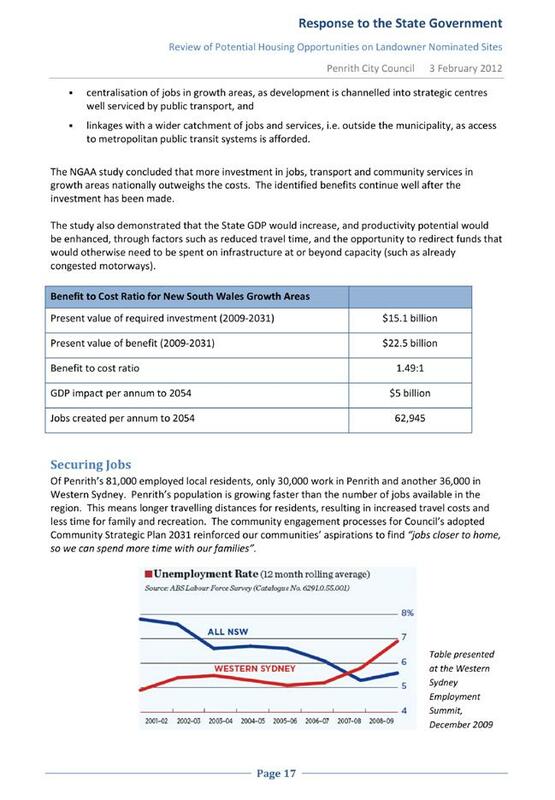 Of Penrith’s 81,000 employed local residents, nearly 30,000 work in Penrith and another 36,000 in Western Sydney. Our population is growing faster than the number of jobs available in the region. This means longer travelling distances for residents, resulting in increased travel costs and less time for family and recreation. The community engagement processes for Council’s adopted Community Strategic Plan 2031 reinforced our communities’ aspirations to find “jobs closer to home, so we can spend more time with our families”. The City’s situation with employment is similar to infrastructure – as well as providing the jobs needed by our new communities, our existing residents do not have access to the jobs they need. 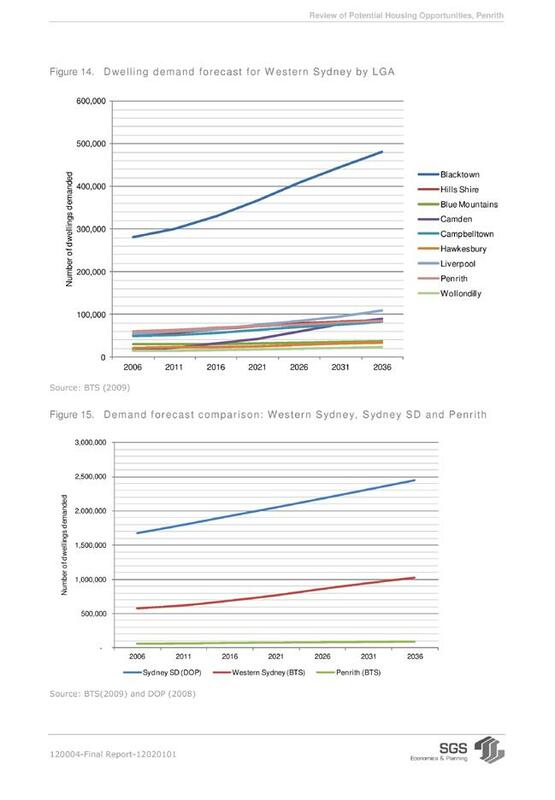 Whilst the State Government’s Metropolitan Strategy (2005) identified a target of 25,000 additional jobs by 2031, Council successfully argued that we needed 40,000 additional jobs to address the ‘backlog’. This has now been recognised in the Metropolitan Plan (2010). 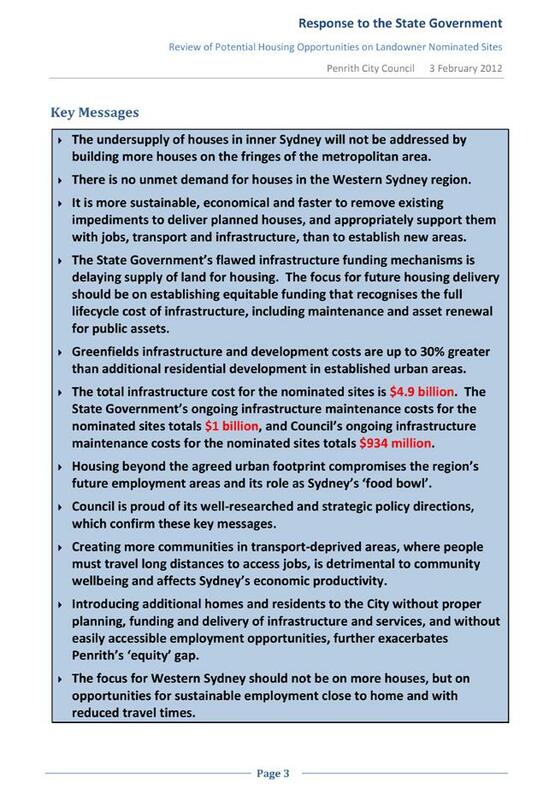 The focus for Western Sydney, therefore, should not be on more houses but opportunities for sustainable employment. 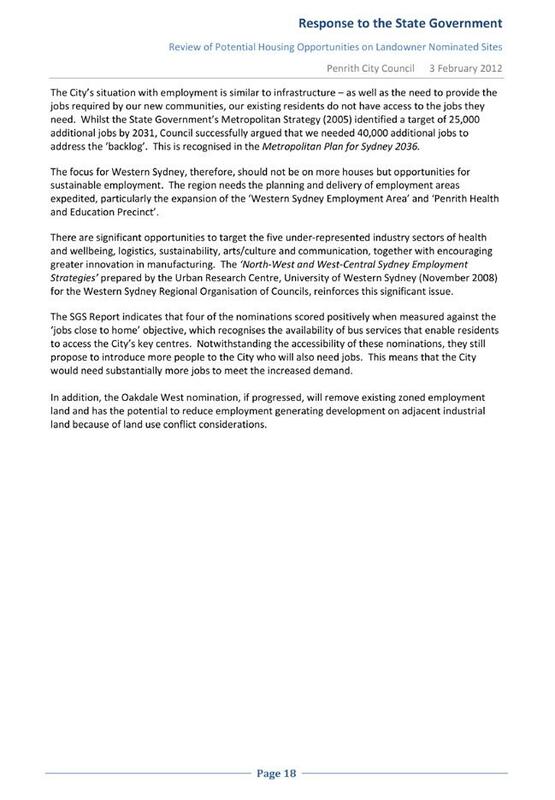 The region needs the planning and delivery of employment areas expedited, particularly the expansion of the ‘Western Sydney Employment Area’ and ‘Penrith Health and Education Precinct’. There are significant opportunities to target the five under-represented industry sectors of health and wellbeing, logistics, sustainability, arts/culture and communication, together with encouraging greater innovation in manufacturing. 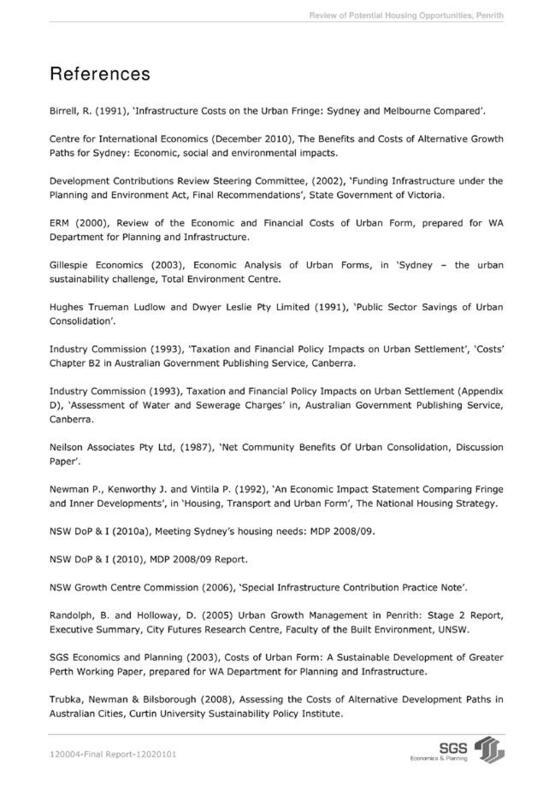 Professor O’Neill’s ‘North-West and West-Central Sydney Employment Strategies’ (Urban Research Centre, University of Western Sydney), prepared for the Western Sydney Regional Organisation of Councils, reinforces this significant issue. Penrith has significant rural lands to the north and south of its urban areas, supporting a wide range of agricultural activities and industries. 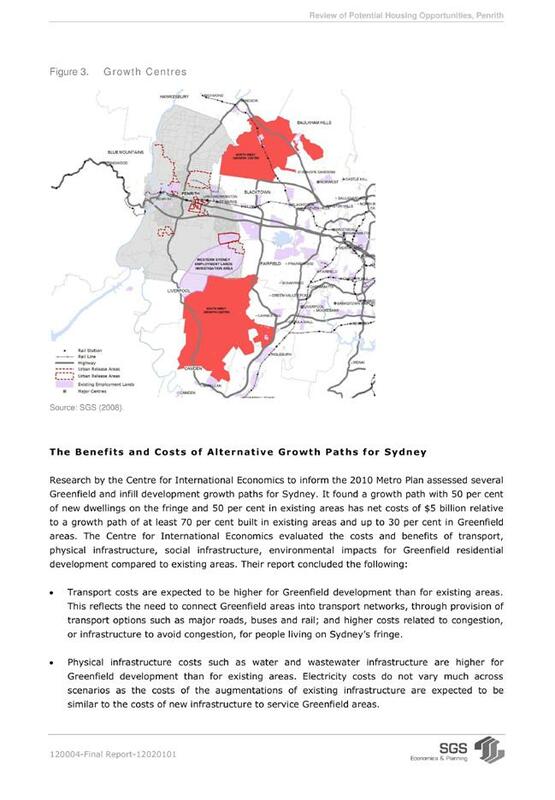 These lands need to be protected for the role they play in the regional economy, in Sydney’s food supply and in providing the unique rural character and ‘green space’ that is highly valued by Penrith’s communities. These values were expressed during the preparation of the Penrith Community Strategic Plan 2031. Our communities want a City with “rural areas, lots of agriculture and fresh local food”. Comments suggested that “Our City is unique, and we like it how it is, with the river, the mountains backdrop, our natural places and rural areas”. These aspirations continue to be reflected in our recent community engagement processes, including the current branding initiative and community surveys. 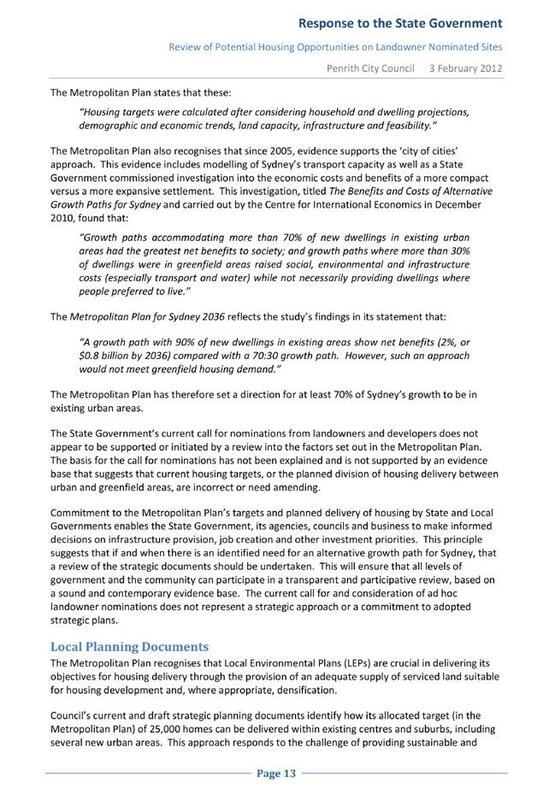 A key strategic direction of the Metropolitan Plan is balancing land uses on the city fringe. 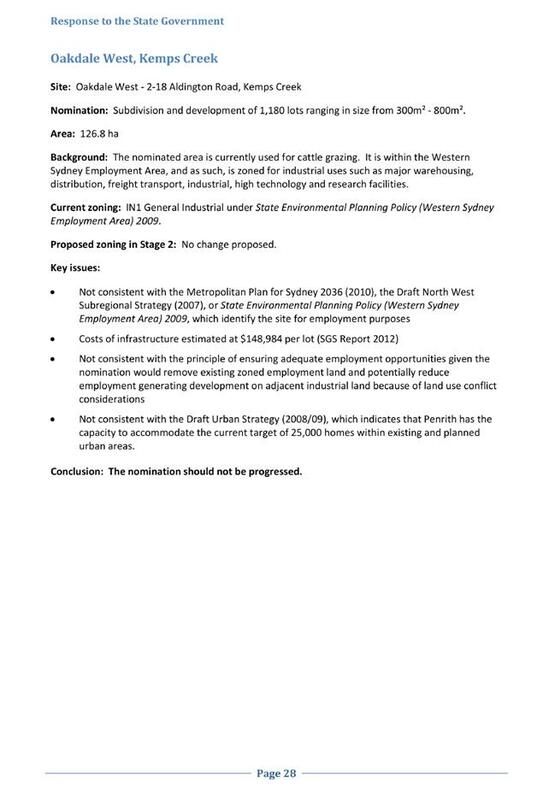 This strategic direction is supported by objectives “to contain Sydney’s urban footprint”, “to maintain and protect agricultural activities and resource lands” and “to encourage investment in agriculture and resource lands”. The preparation of local Rural Land Strategies is identified as one of the major tools by which to manage growth. 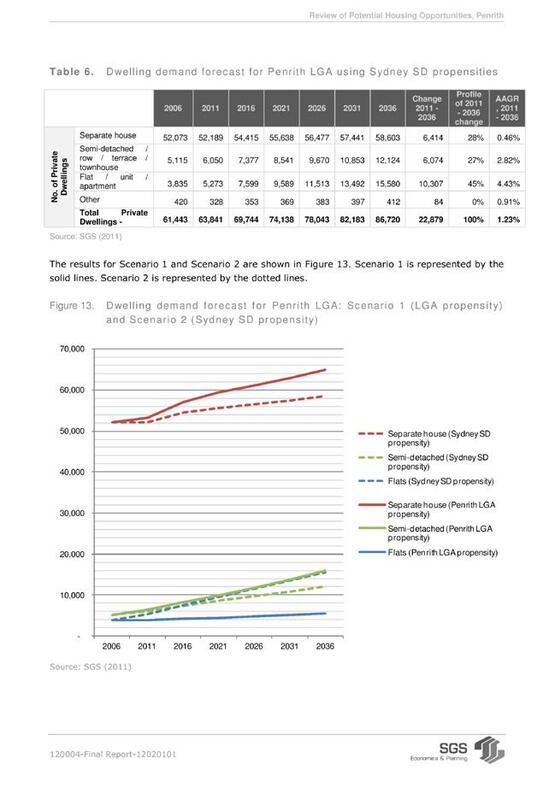 Council’s Penrith Rural Lands Strategy, adopted in 2003, emphasises a growth management philosophy of limiting north and south urban expansion and has largely been implemented through Penrith LEP 2010. 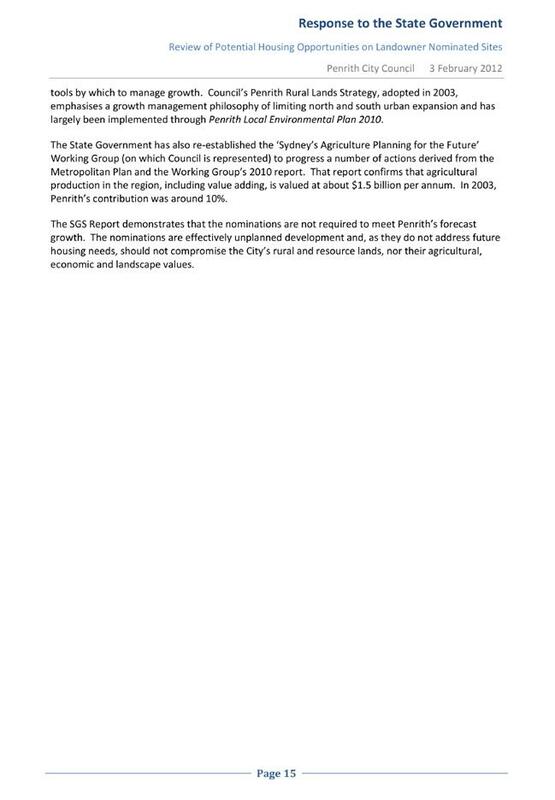 The State Government has also re-established the ‘Sydney’s Agriculture Planning for the Future’ Working Group (Council is represented) to progress a number of actions derived from the Metropolitan Plan and the Working Group’s 2010 report. That report confirms that agricultural production in the region, including value adding, is valued at about $1.5 billion per annum. 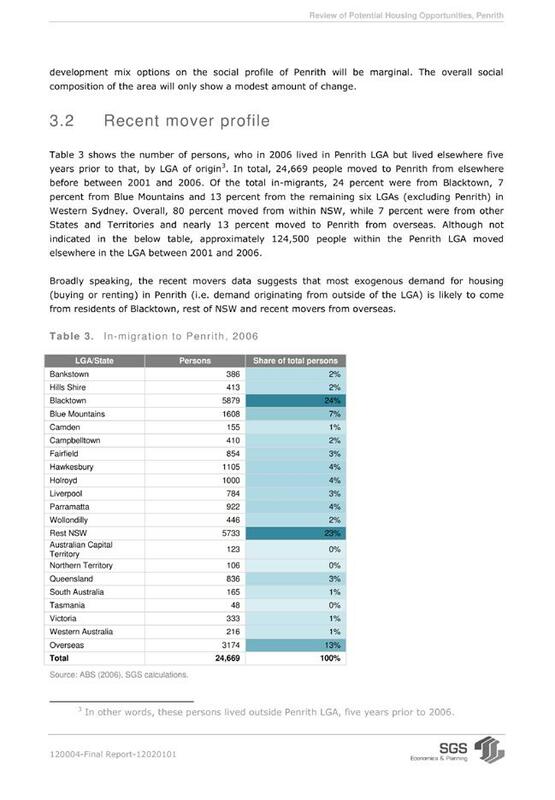 In 2003, Penrith’s contribution was around 10%. 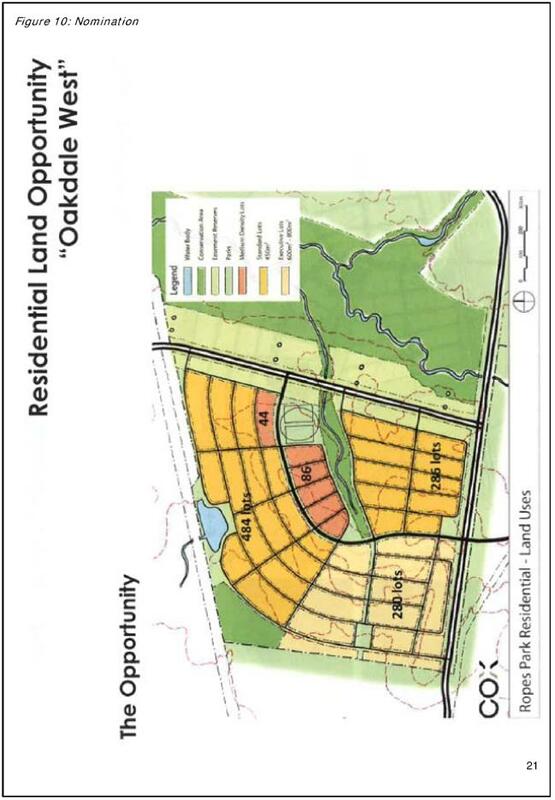 Unplanned development, particularly where analysis demonstrates that it does not address future housing needs, should not compromise the City’s rural and resource lands, nor their landscape, agricultural and economic values. 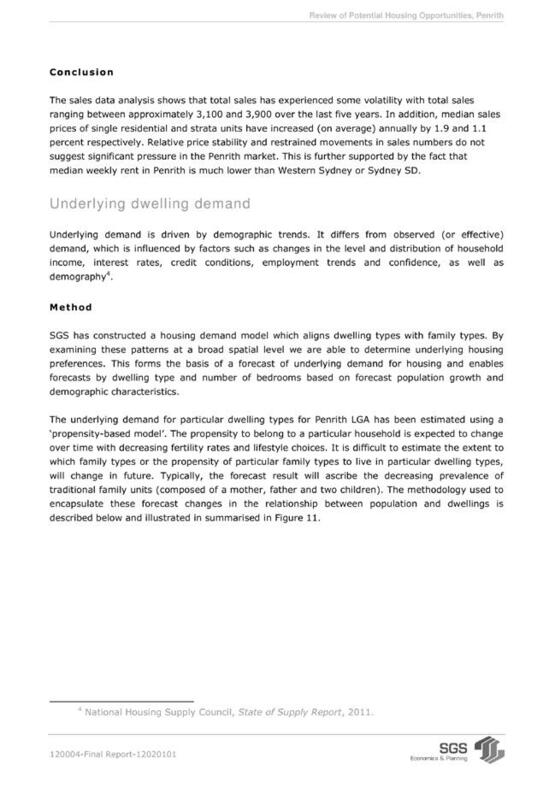 Analysis the City’s housing market demonstrates that the proposals are not required to meet Penrith’s forecast growth. 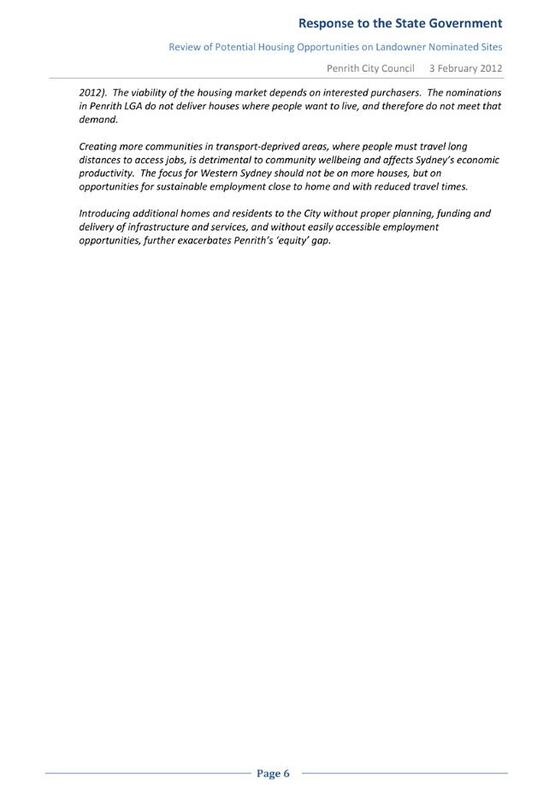 These proposals, if progressed, are likely to disrupt and potentially delay Council’s focus on planning for sustainable growth and delivering compact activity centres that are well supported by infrastructure and services, and which have good access to employment opportunities. 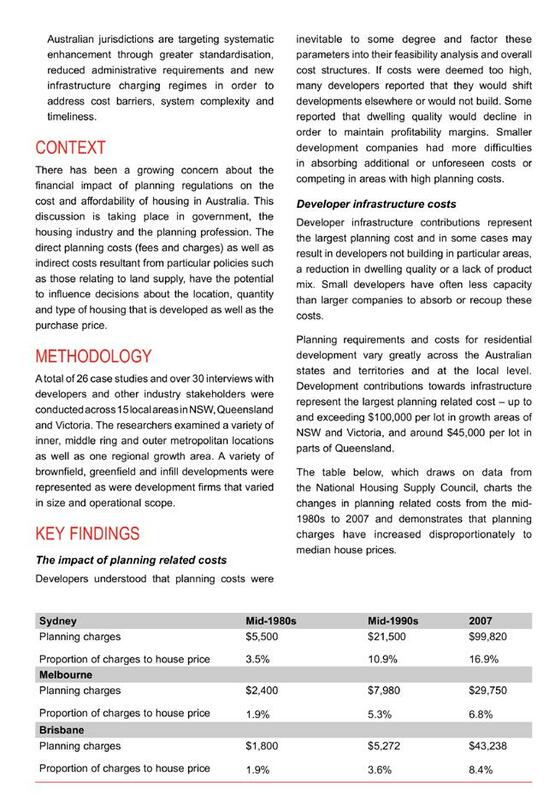 The State Government and Council have contemporary strategic planning documents that include mechanisms for the identification, planning and delivery of new housing land. 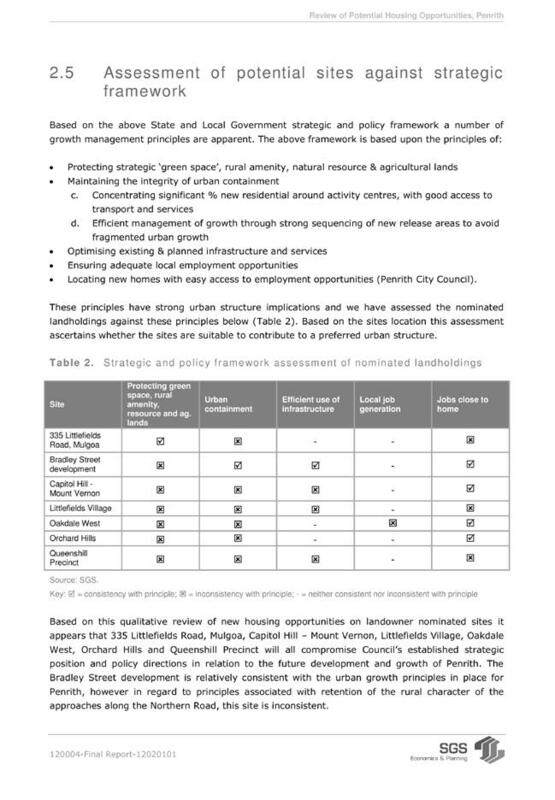 These mechanisms also require the assessment of proposals, for new housing land, against the aims and objectives of these strategic planning documents. This review appears to be outside of and additional to these existing processes. Council’s submission has outlined a range of issues with the Review and the progression of the nominations. 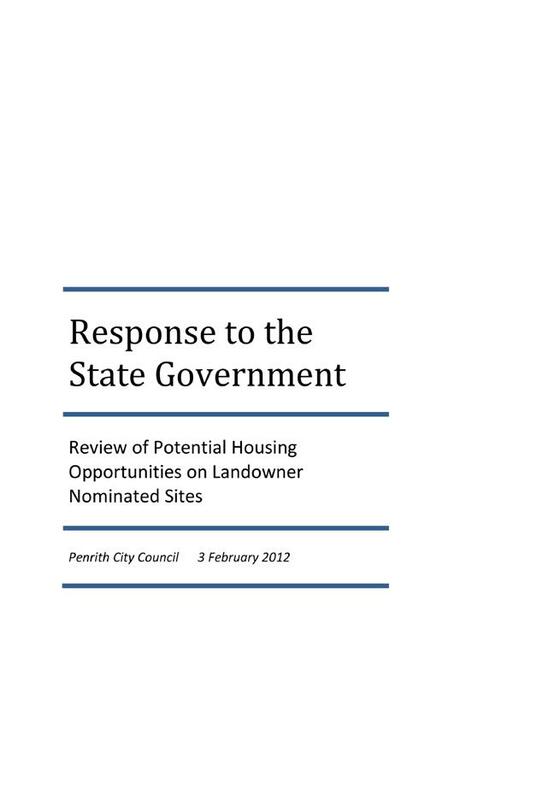 That the information contained in the report on State Government Review of Potential Housing Opportunities on Landowner Nominated Sites be received.